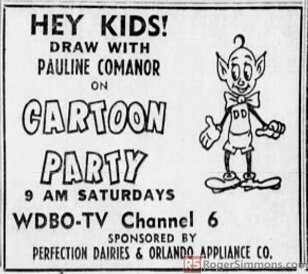 Great ready for a blast from the past. 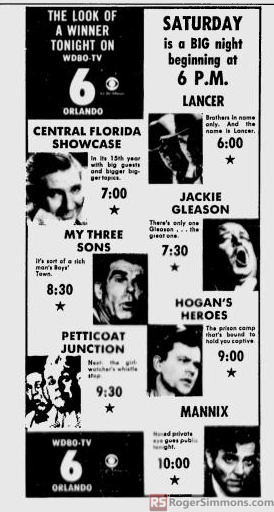 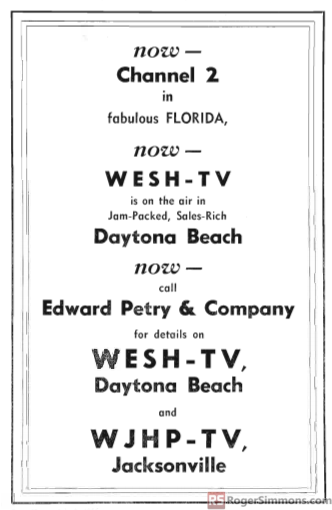 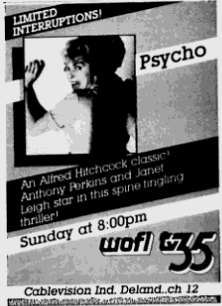 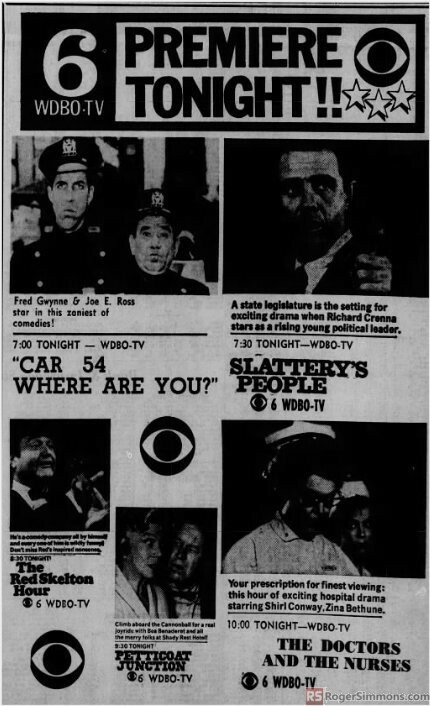 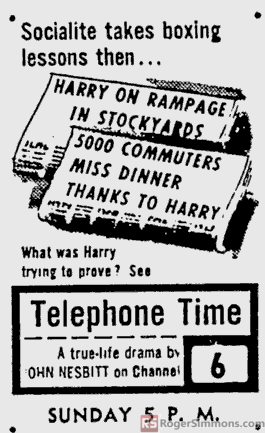 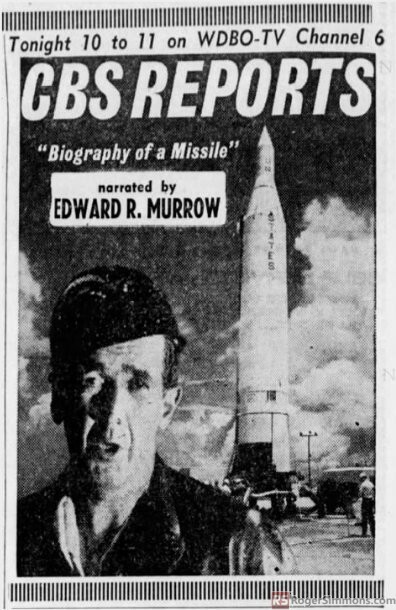 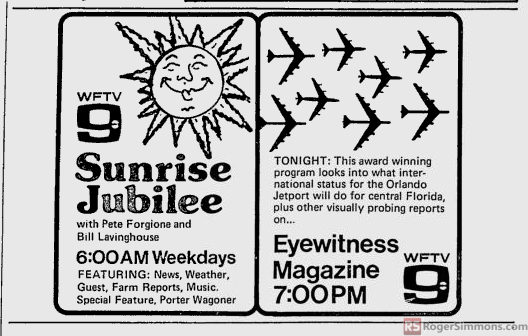 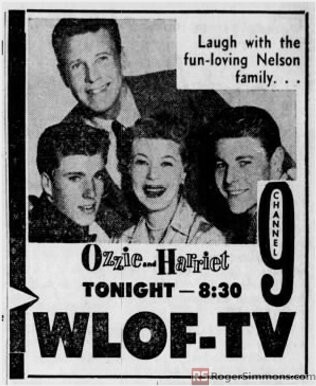 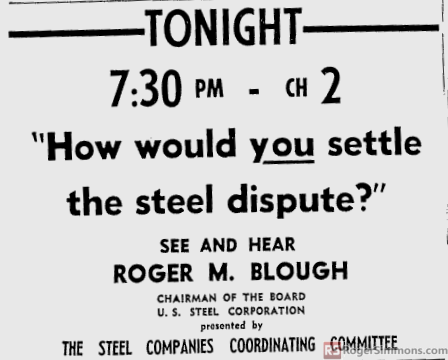 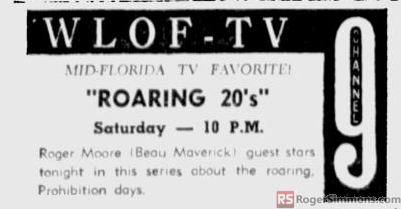 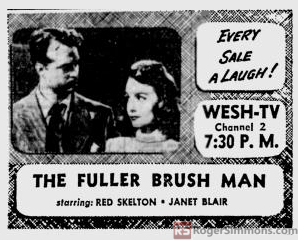 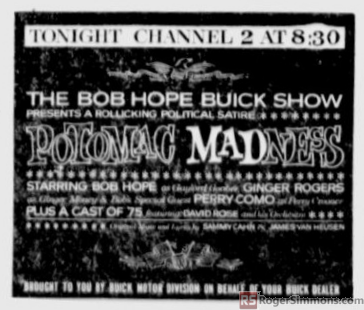 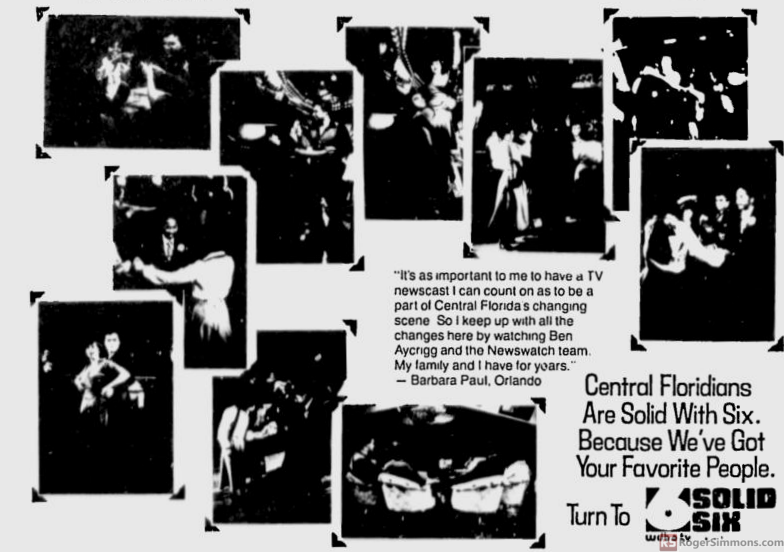 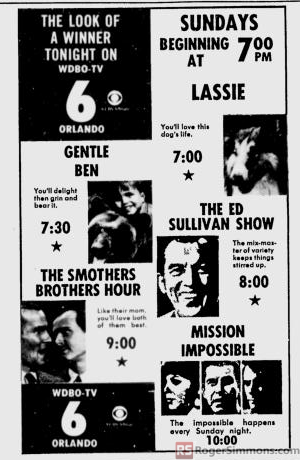 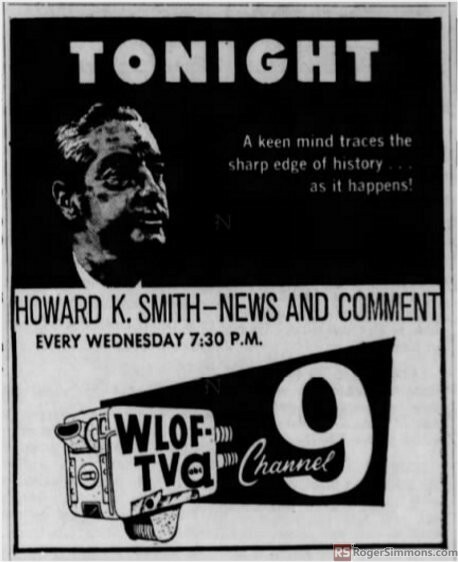 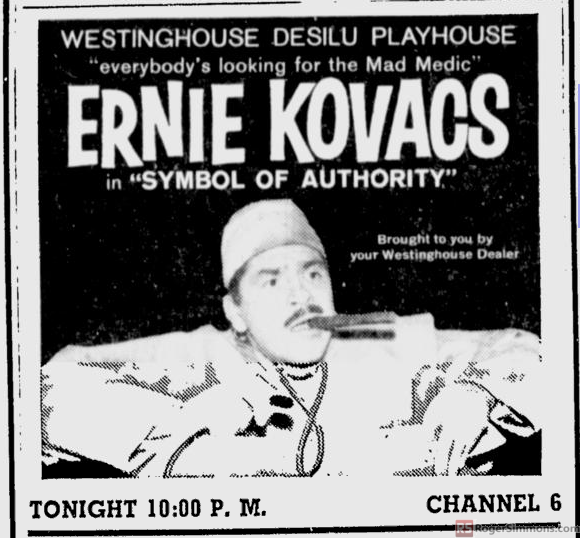 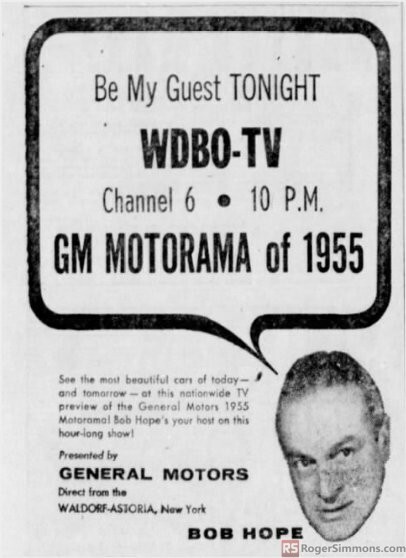 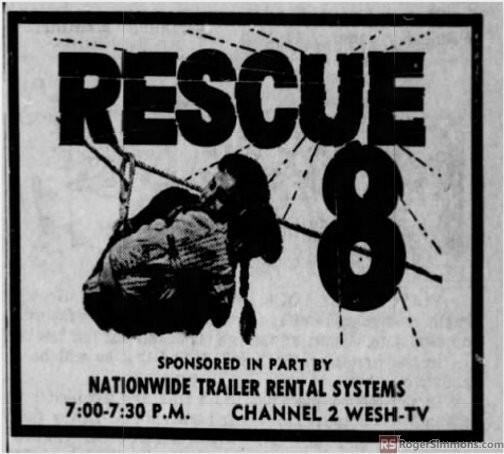 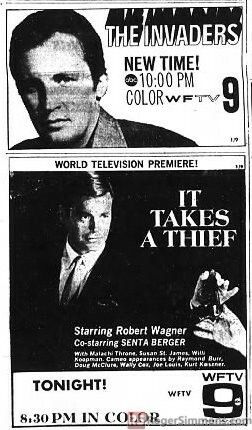 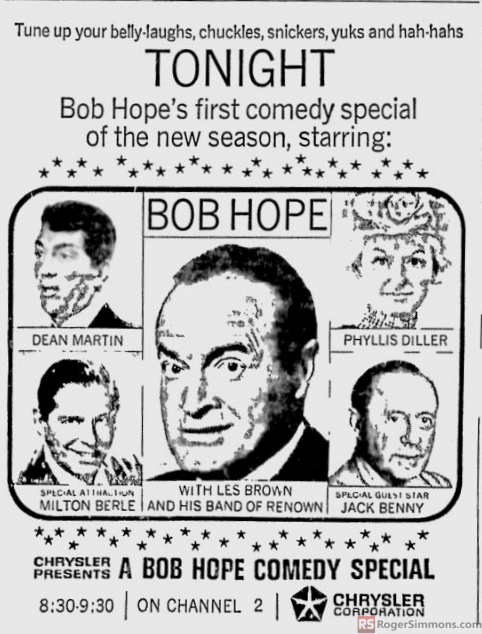 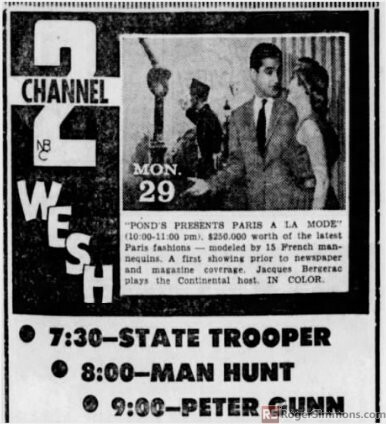 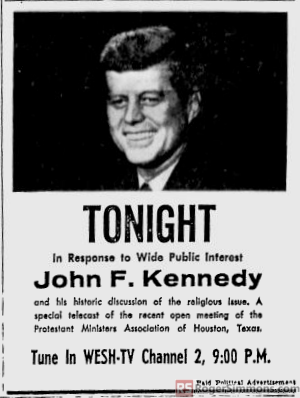 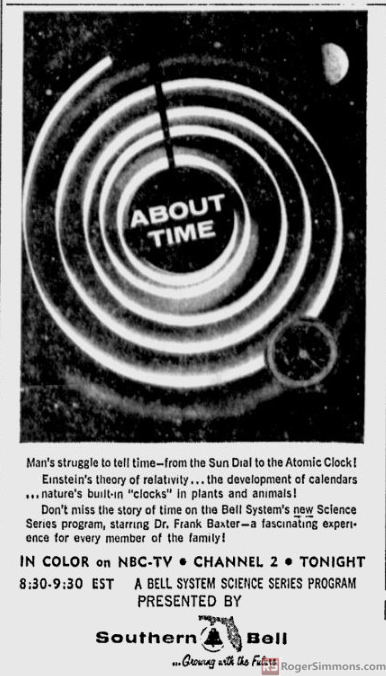 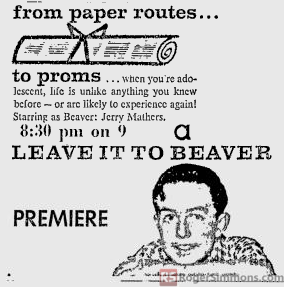 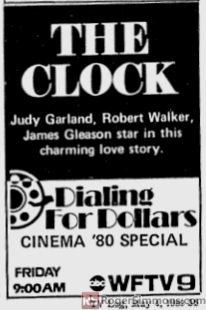 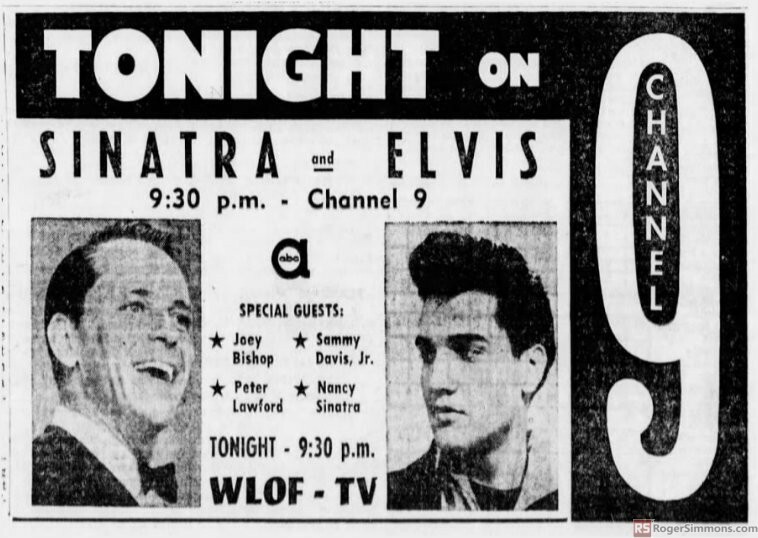 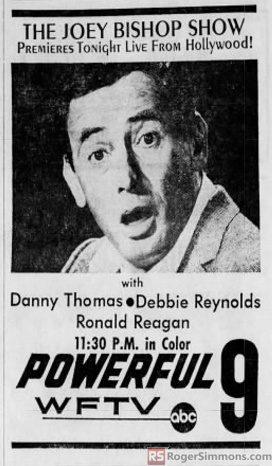 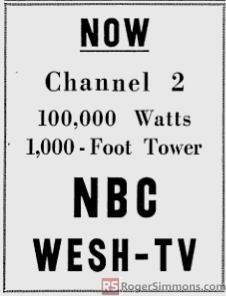 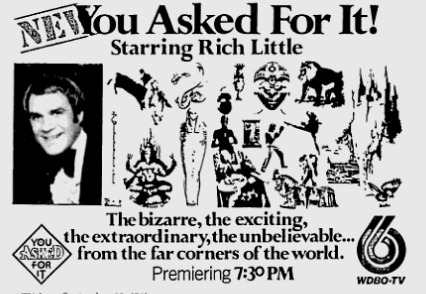 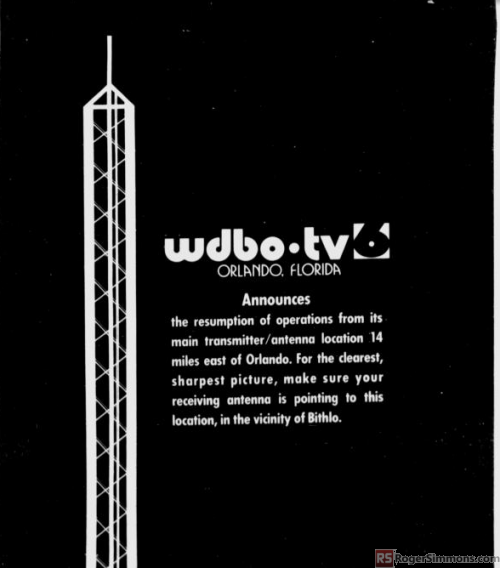 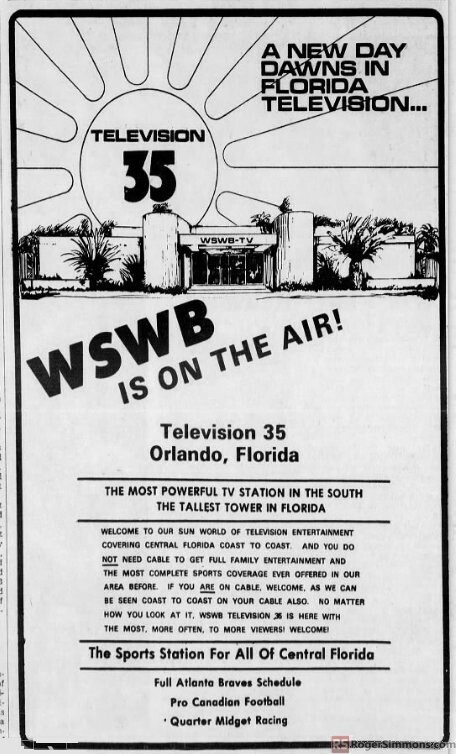 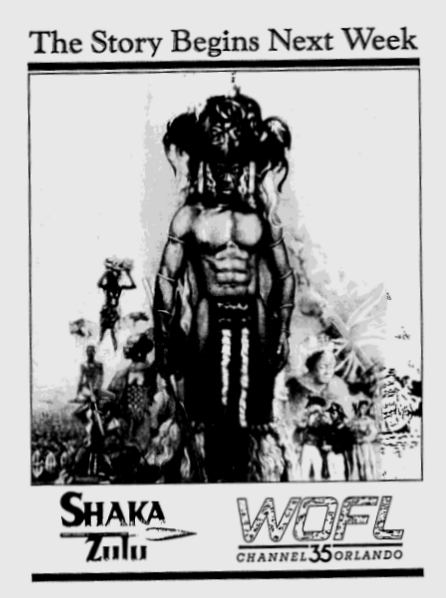 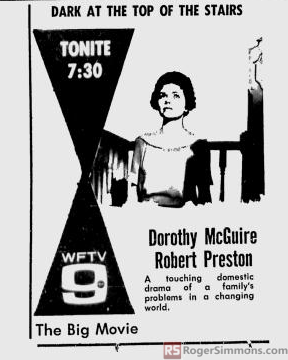 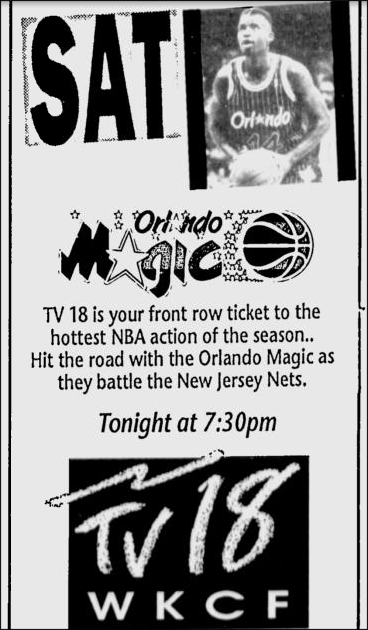 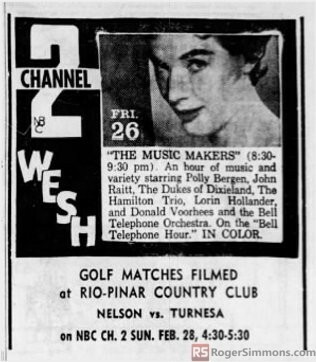 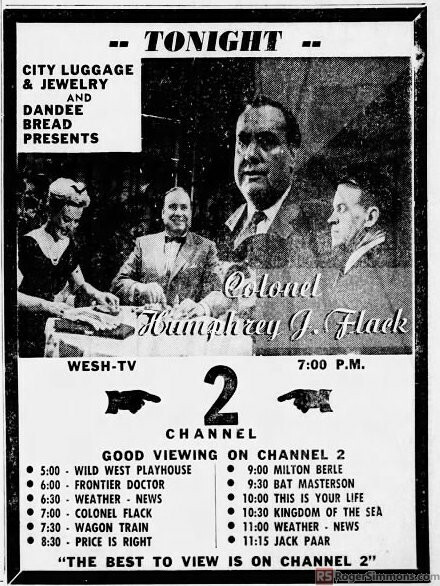 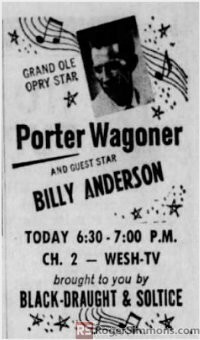 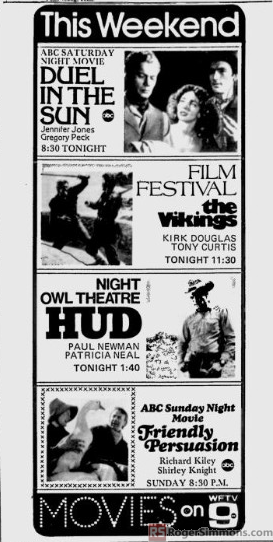 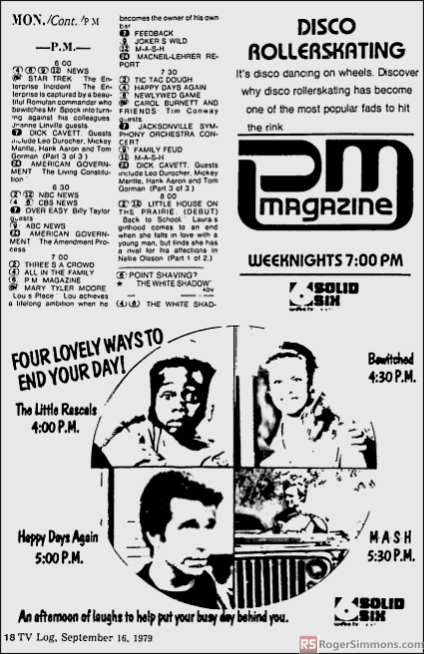 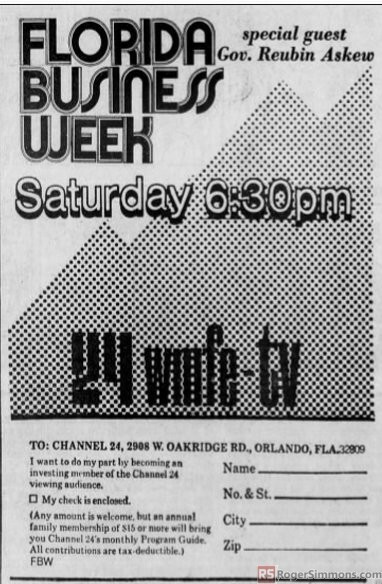 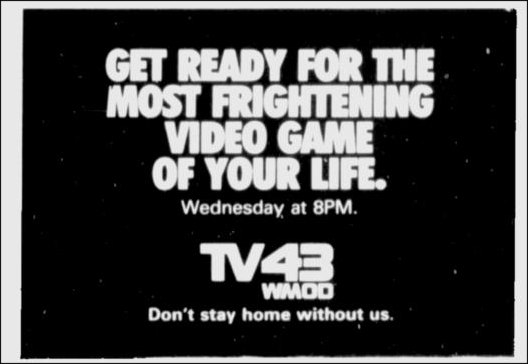 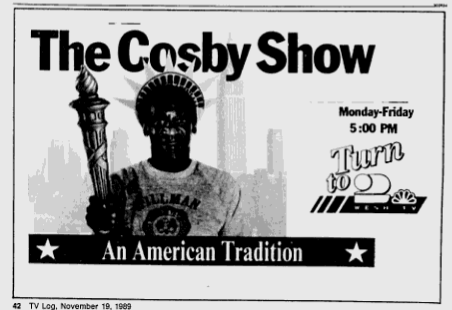 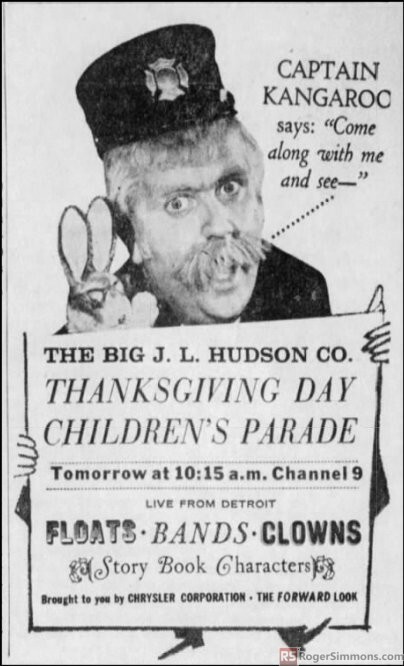 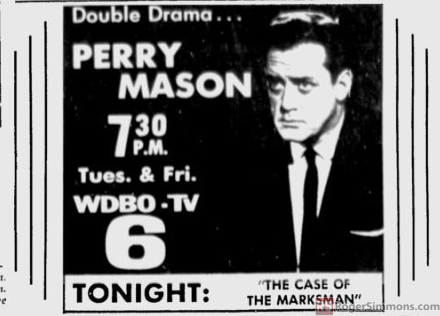 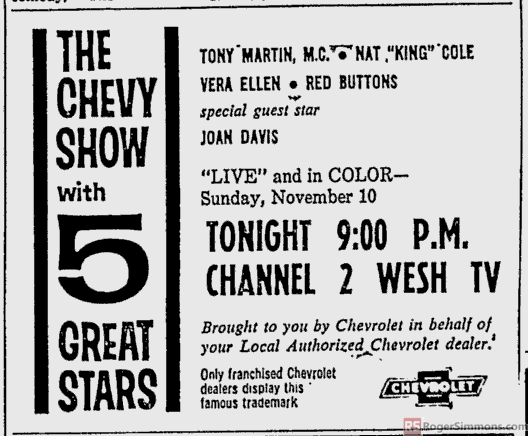 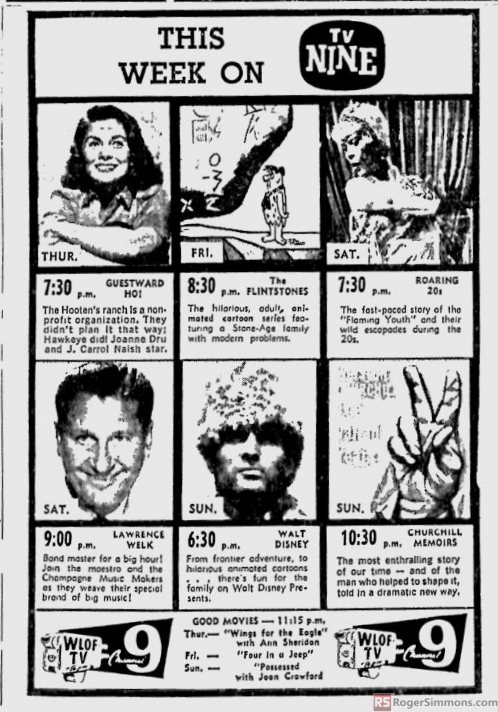 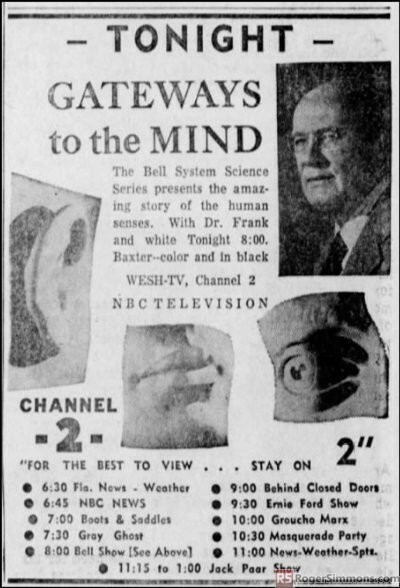 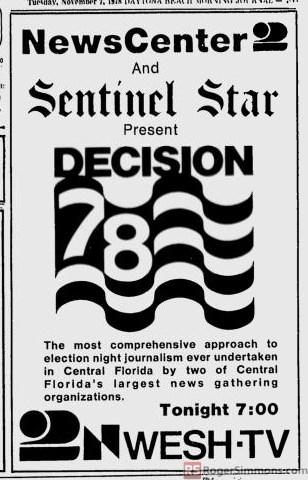 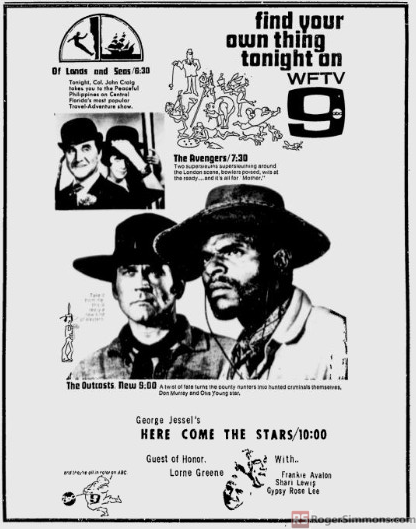 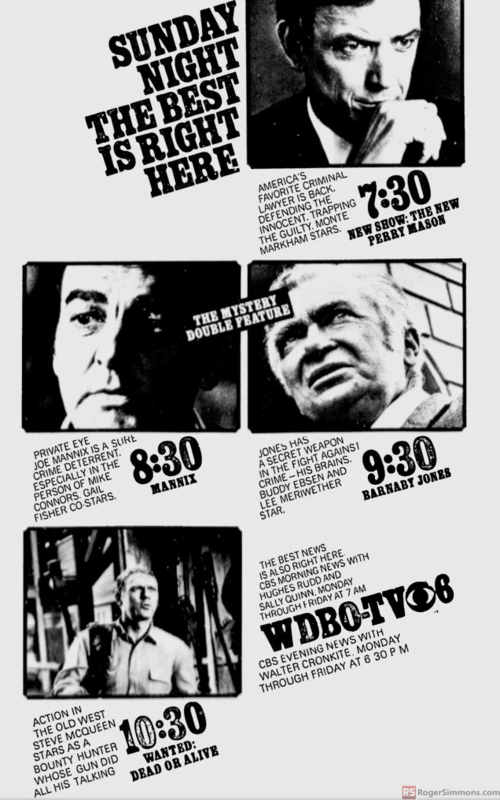 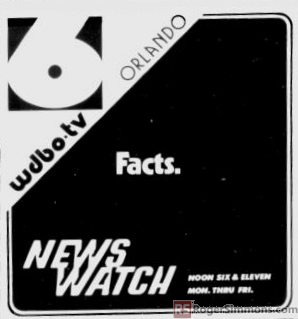 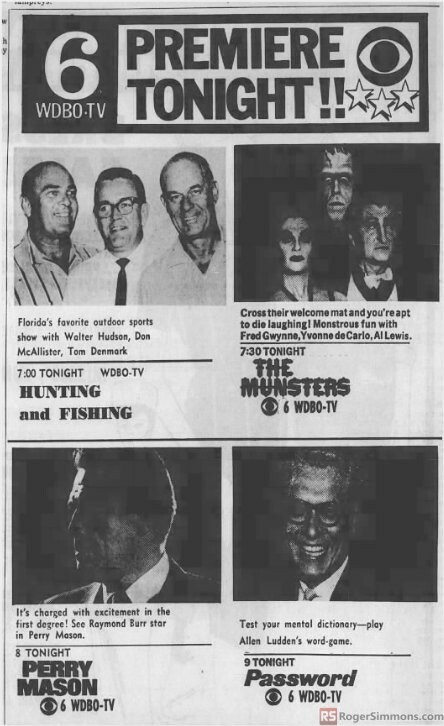 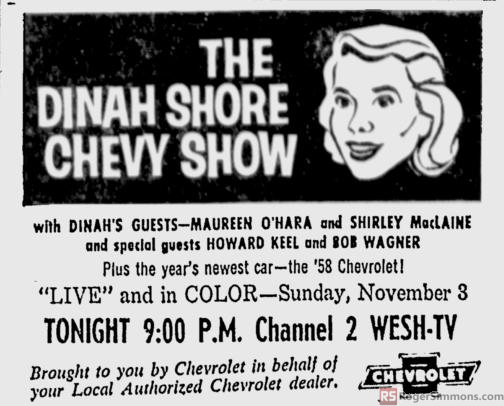 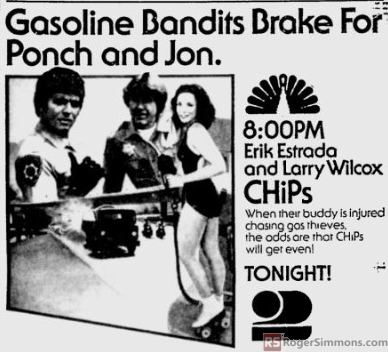 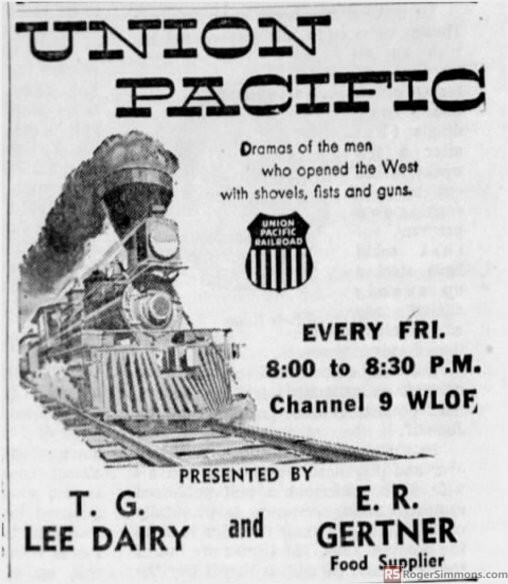 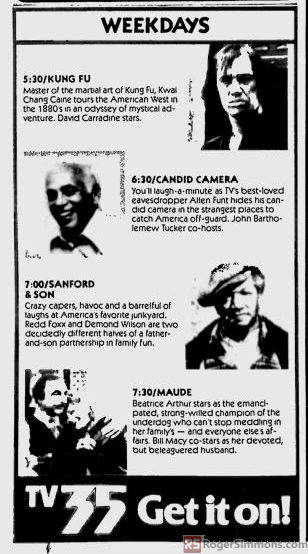 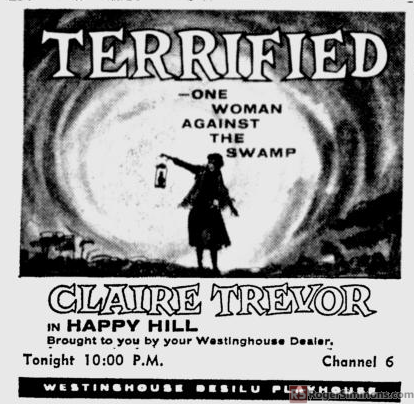 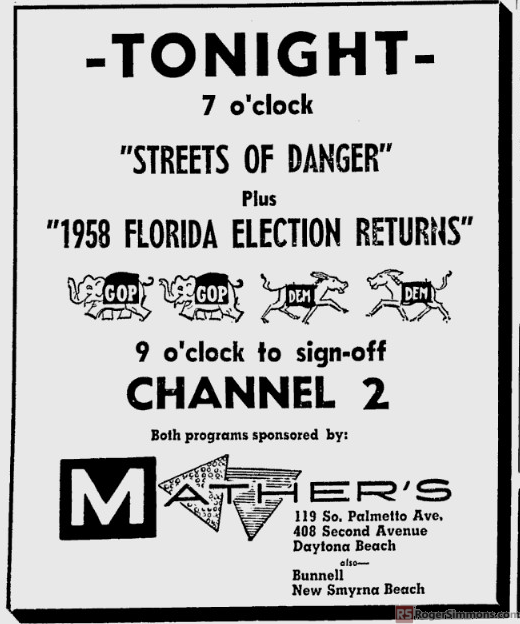 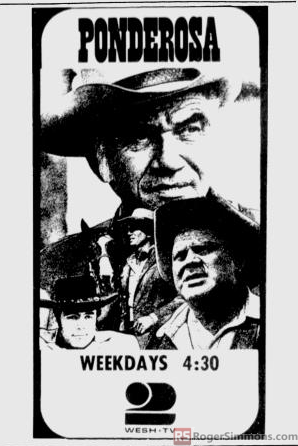 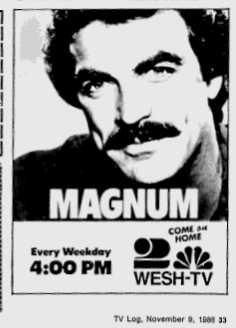 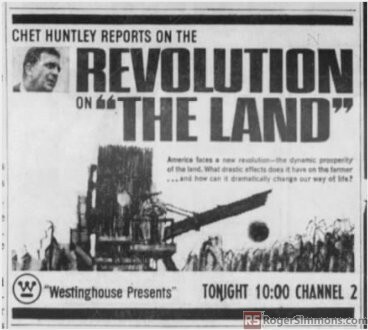 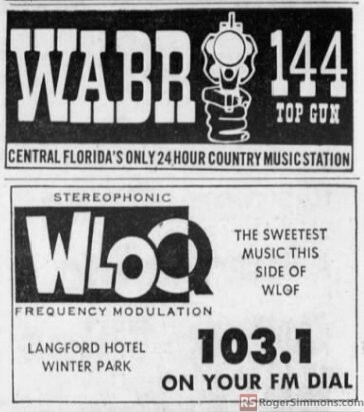 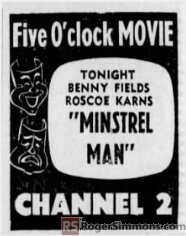 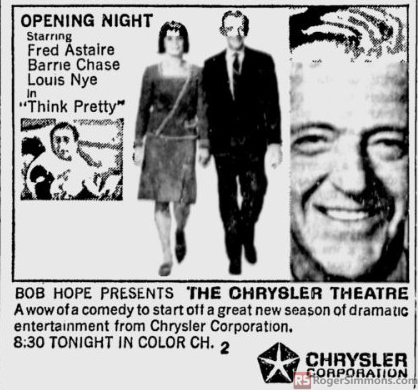 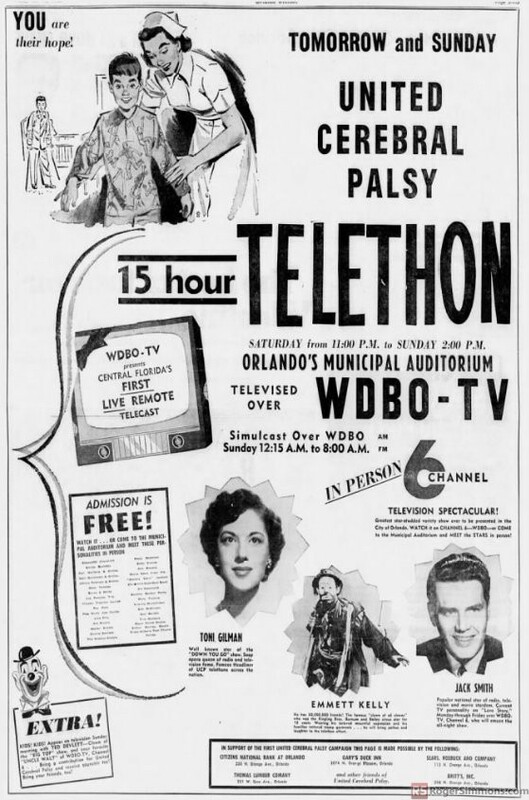 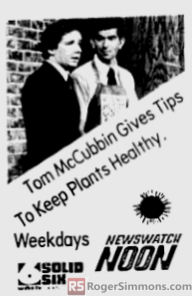 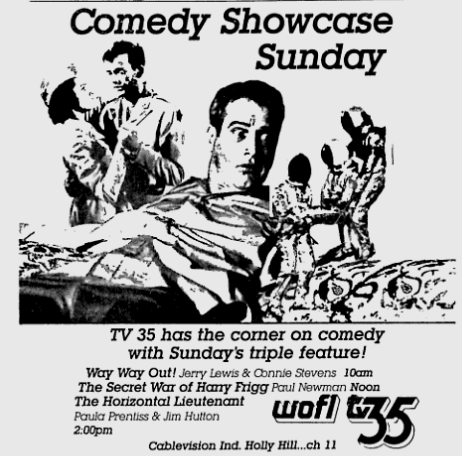 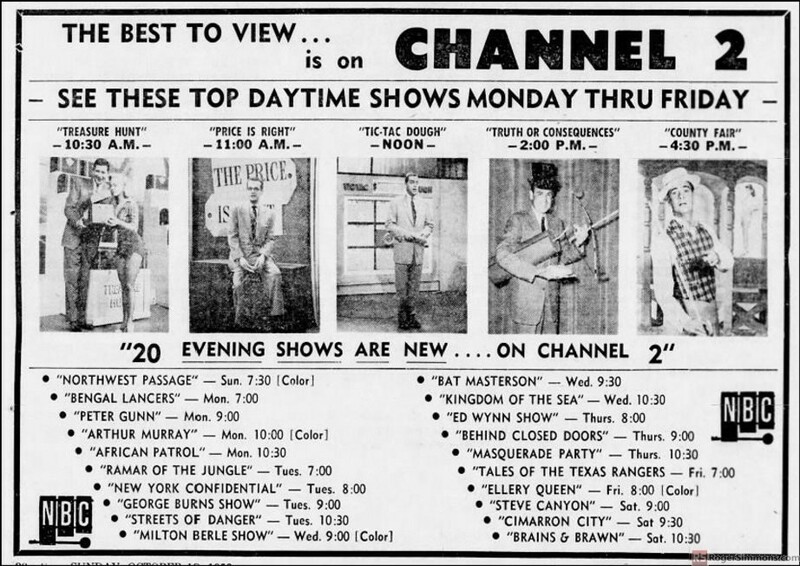 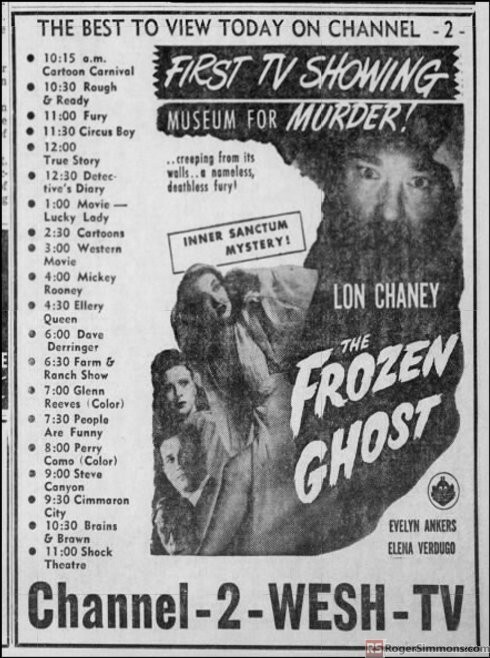 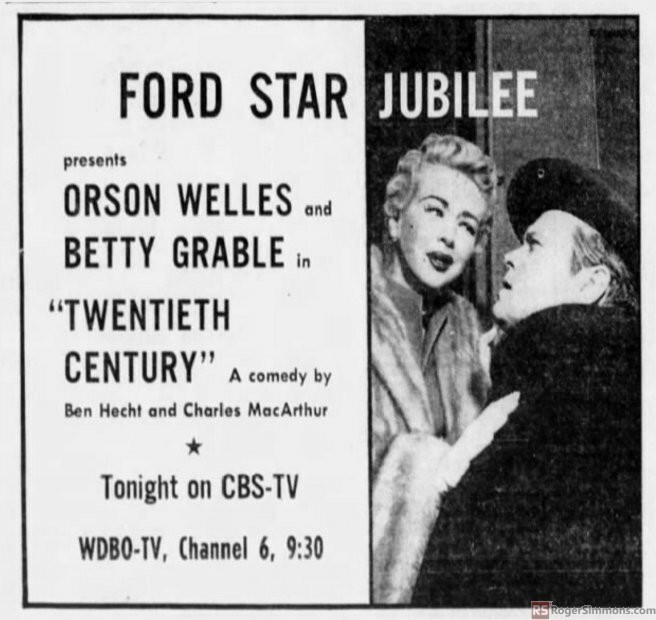 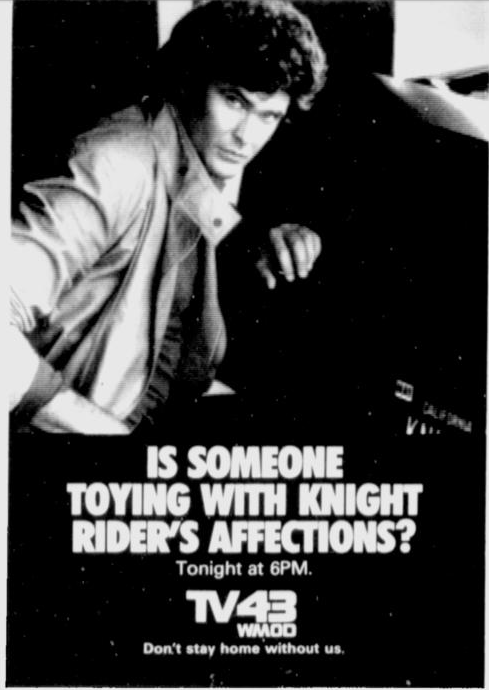 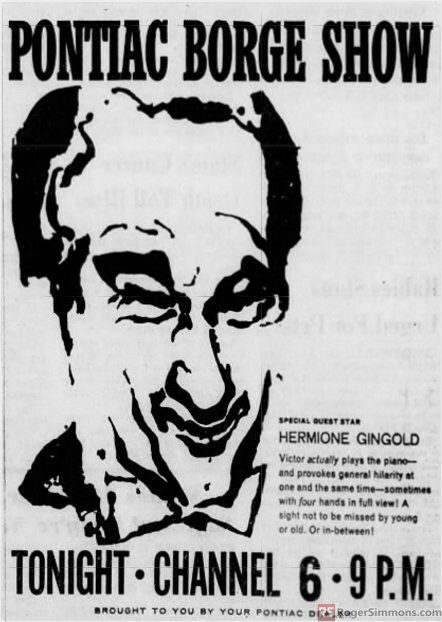 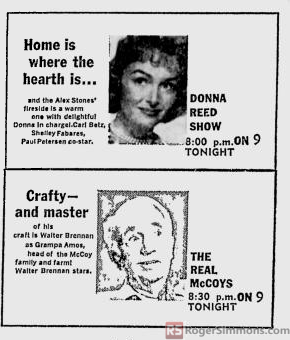 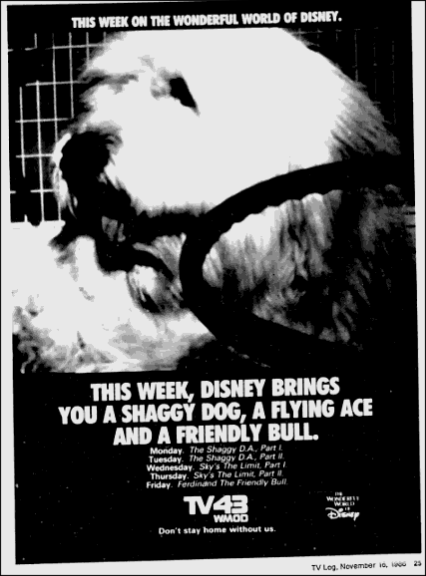 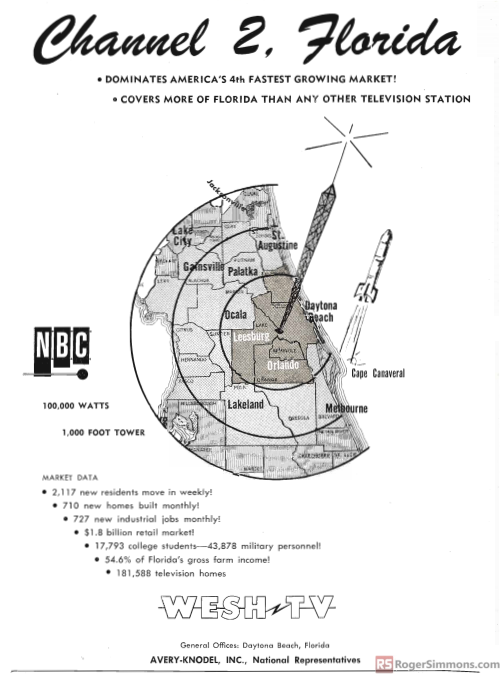 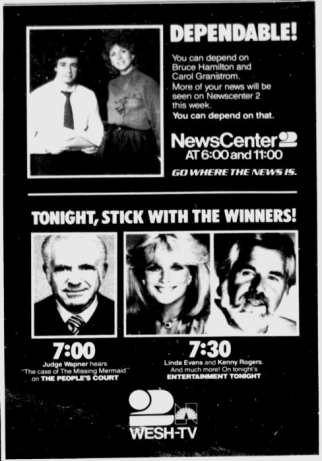 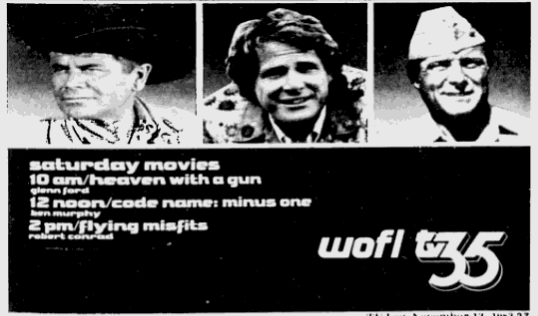 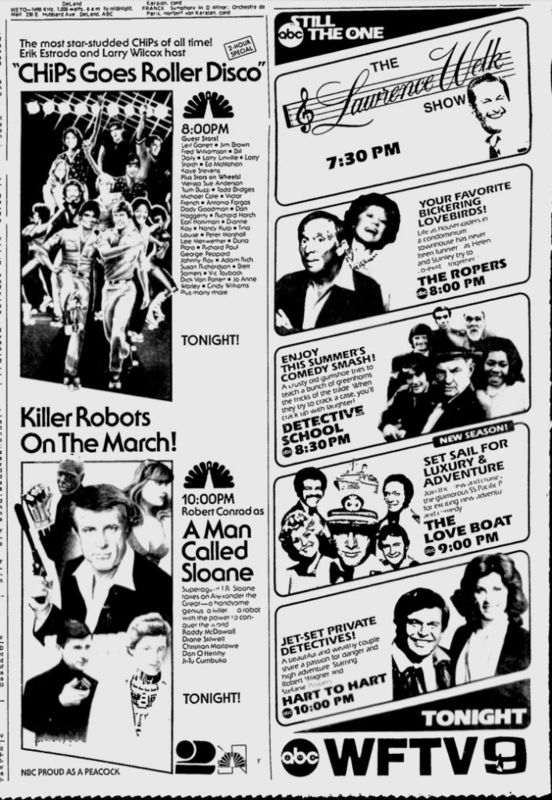 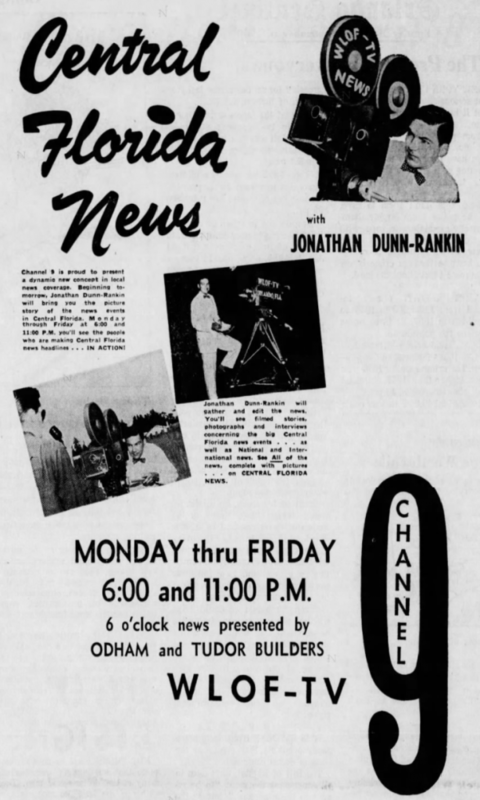 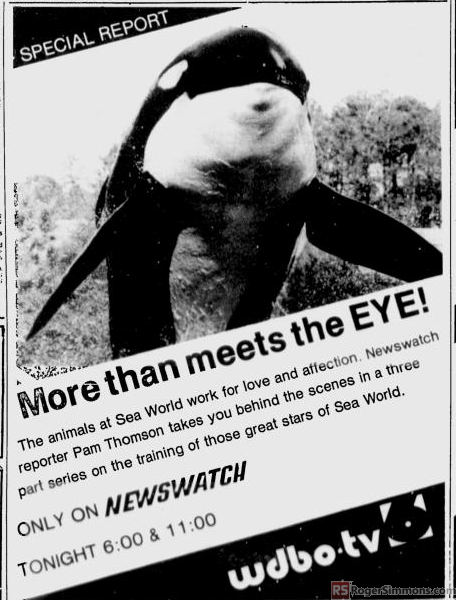 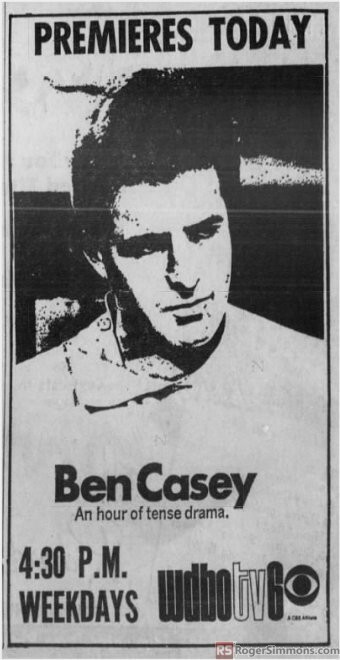 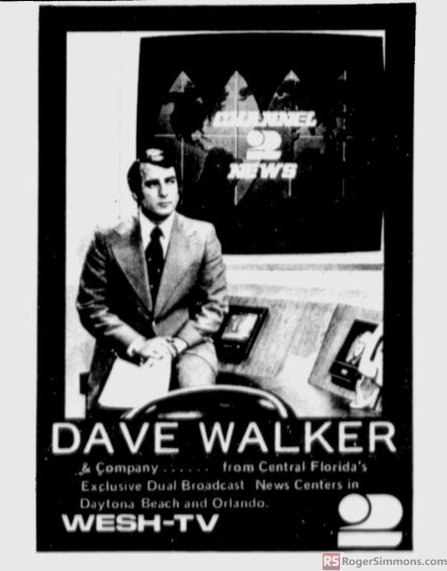 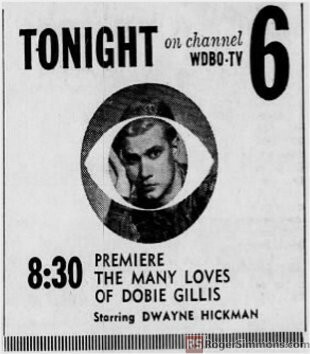 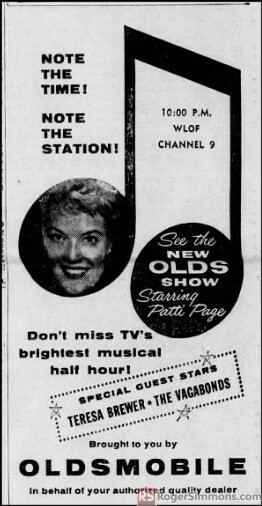 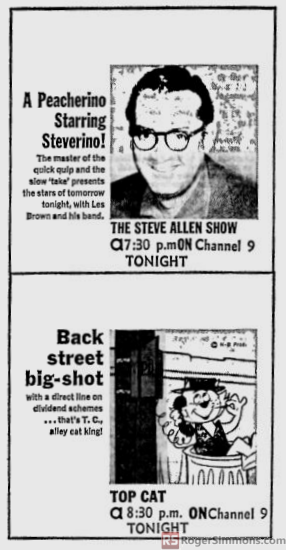 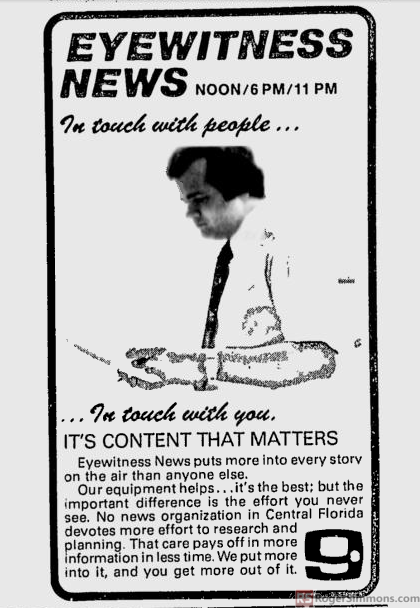 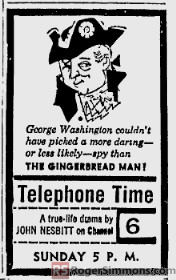 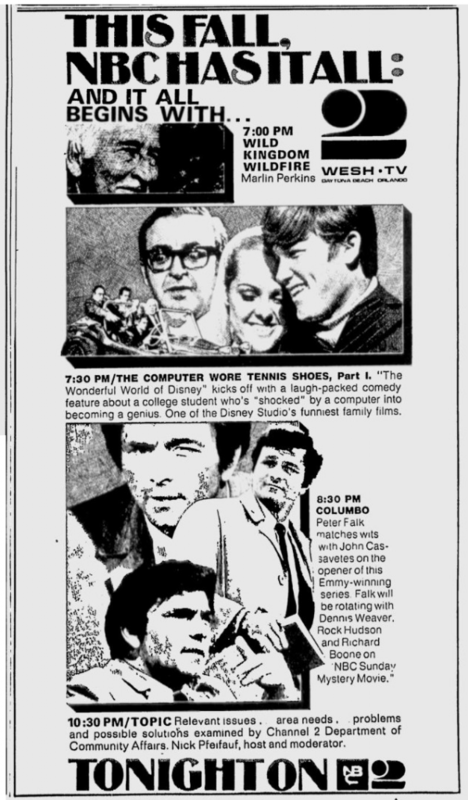 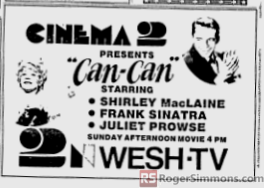 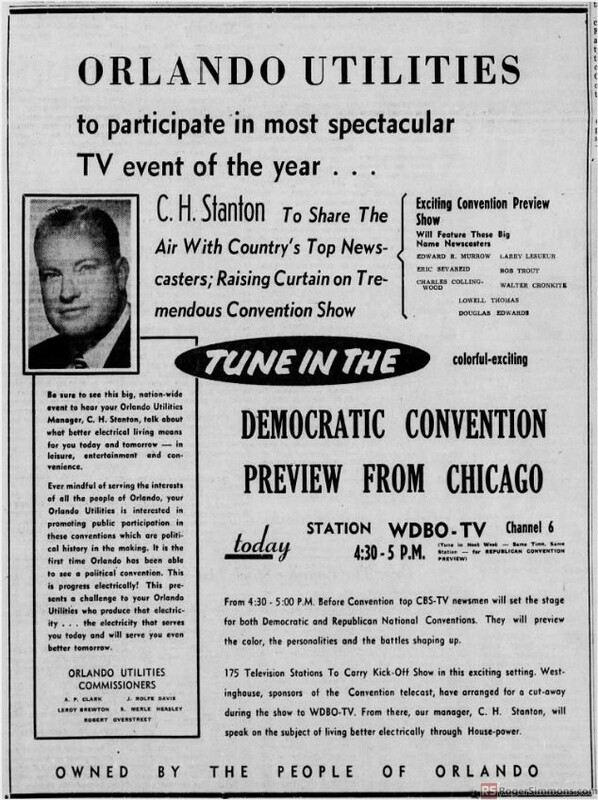 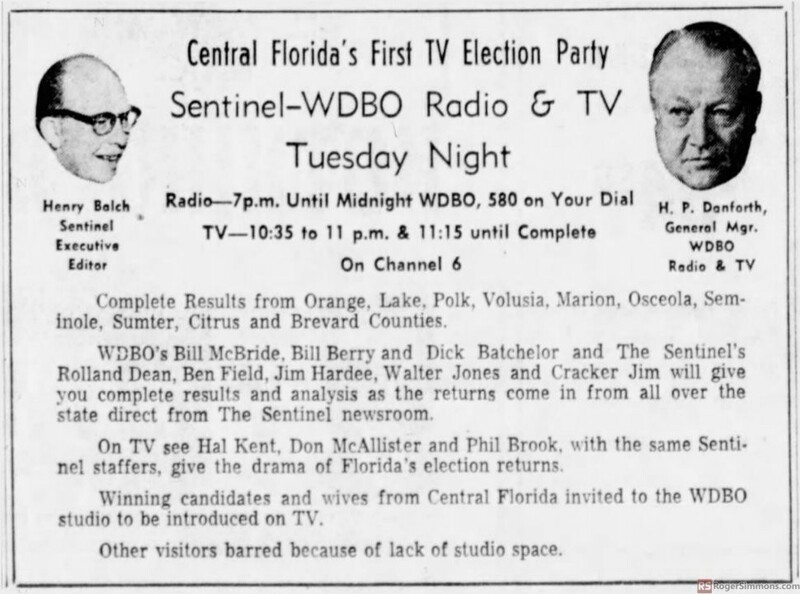 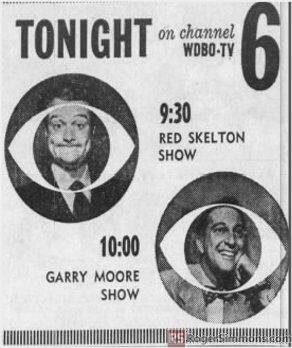 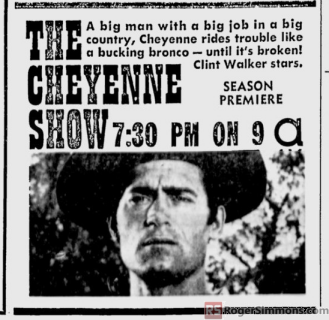 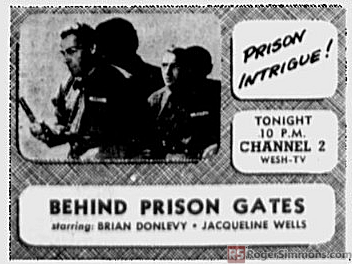 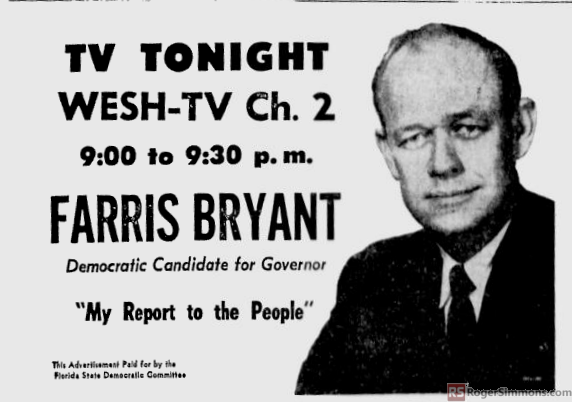 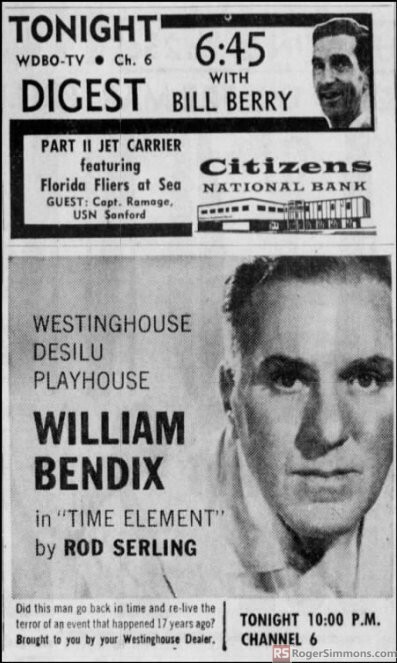 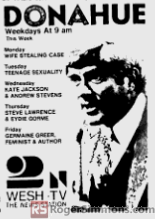 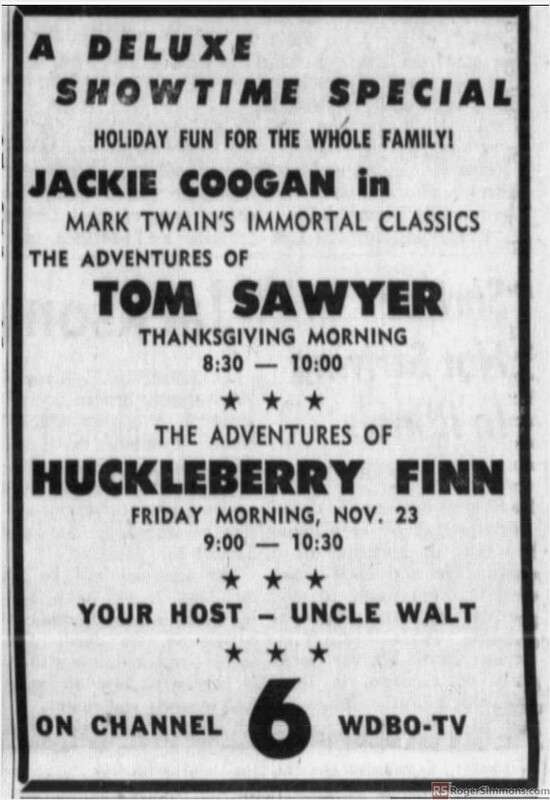 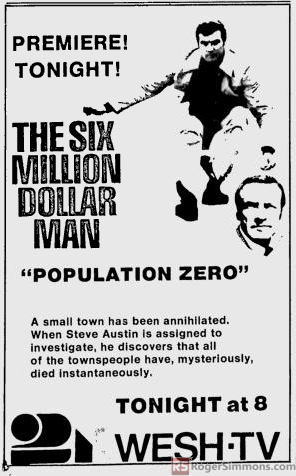 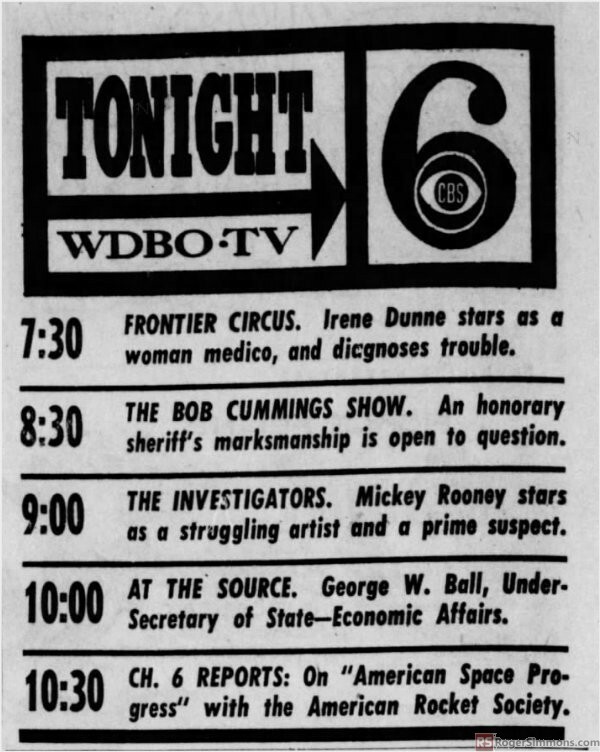 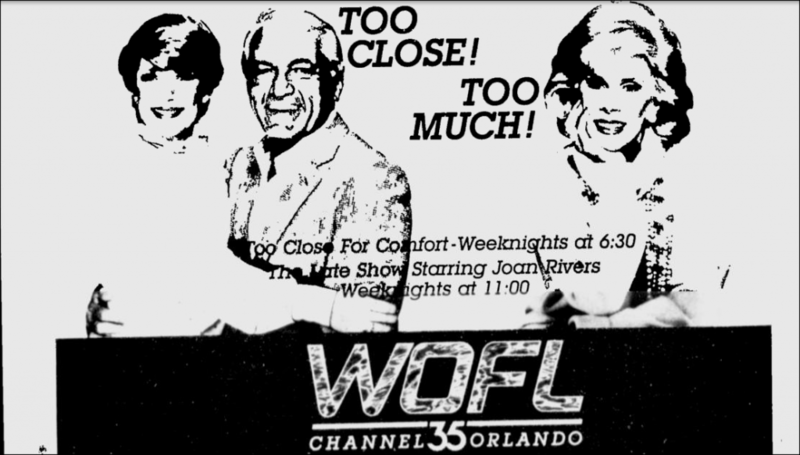 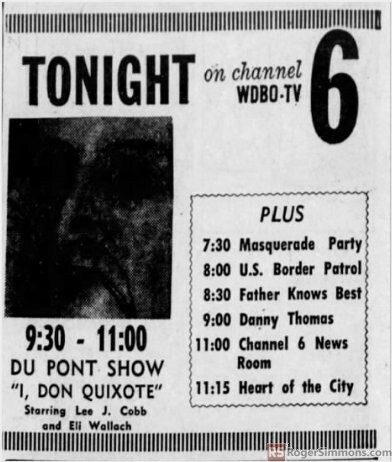 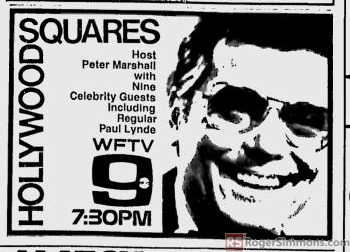 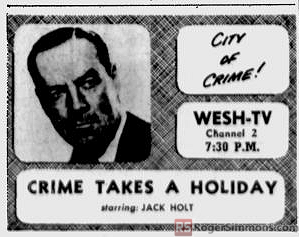 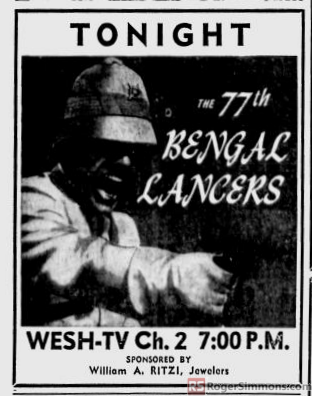 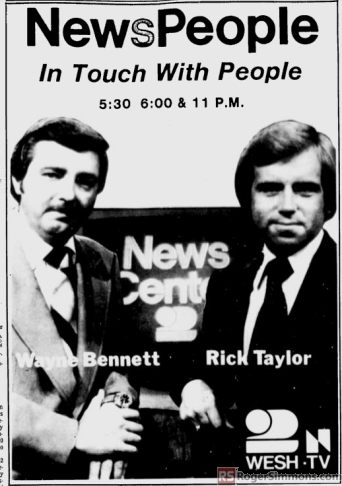 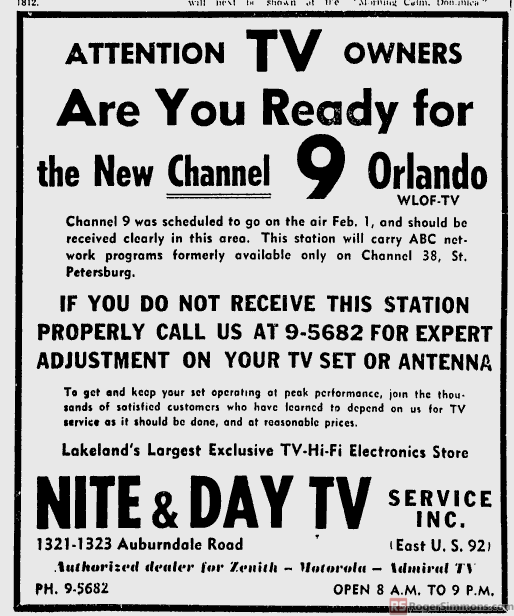 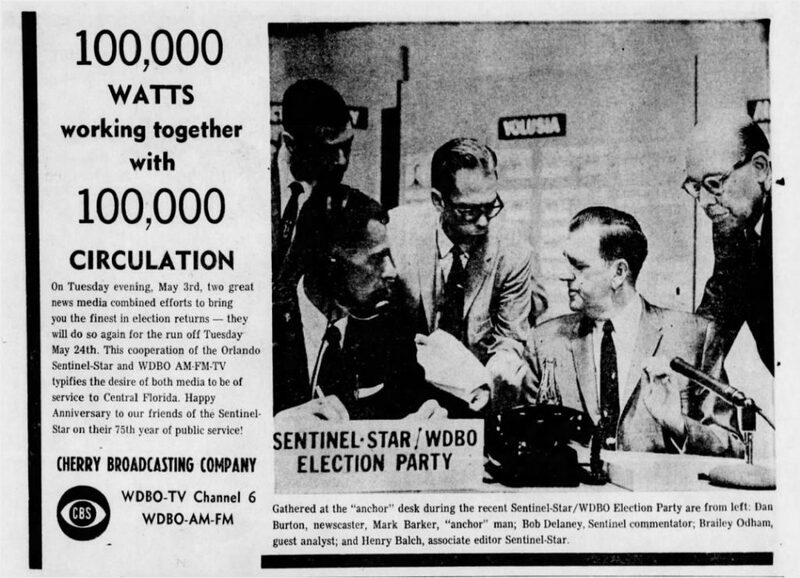 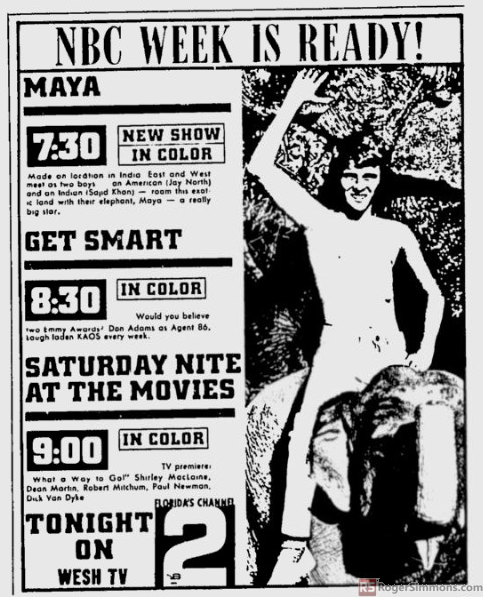 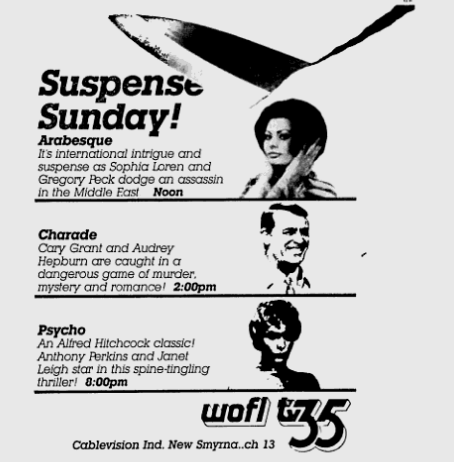 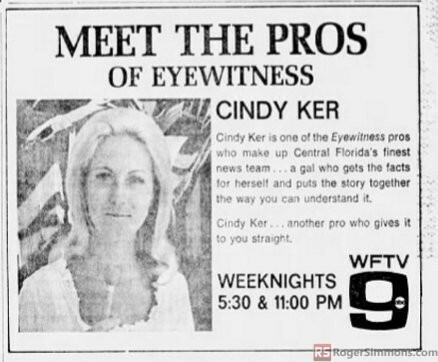 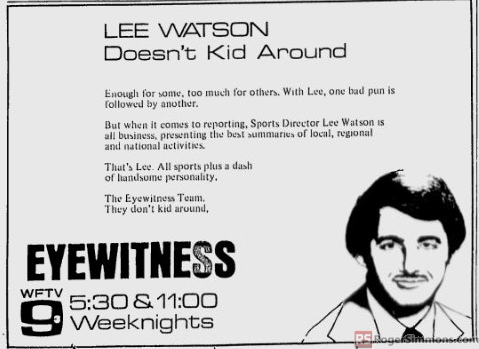 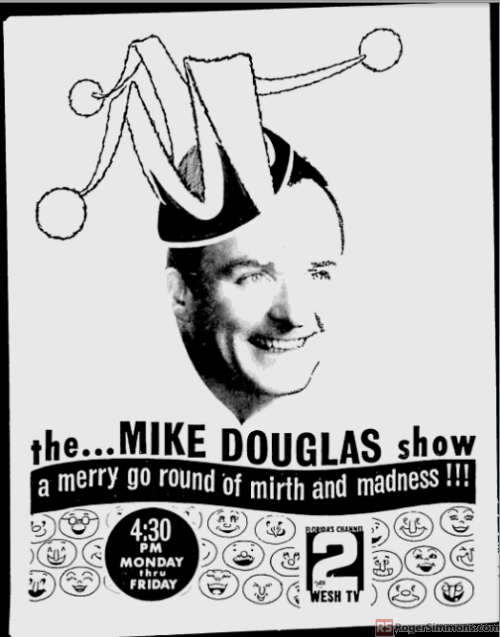 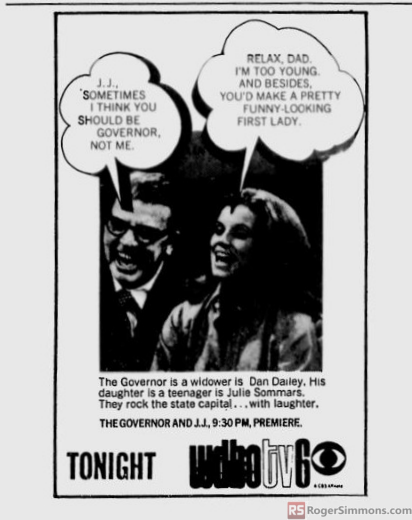 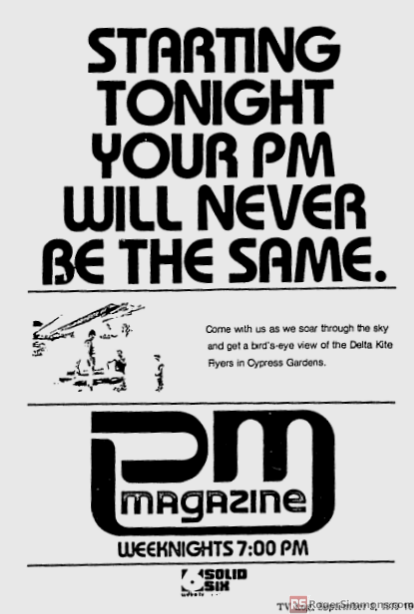 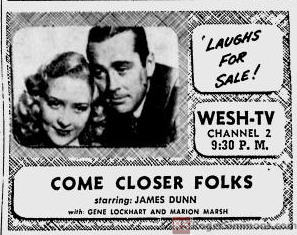 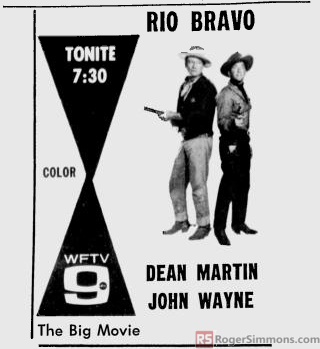 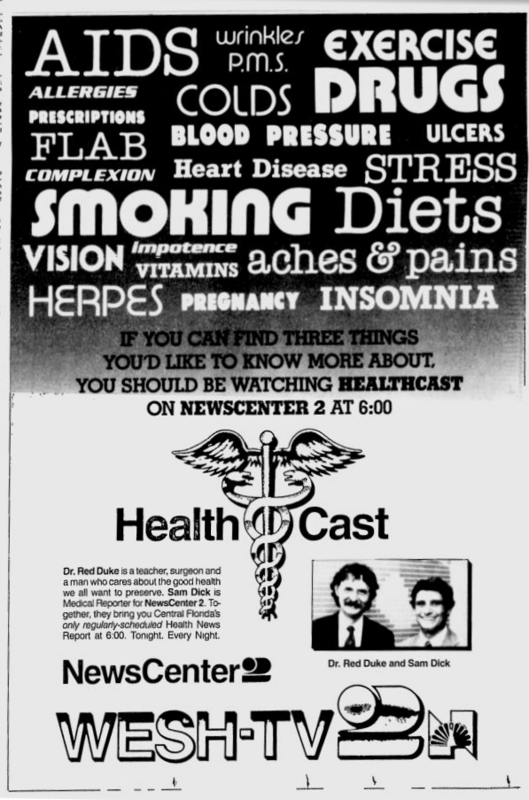 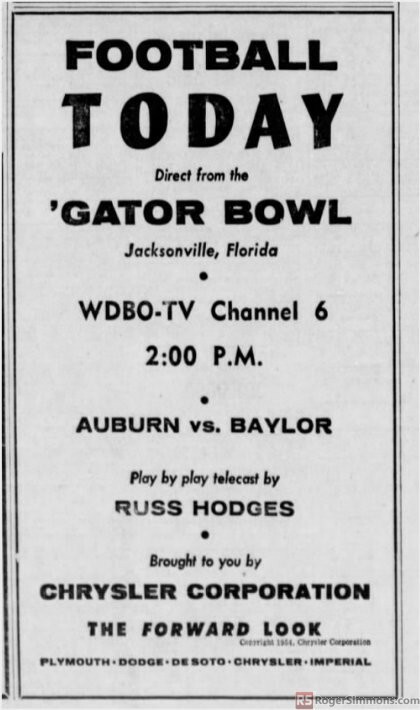 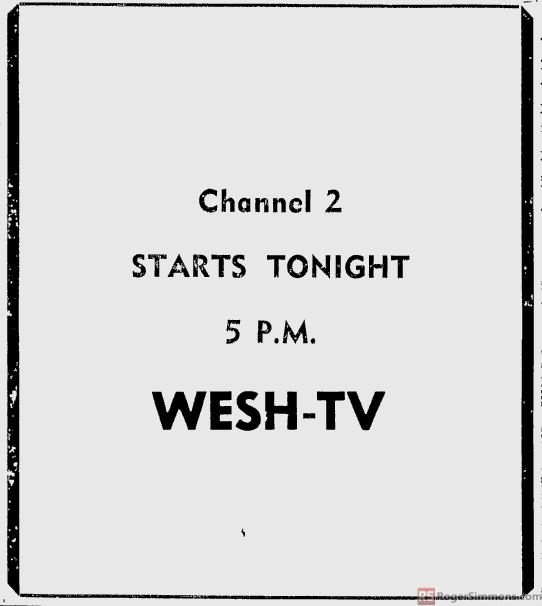 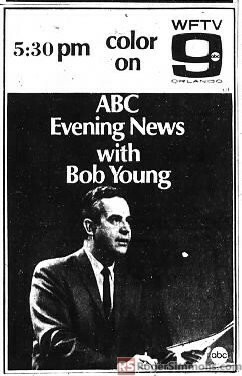 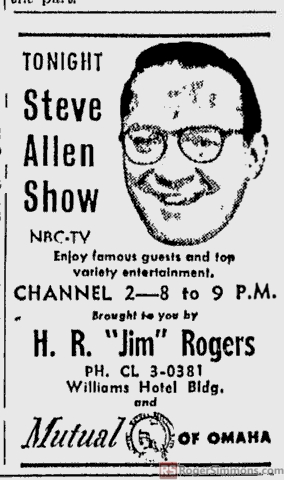 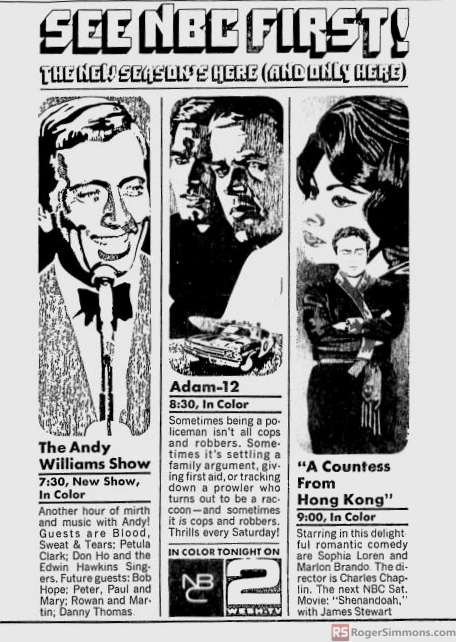 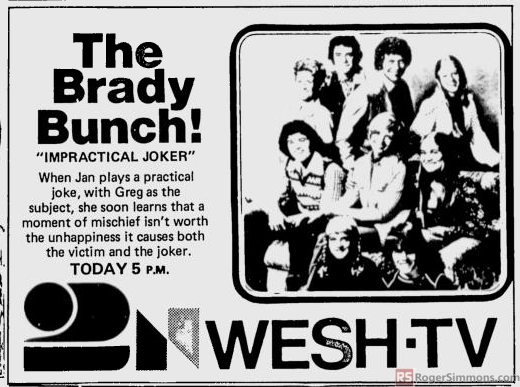 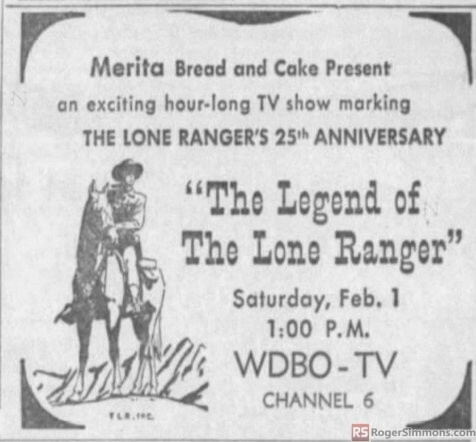 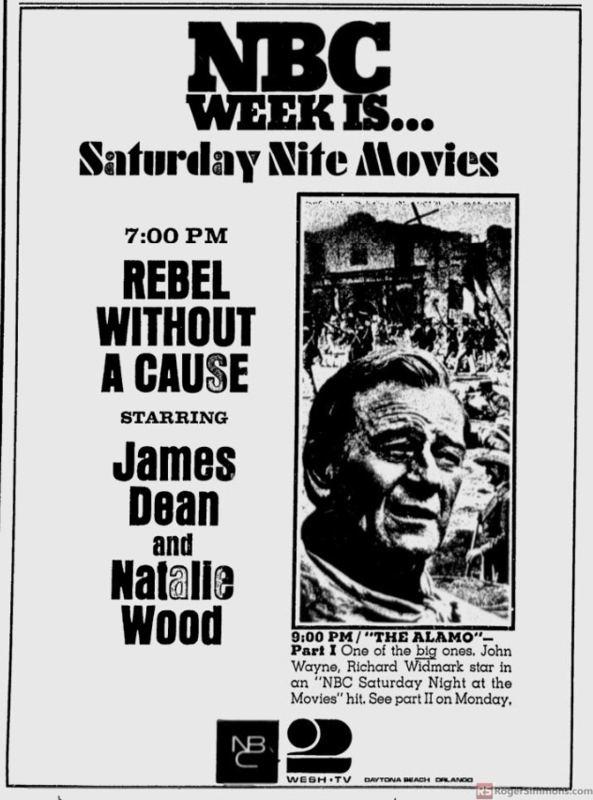 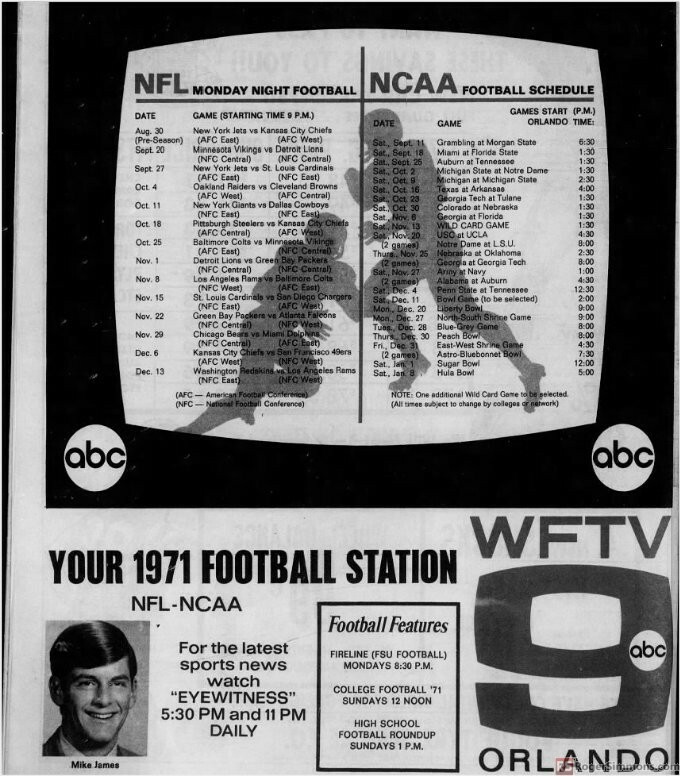 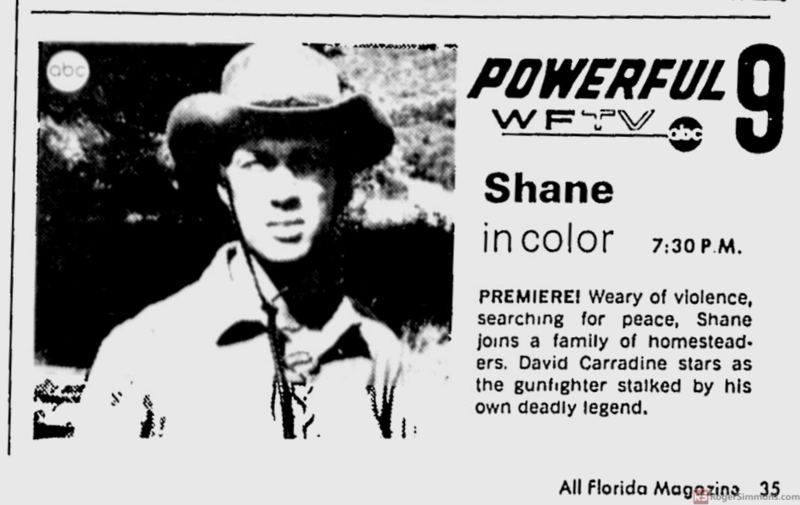 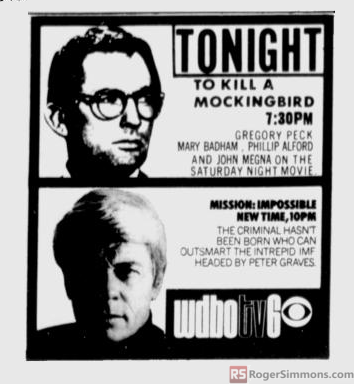 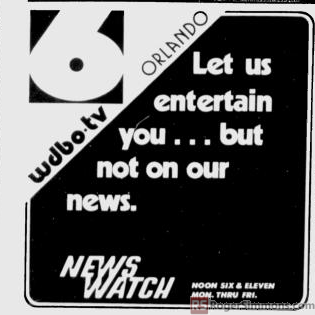 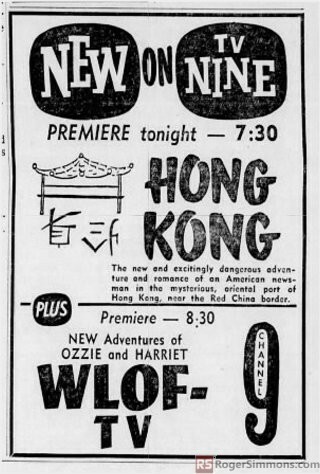 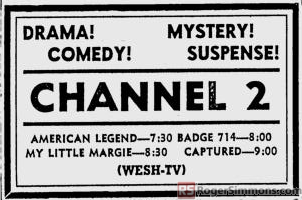 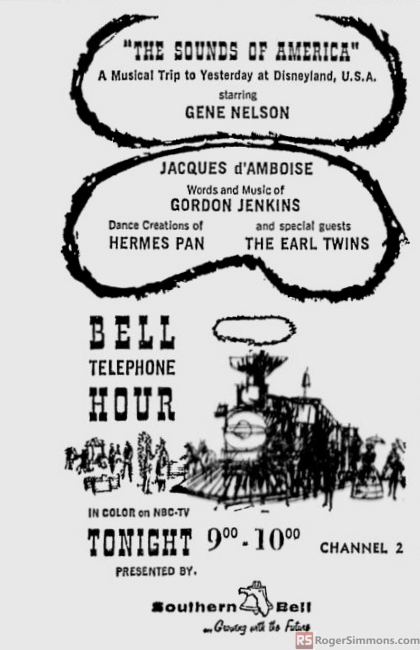 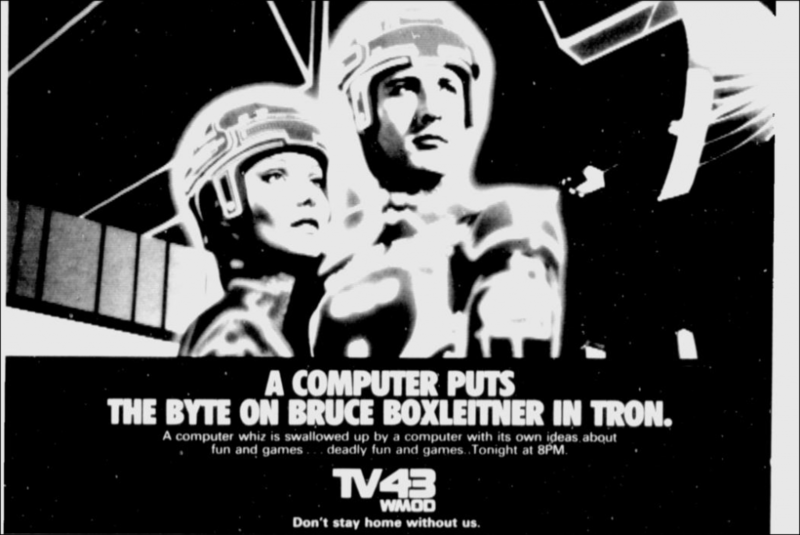 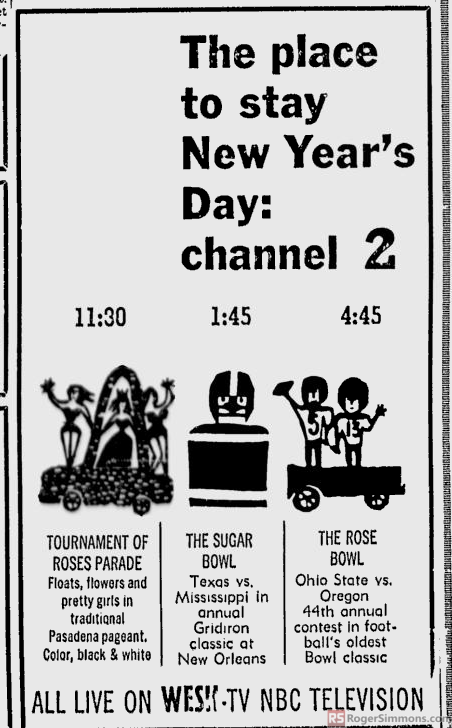 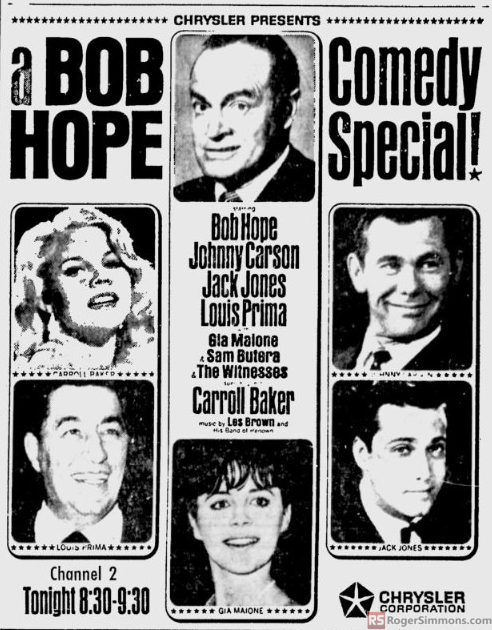 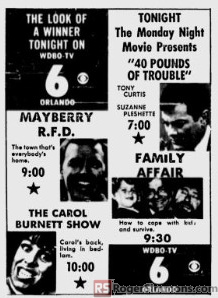 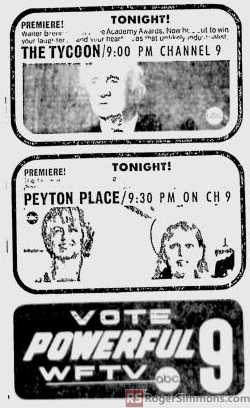 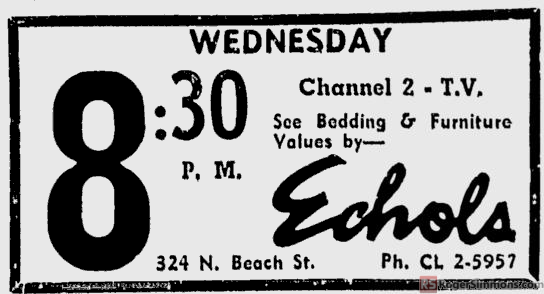 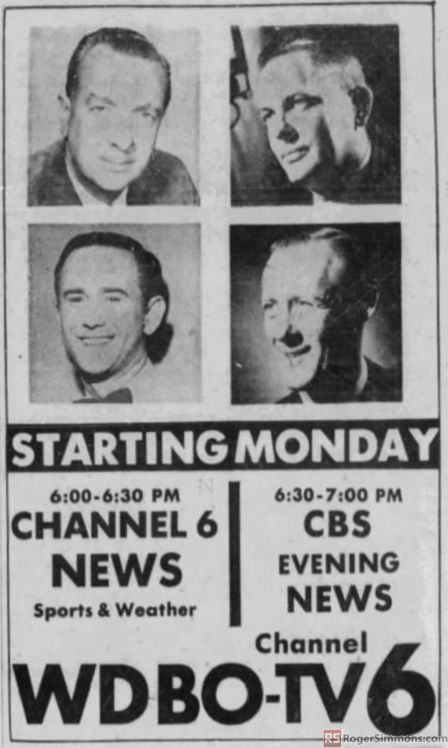 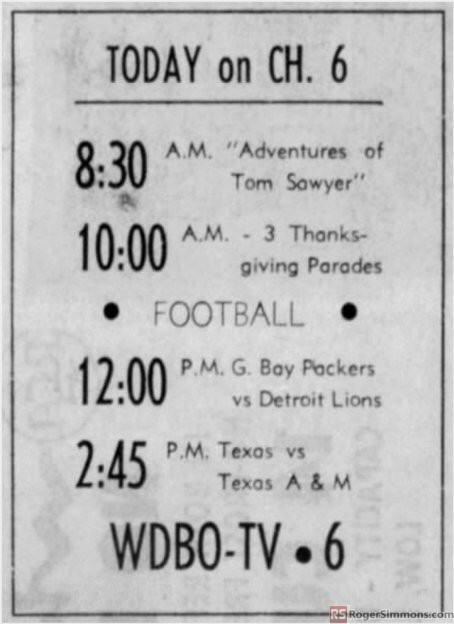 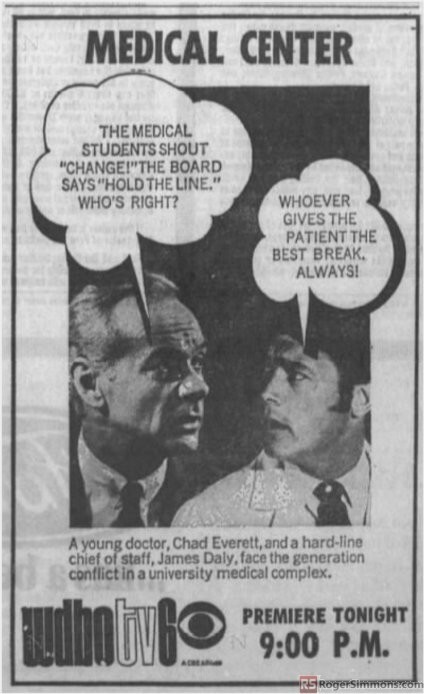 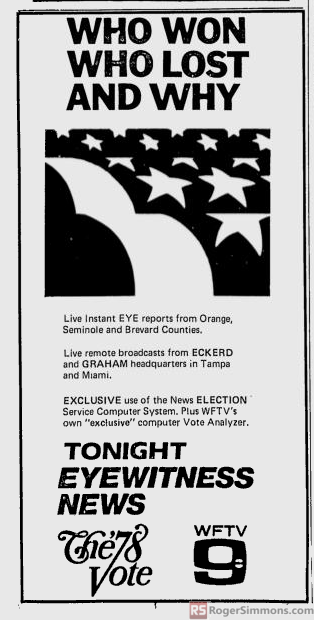 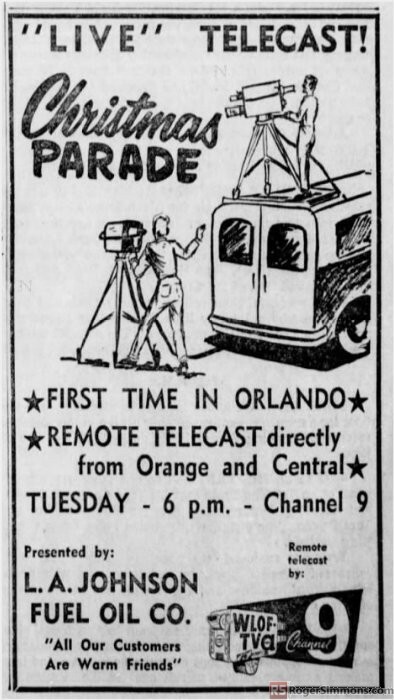 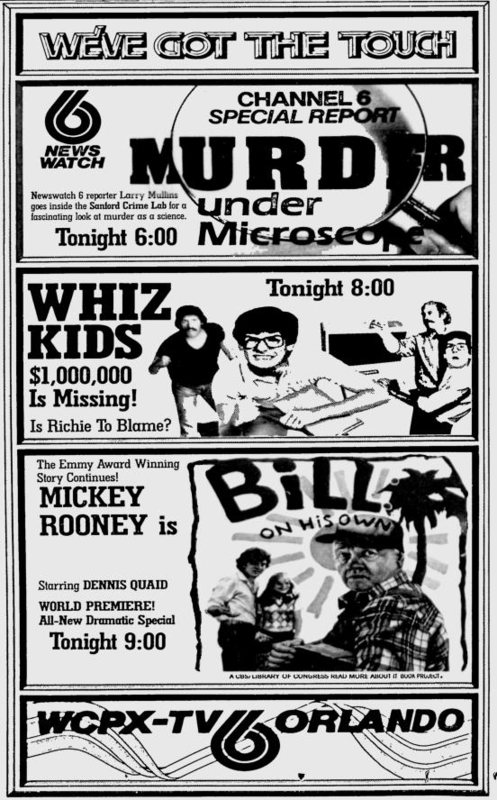 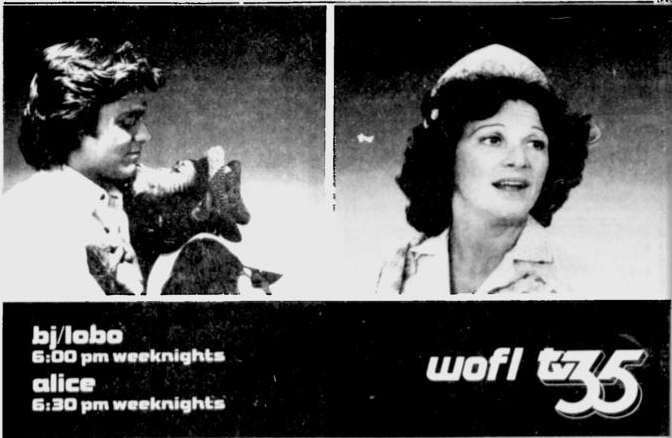 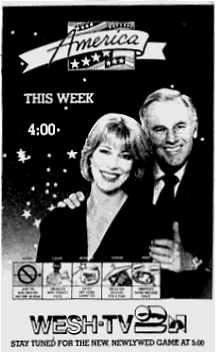 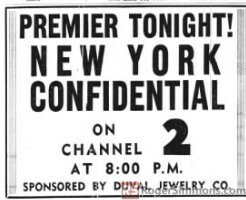 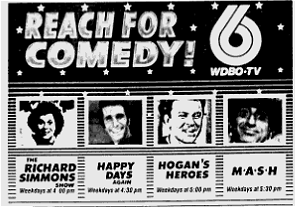 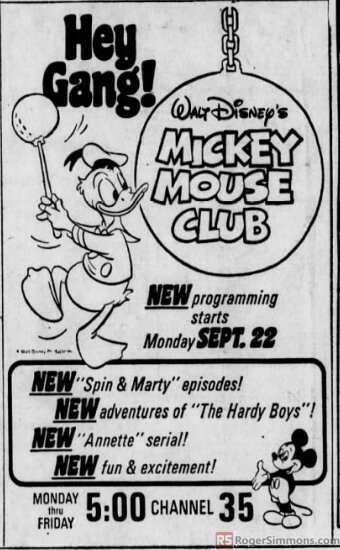 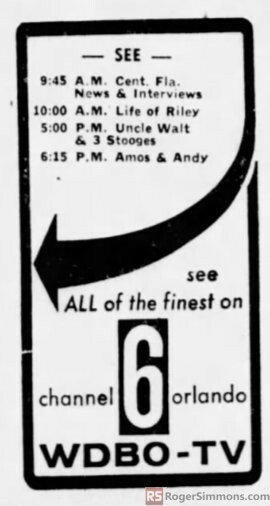 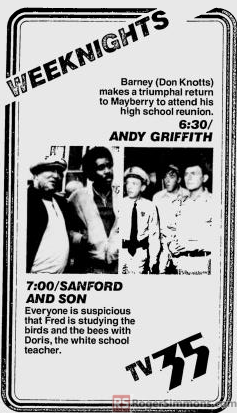 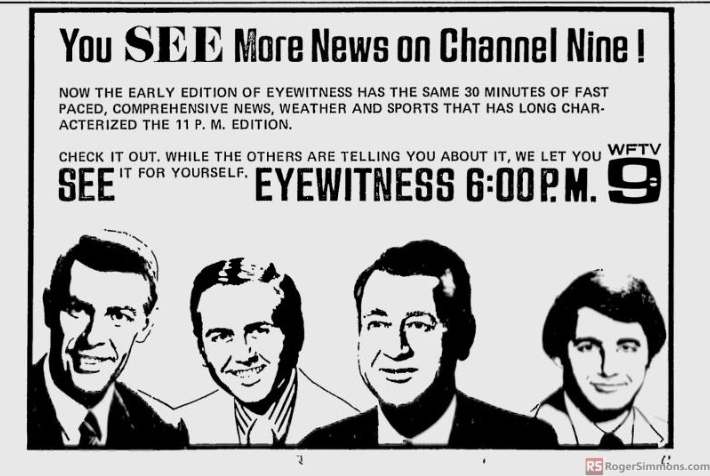 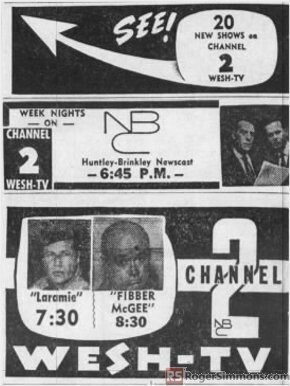 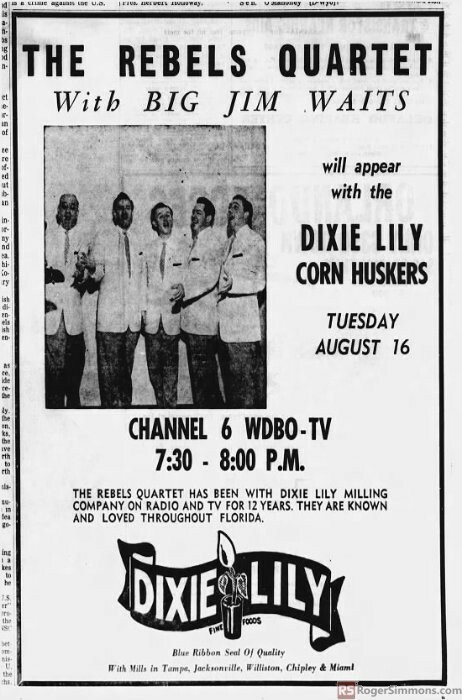 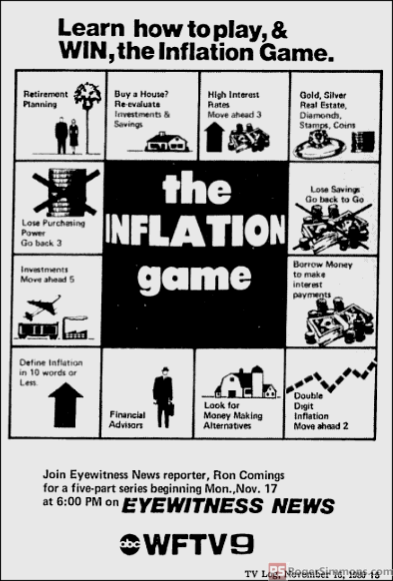 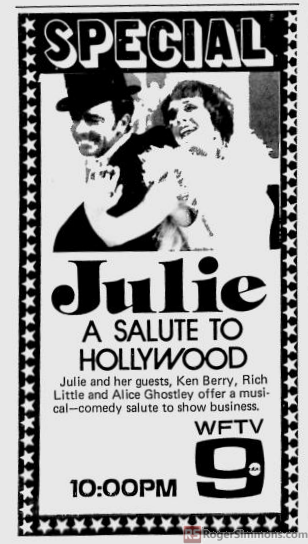 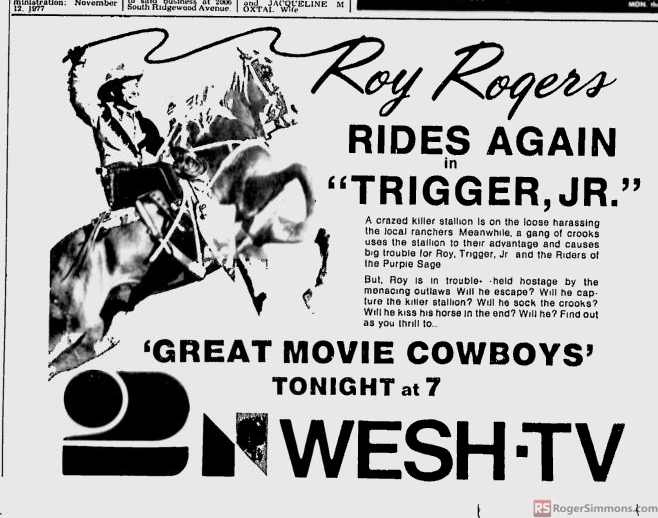 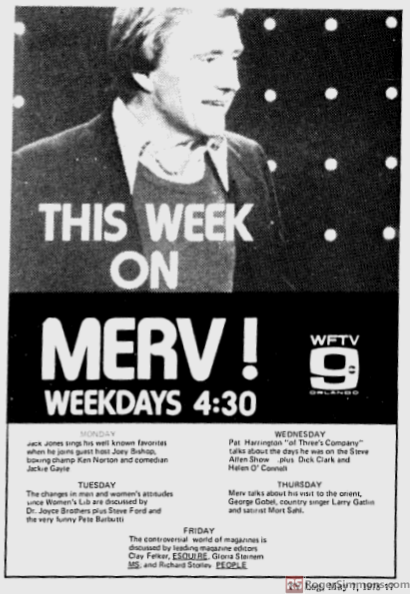 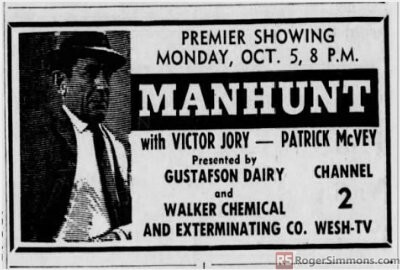 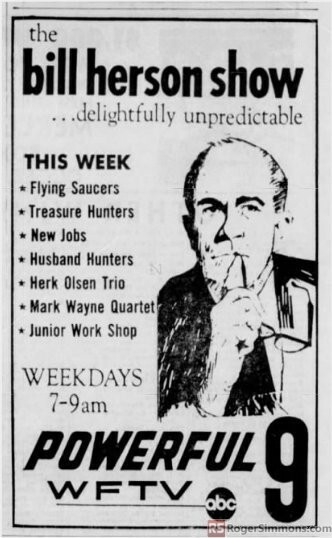 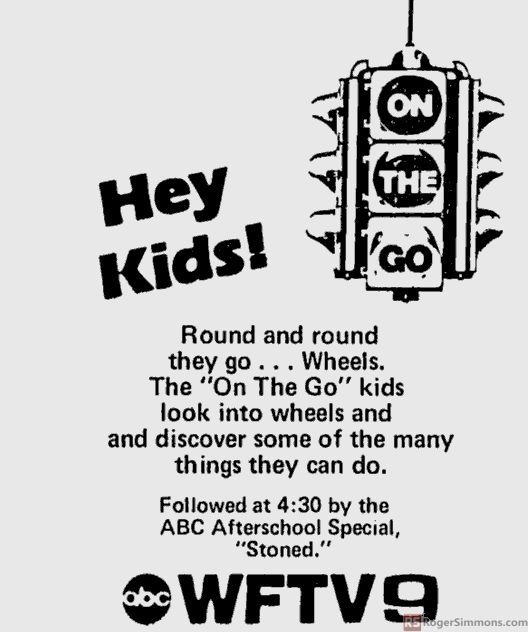 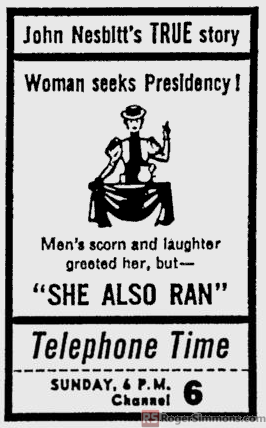 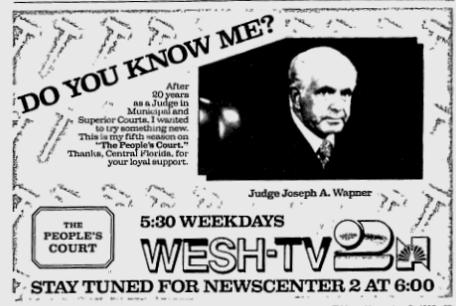 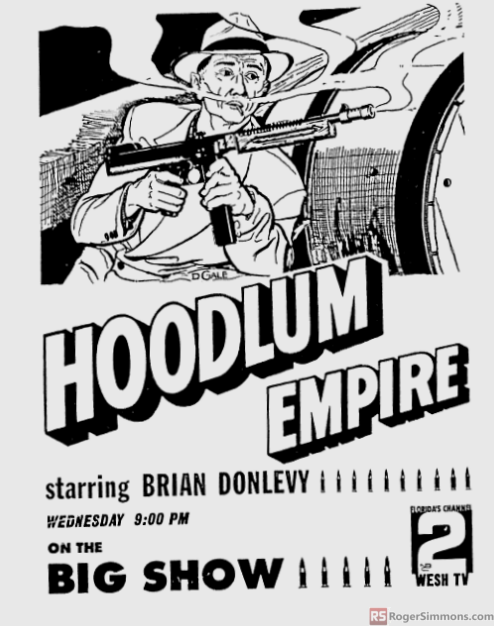 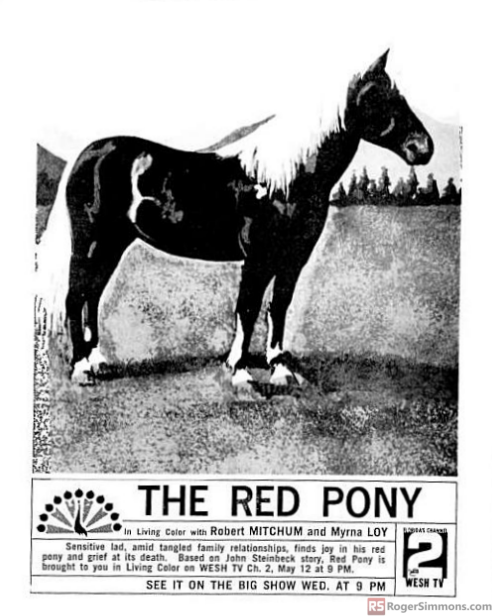 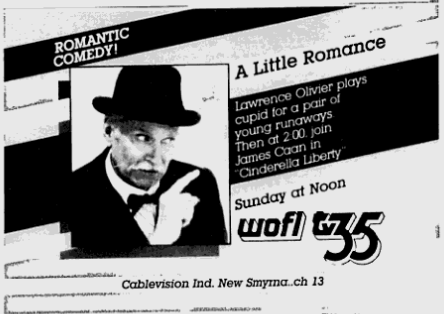 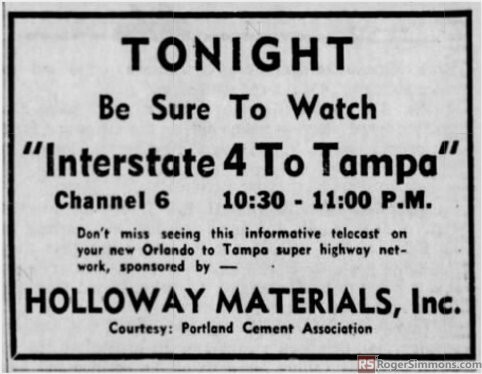 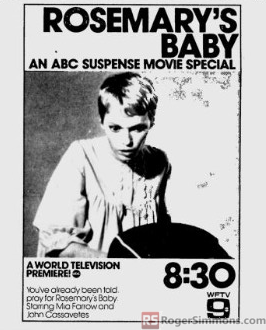 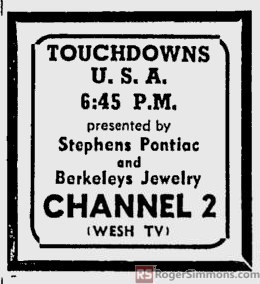 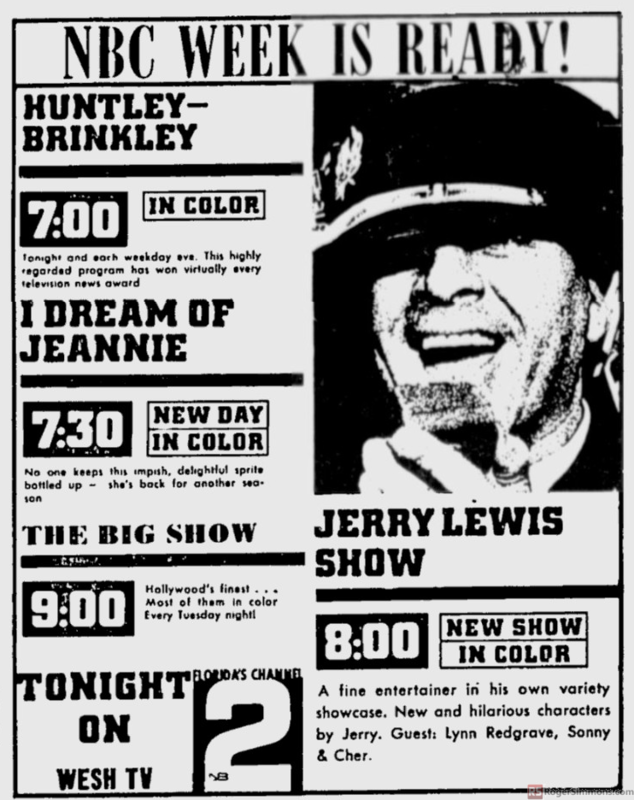 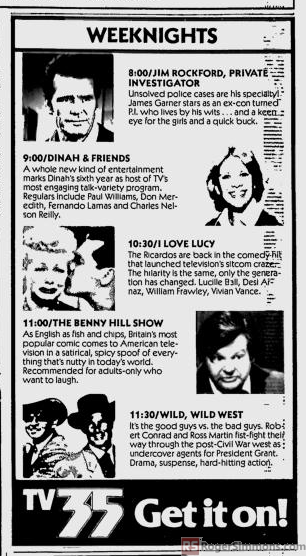 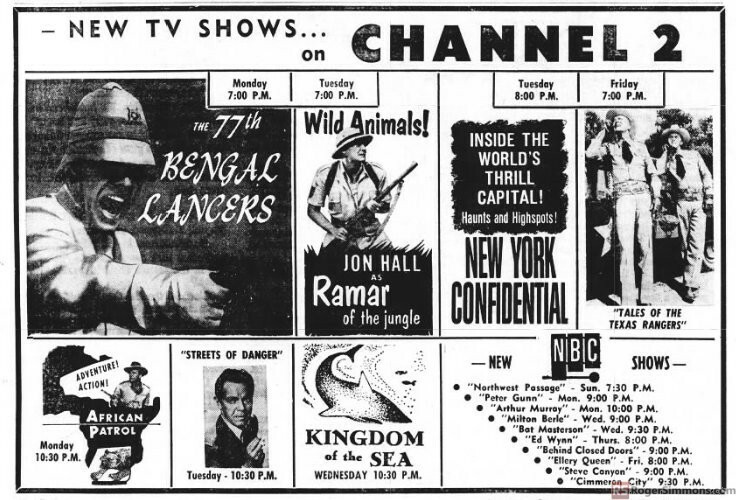 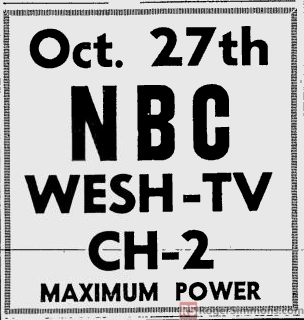 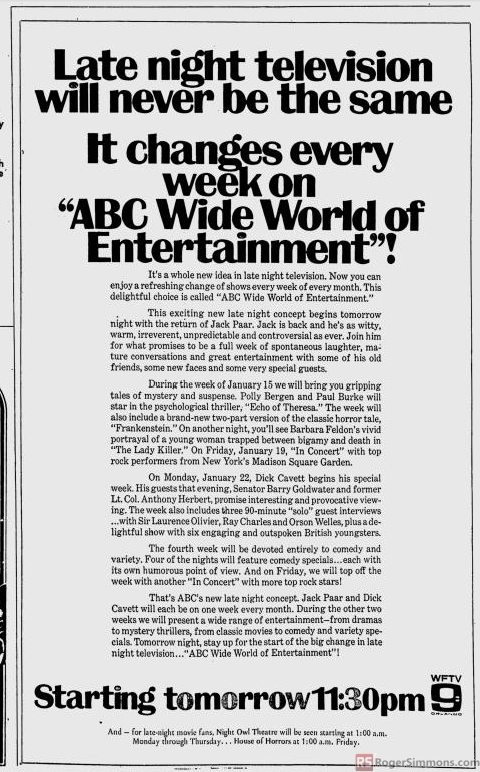 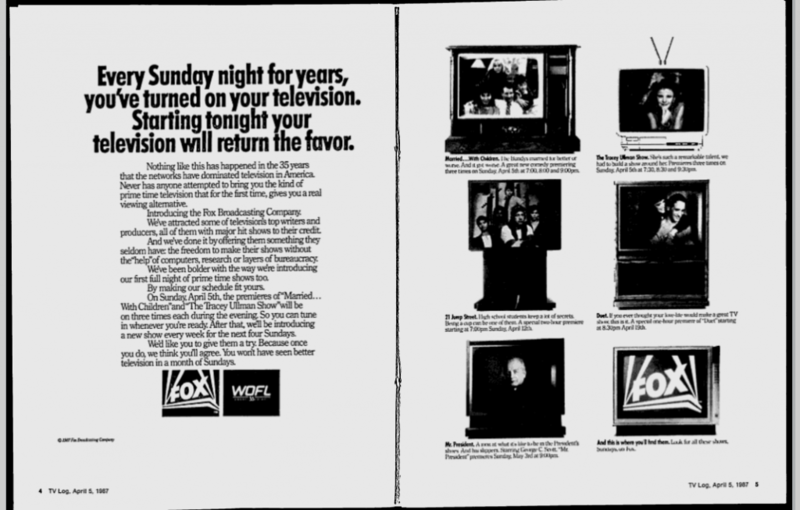 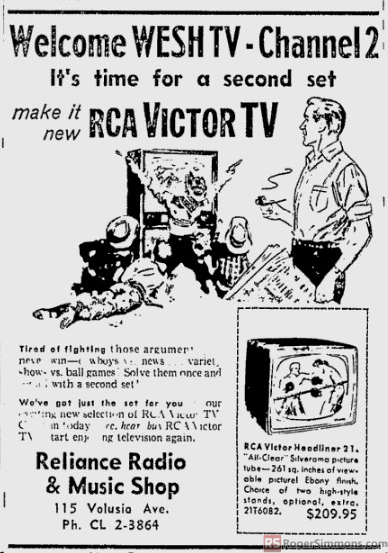 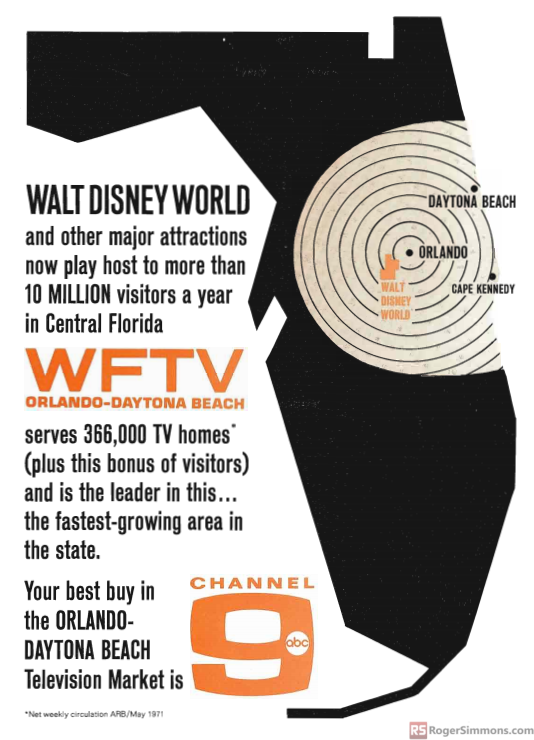 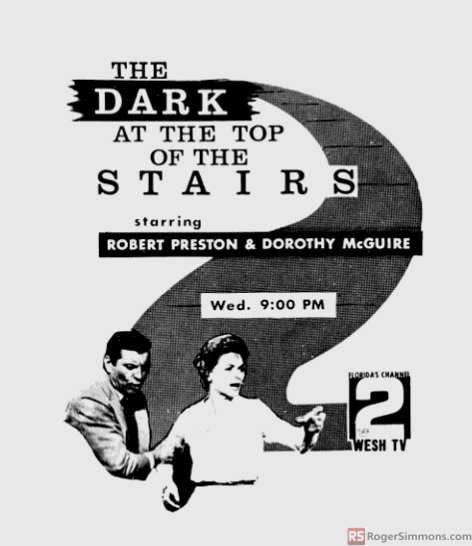 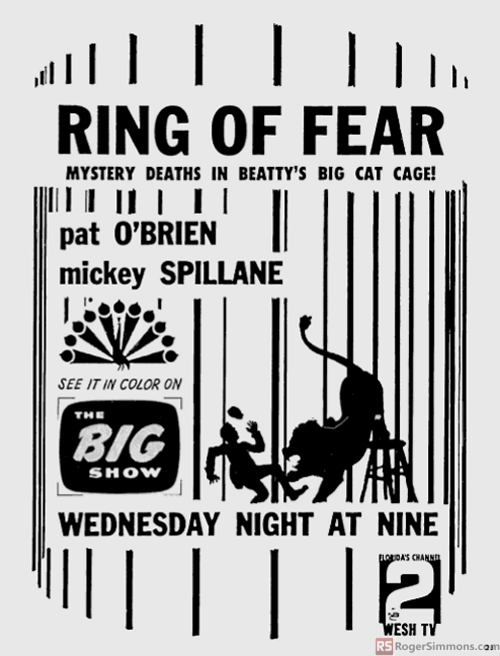 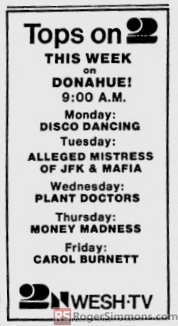 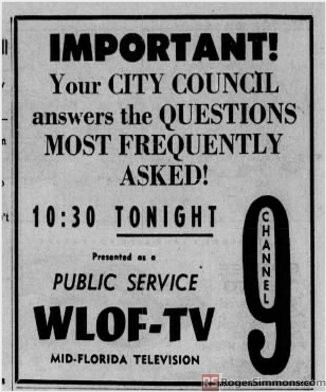 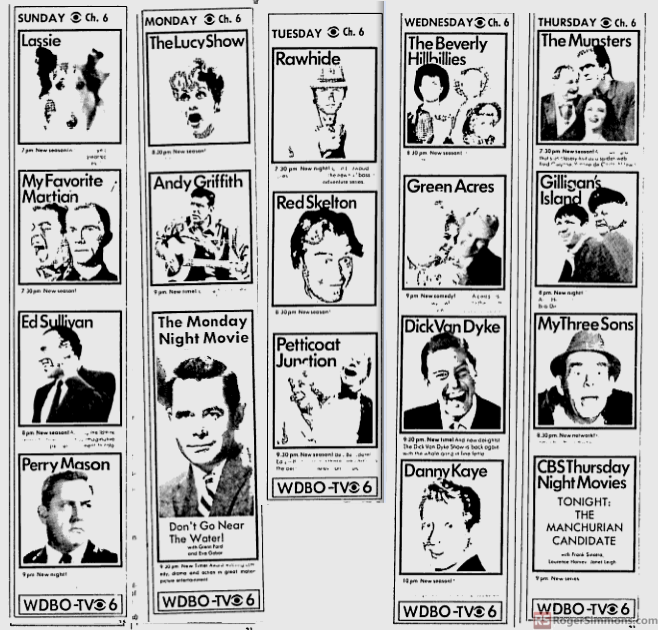 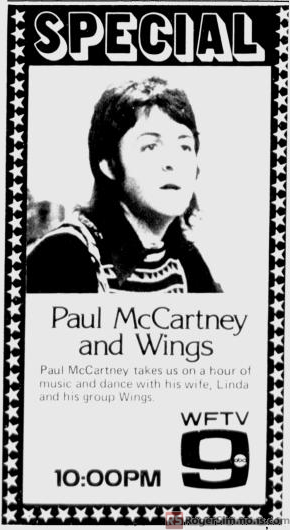 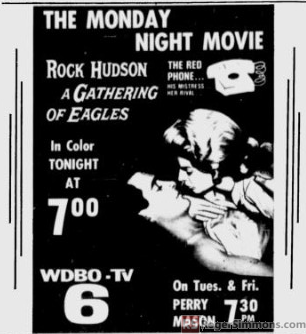 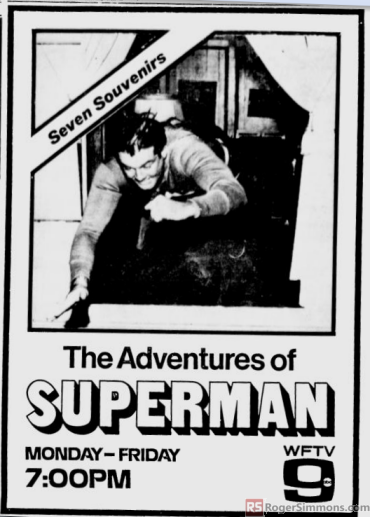 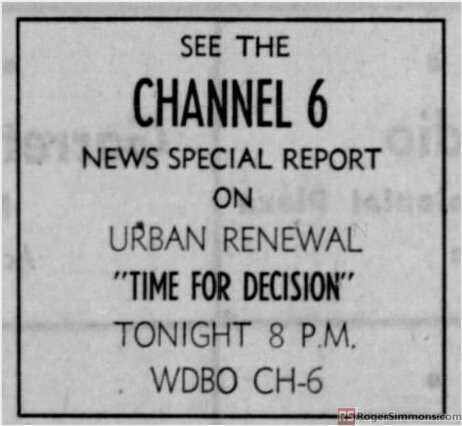 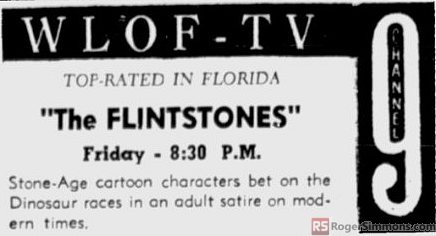 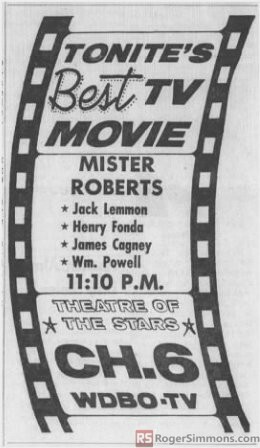 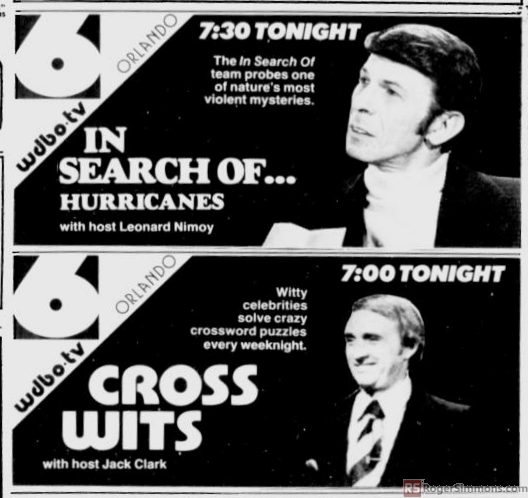 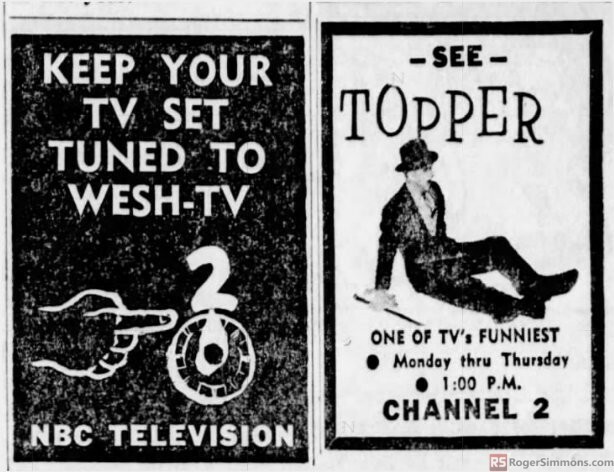 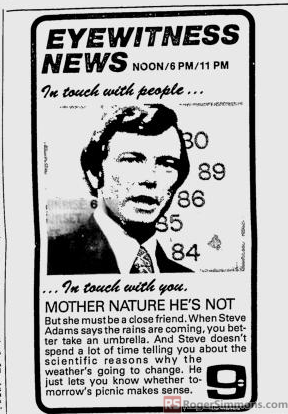 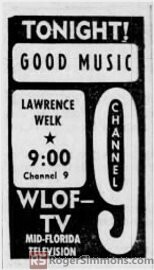 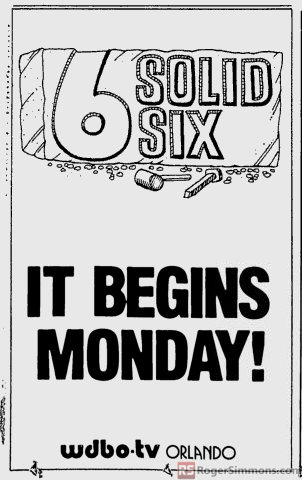 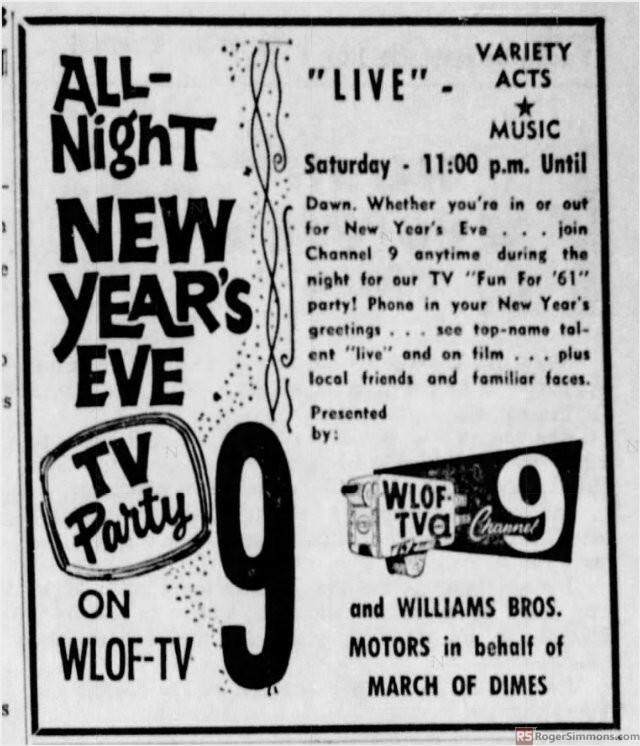 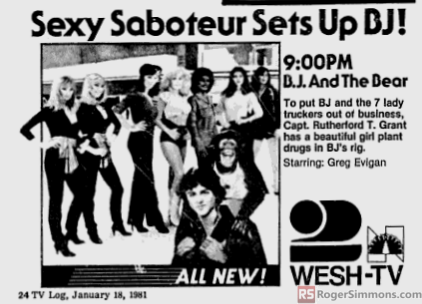 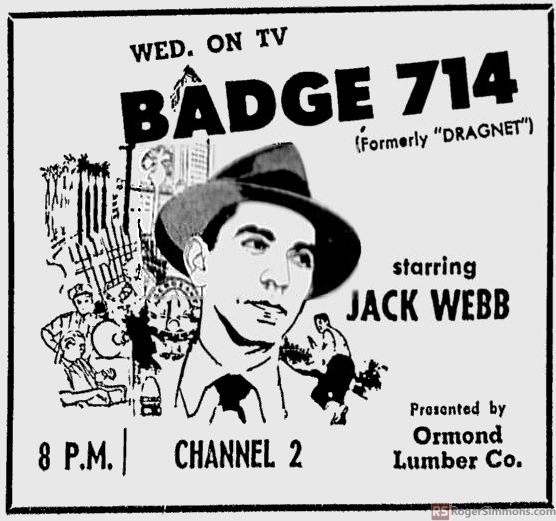 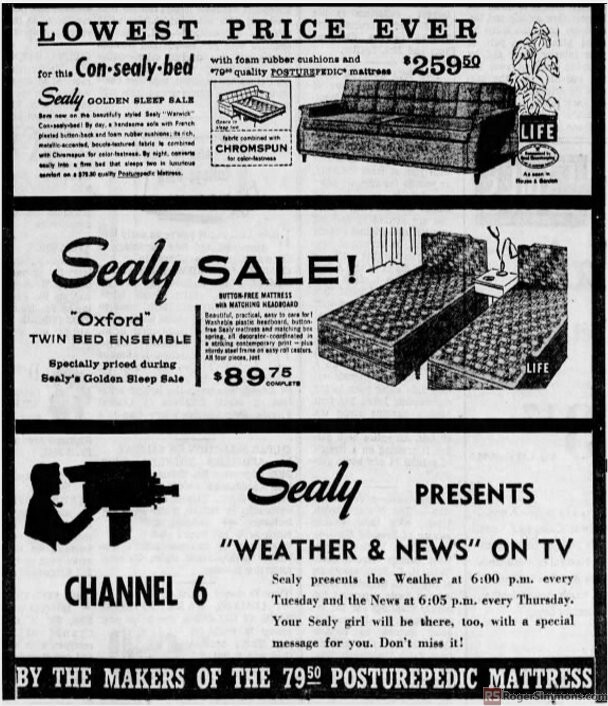 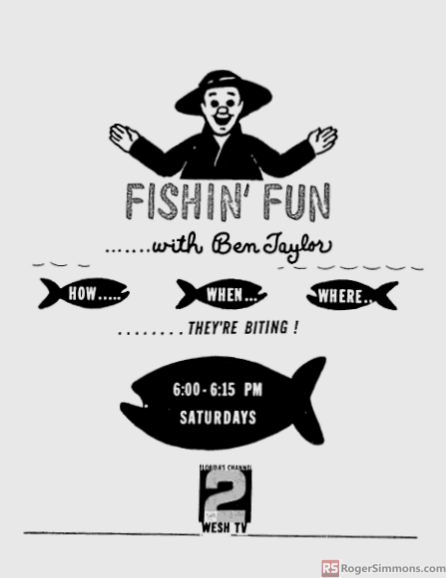 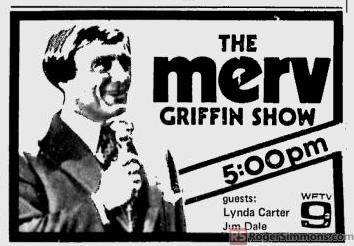 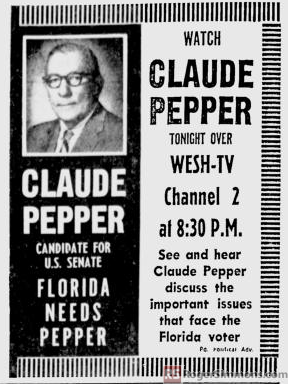 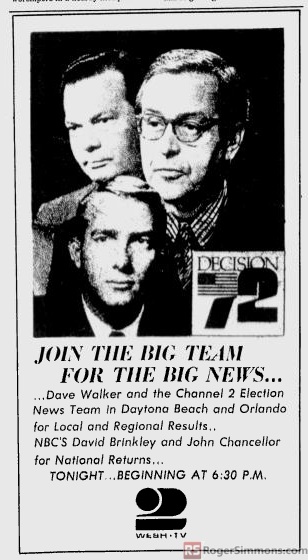 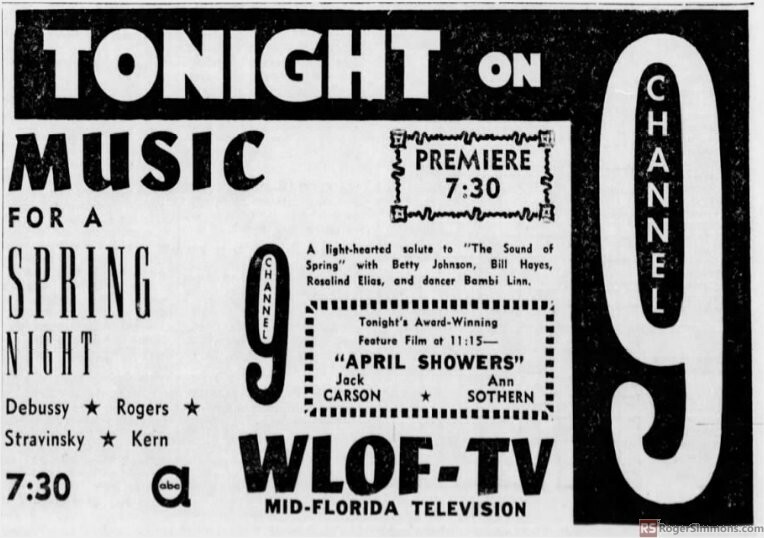 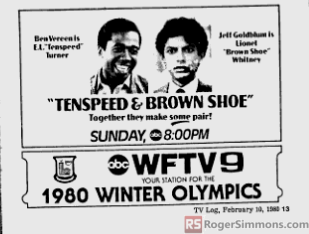 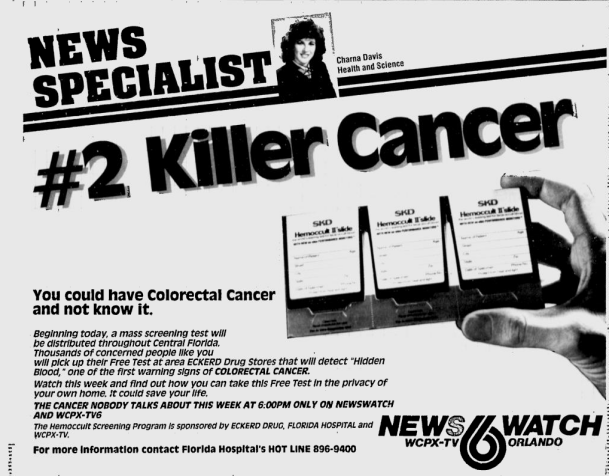 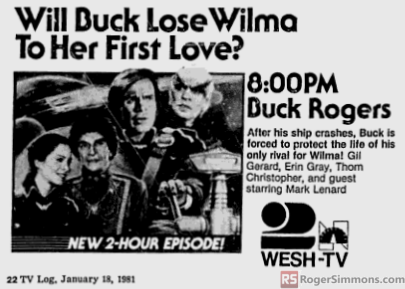 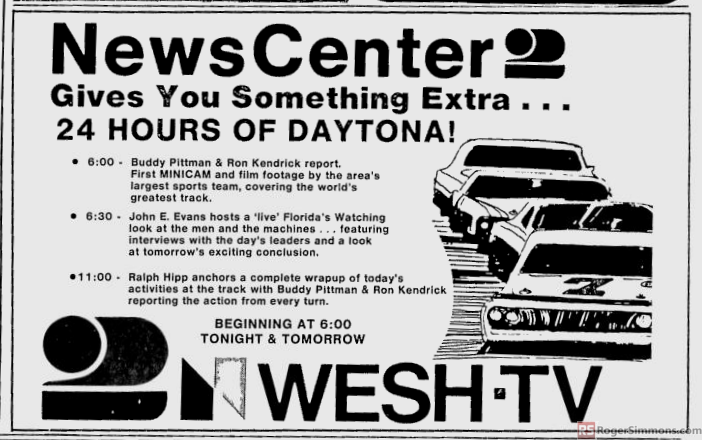 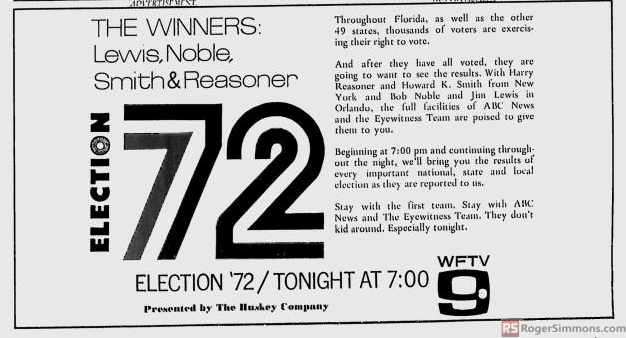 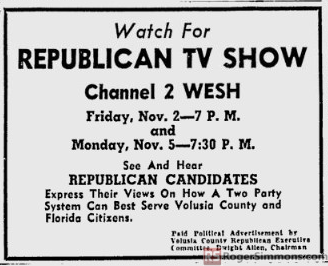 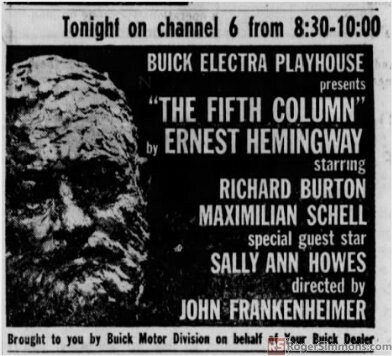 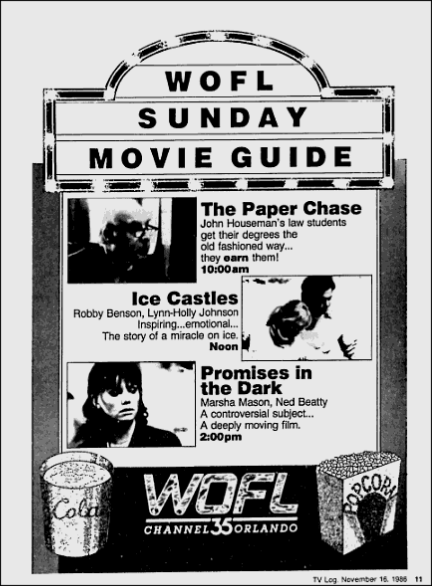 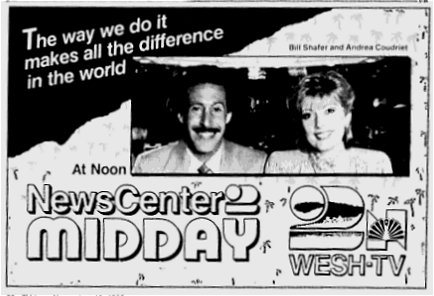 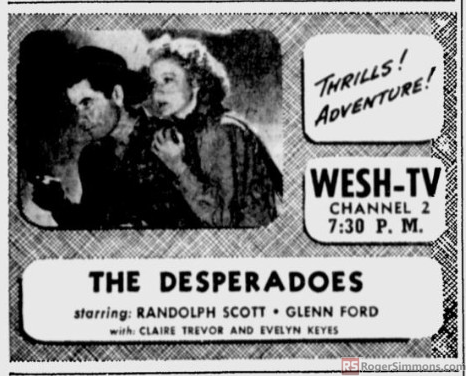 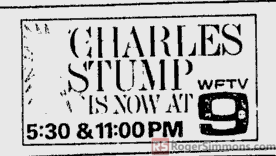 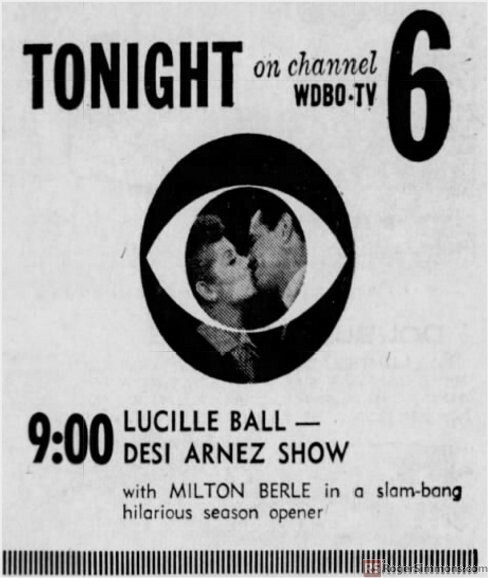 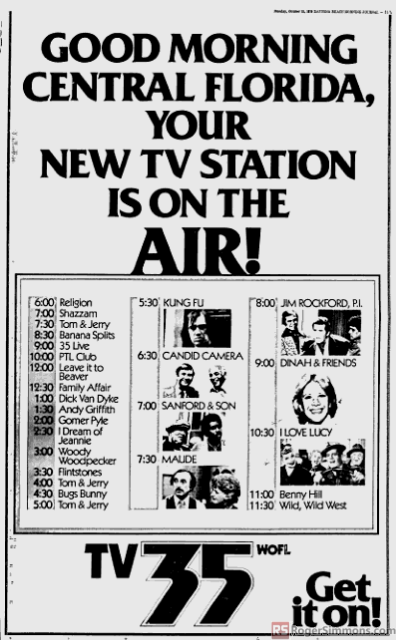 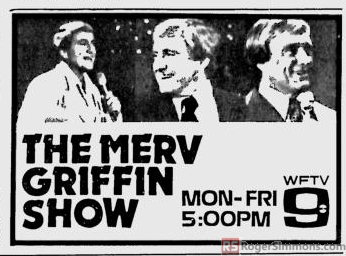 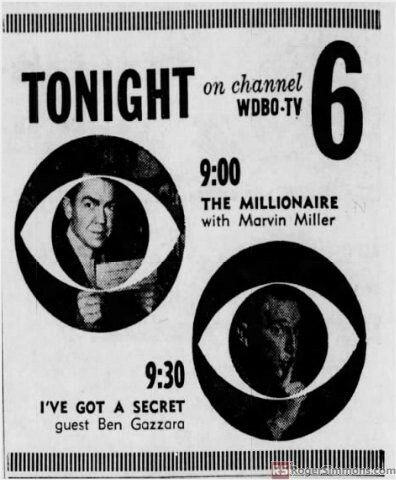 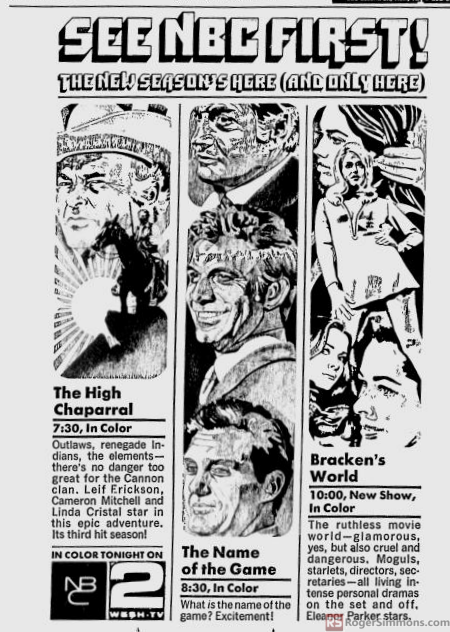 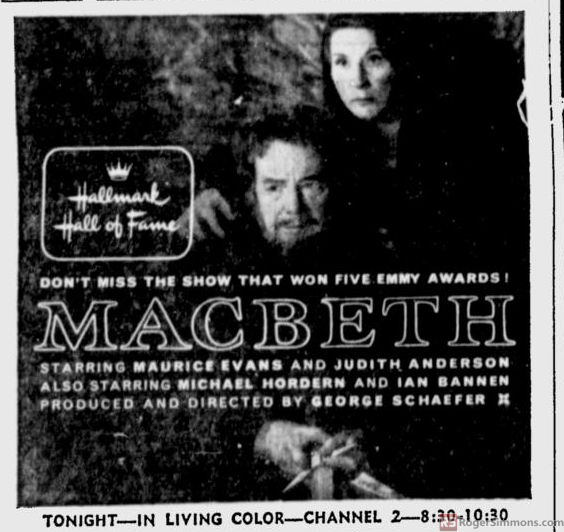 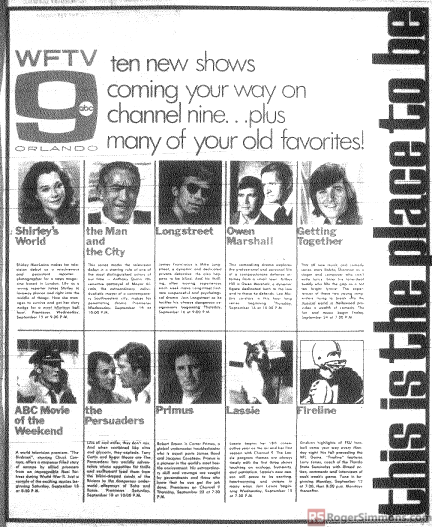 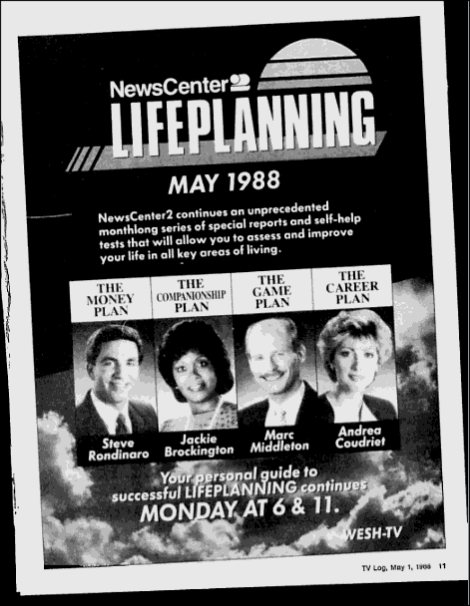 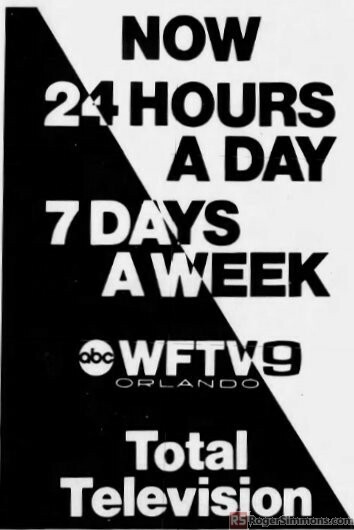 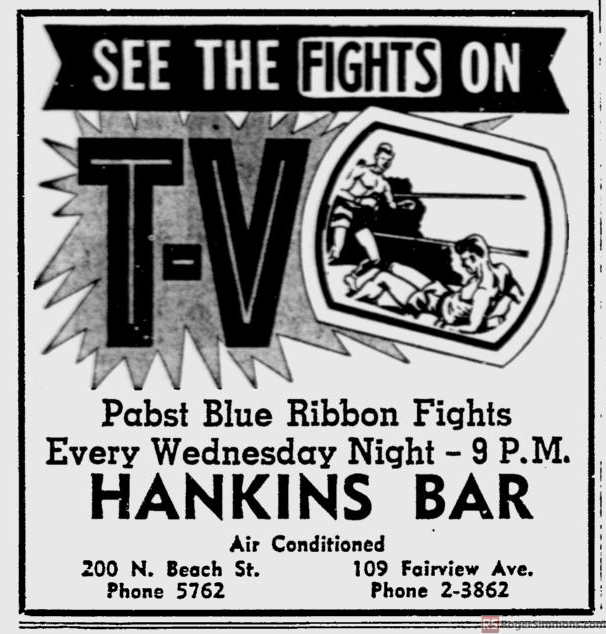 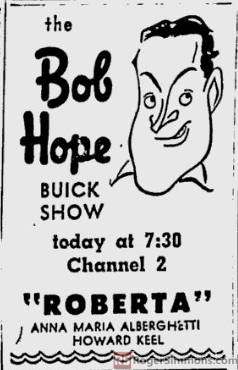 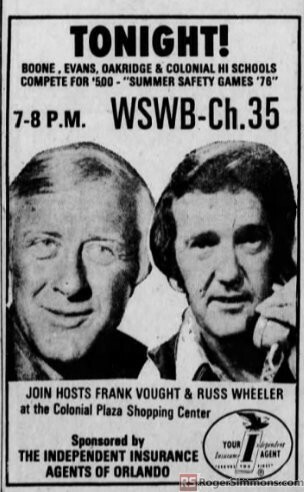 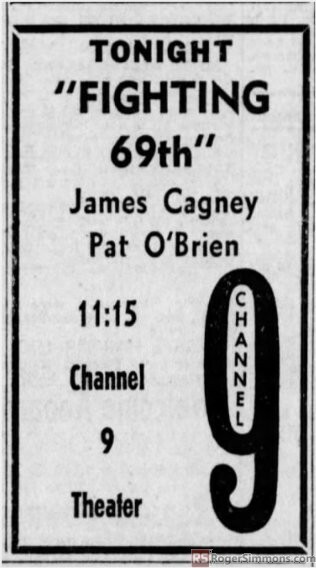 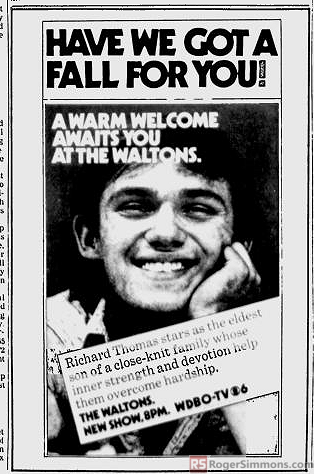 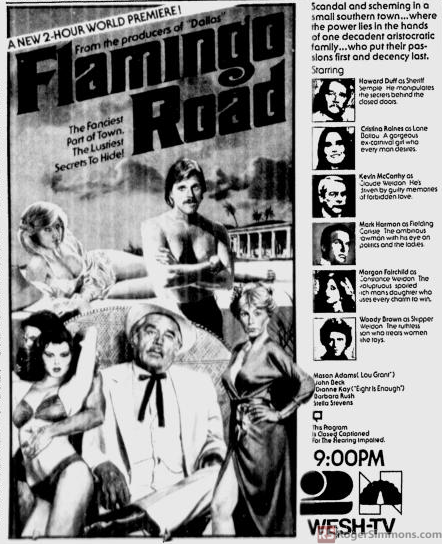 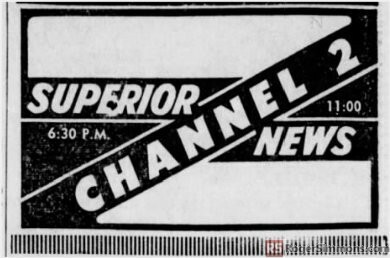 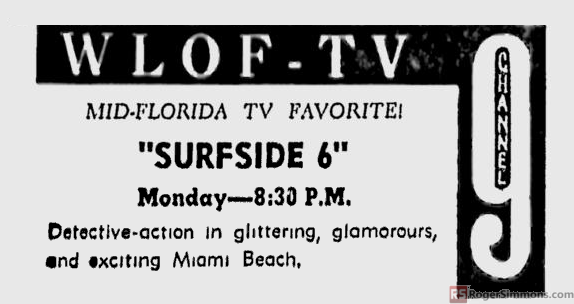 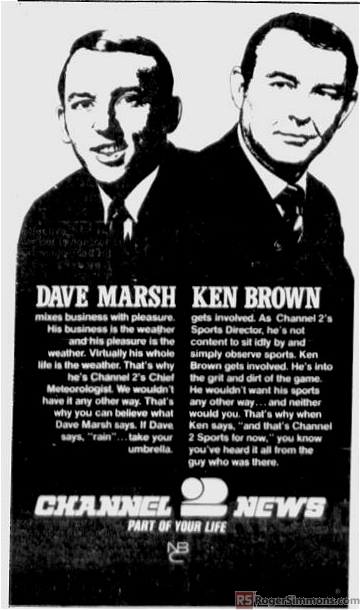 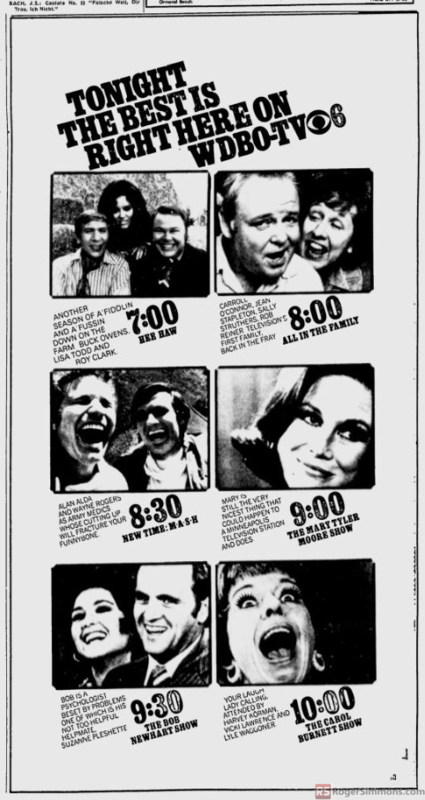 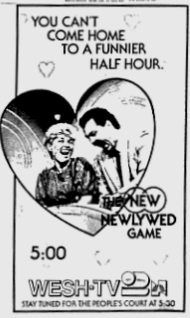 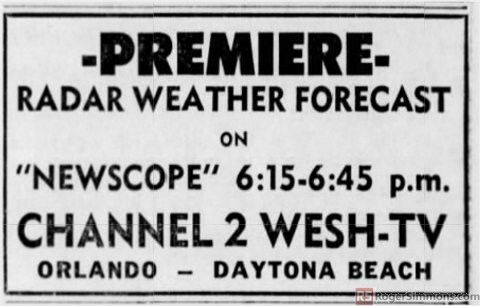 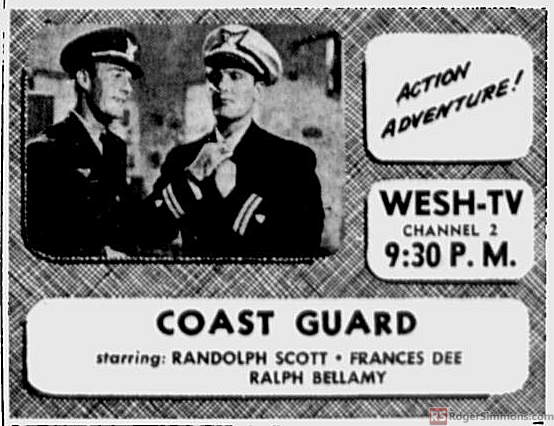 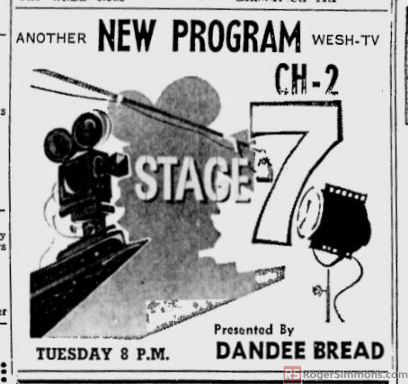 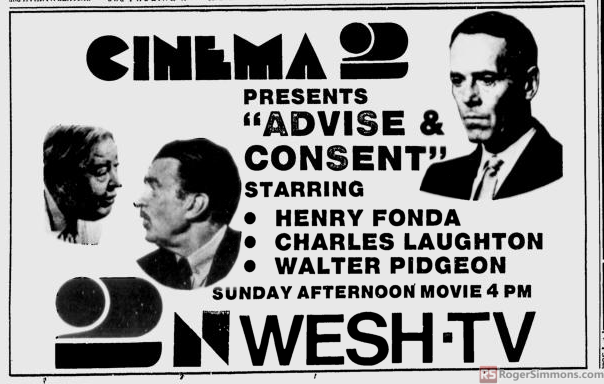 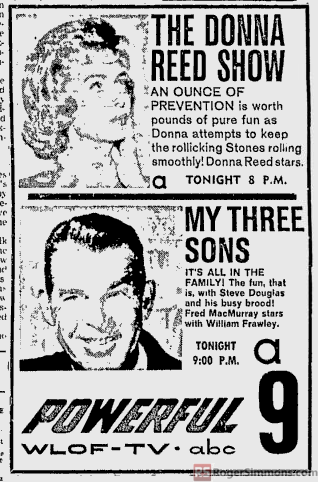 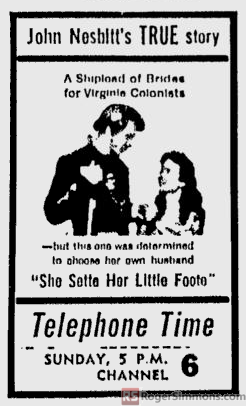 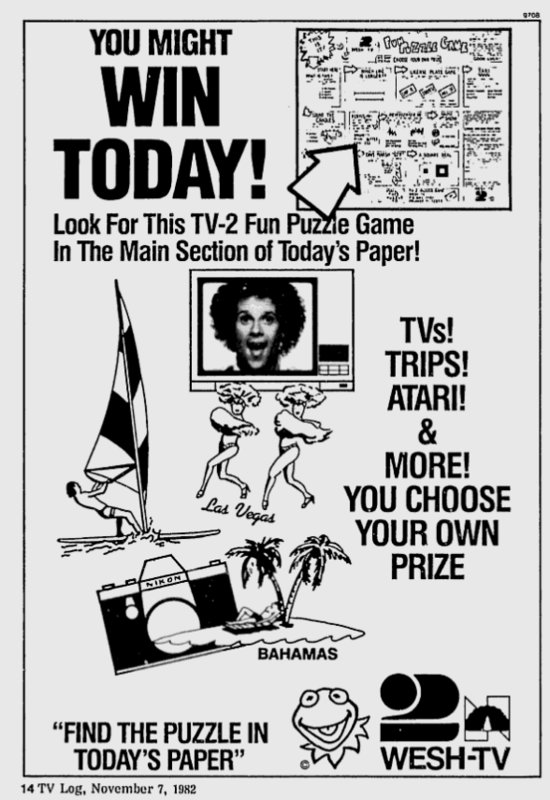 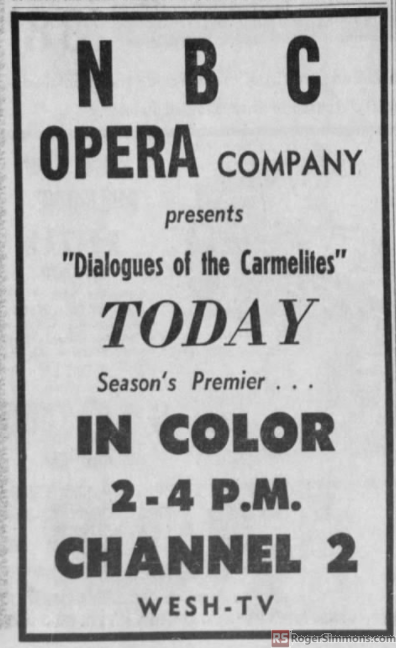 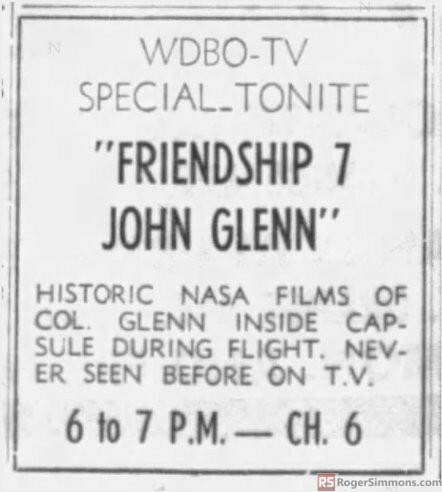 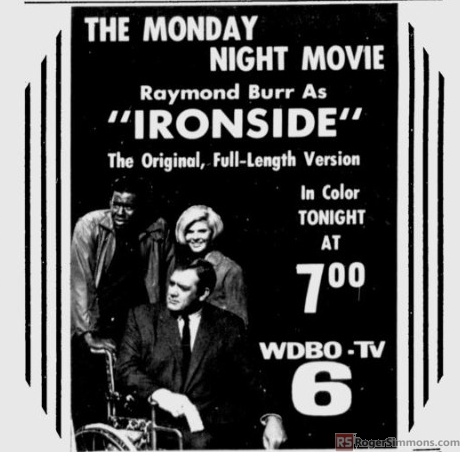 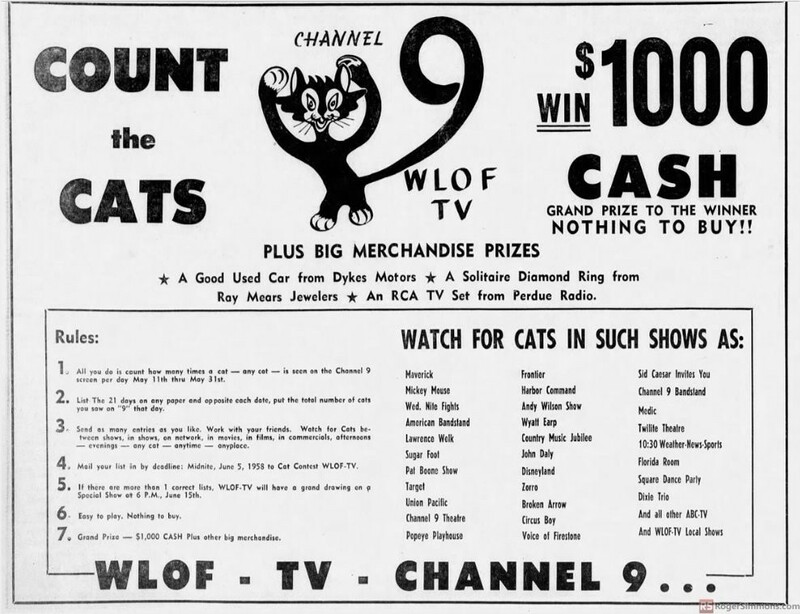 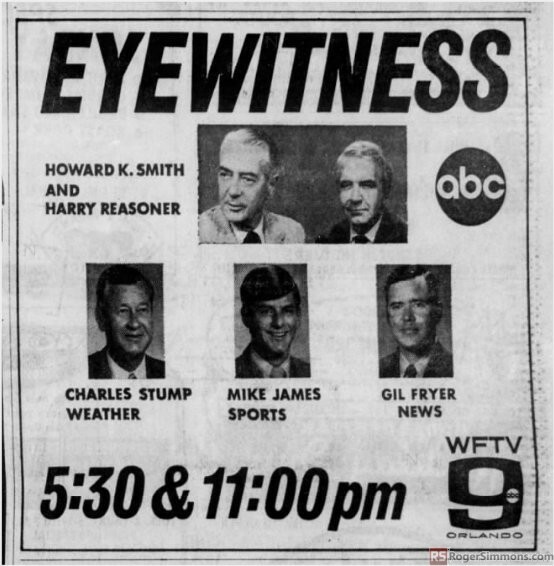 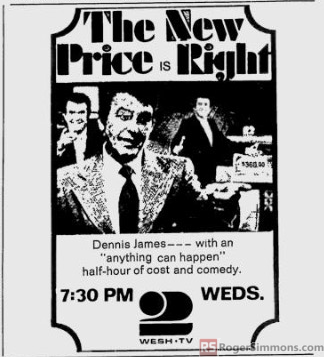 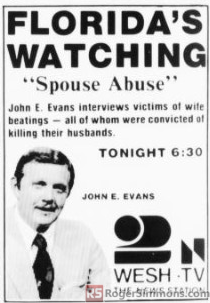 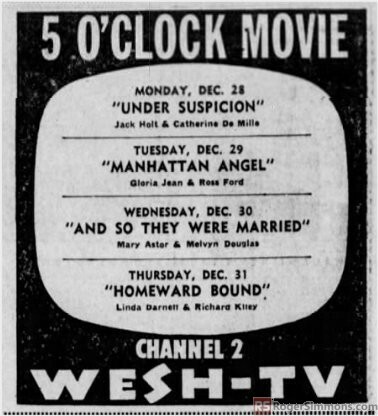 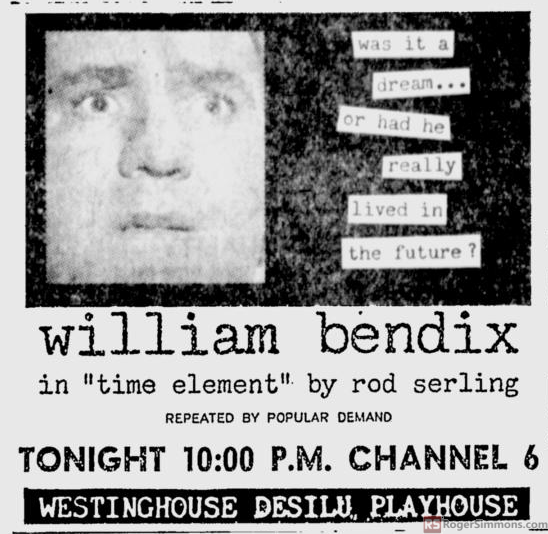 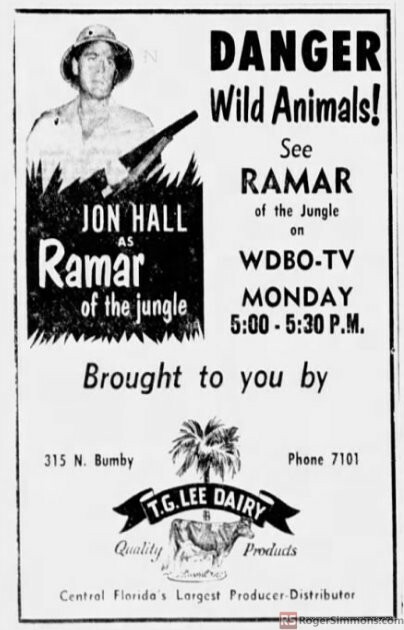 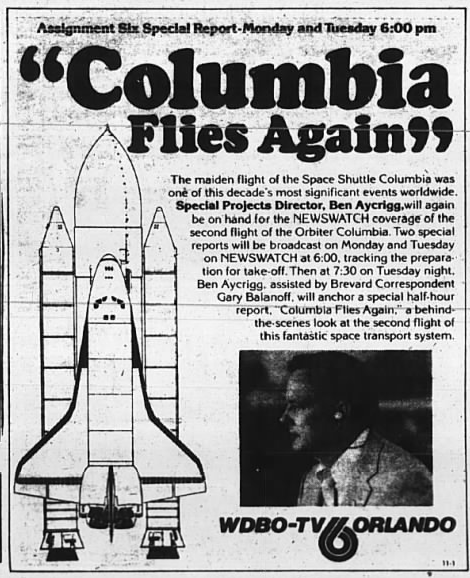 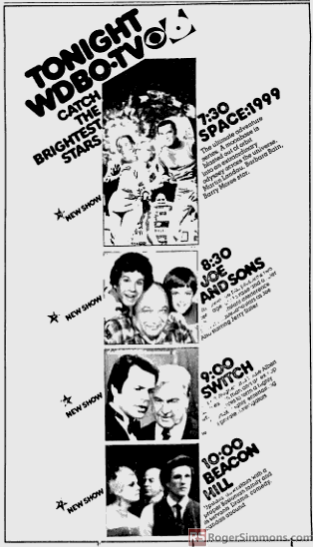 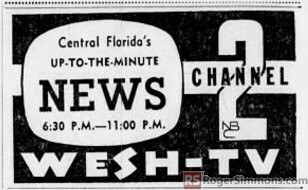 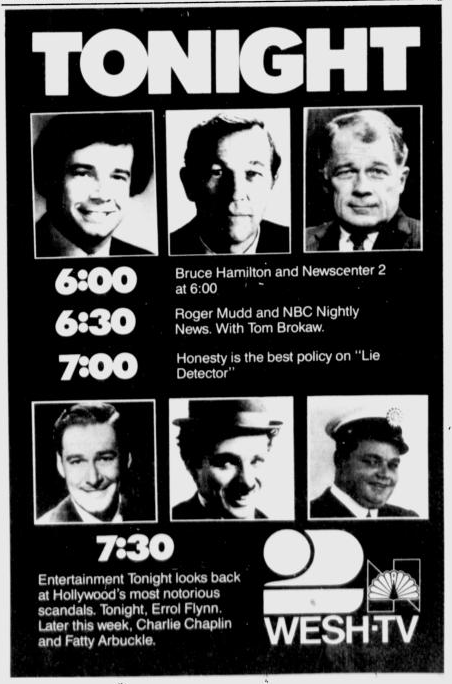 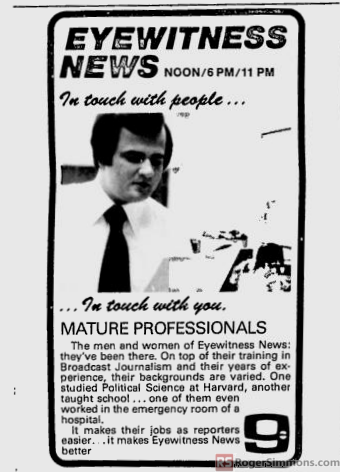 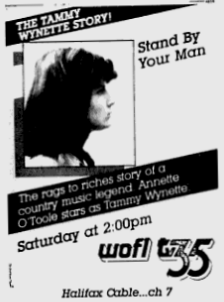 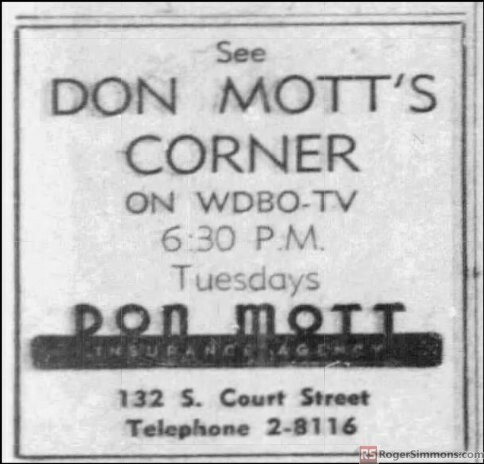 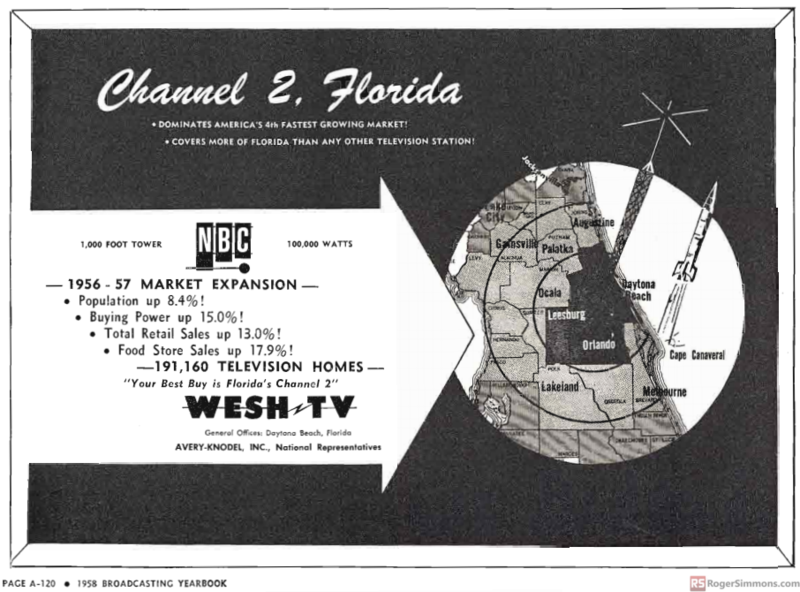 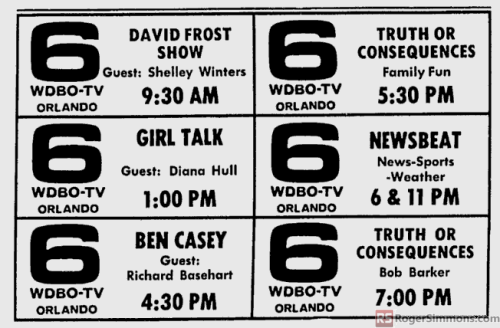 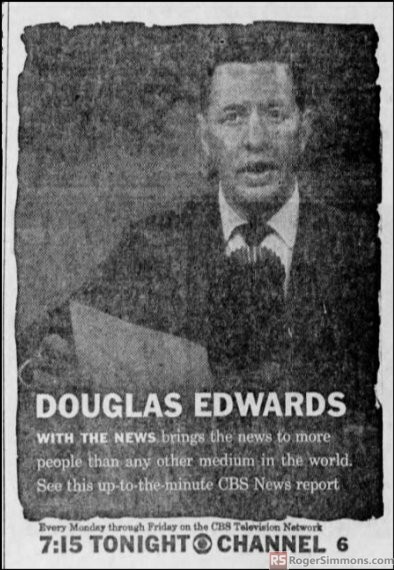 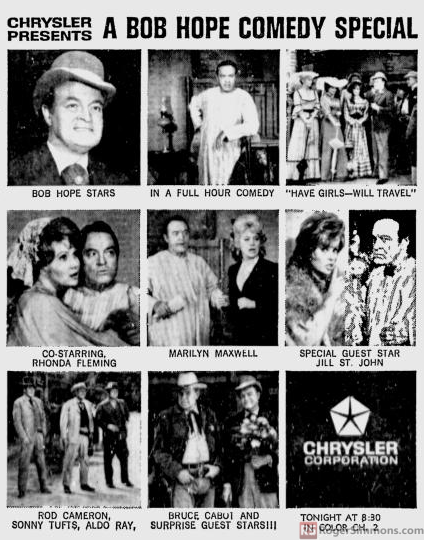 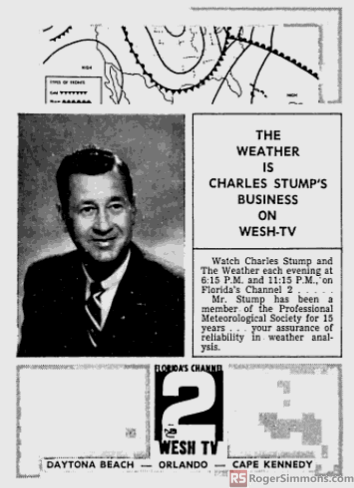 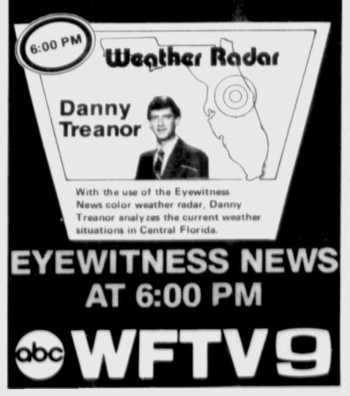 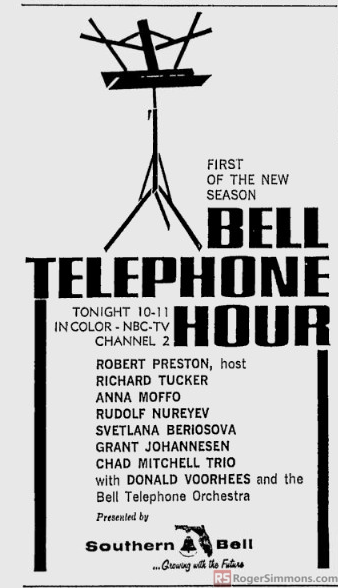 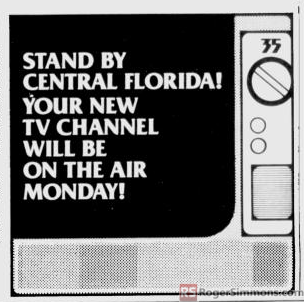 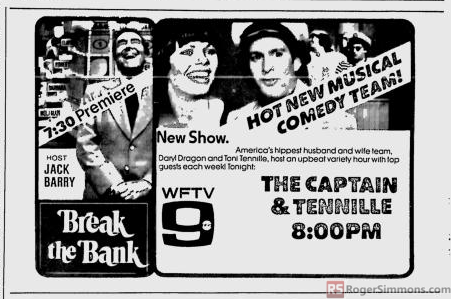 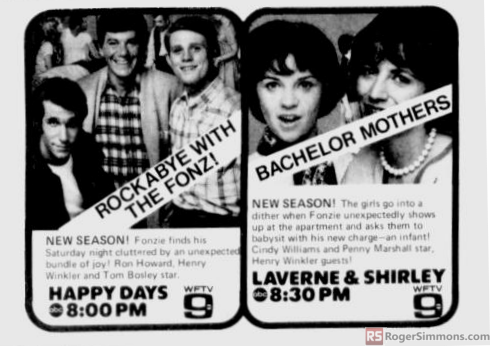 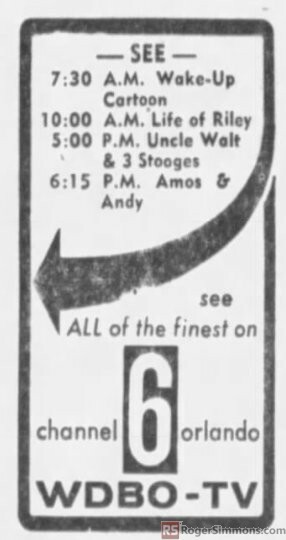 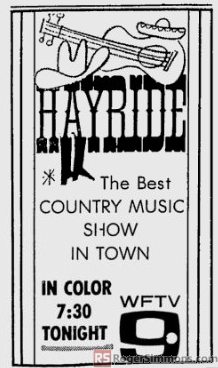 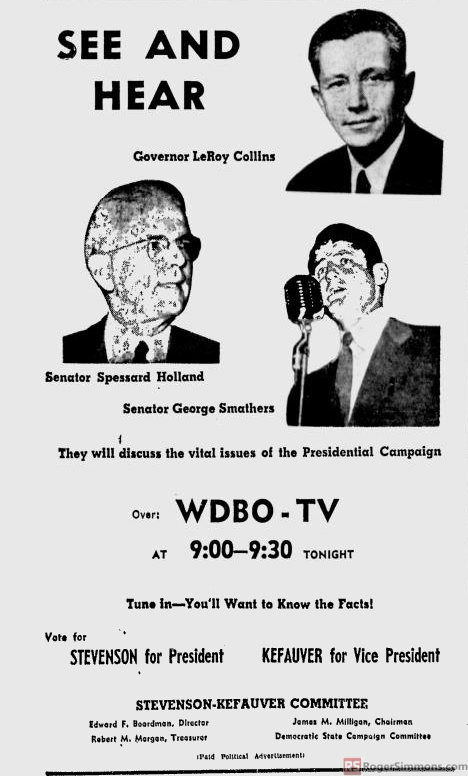 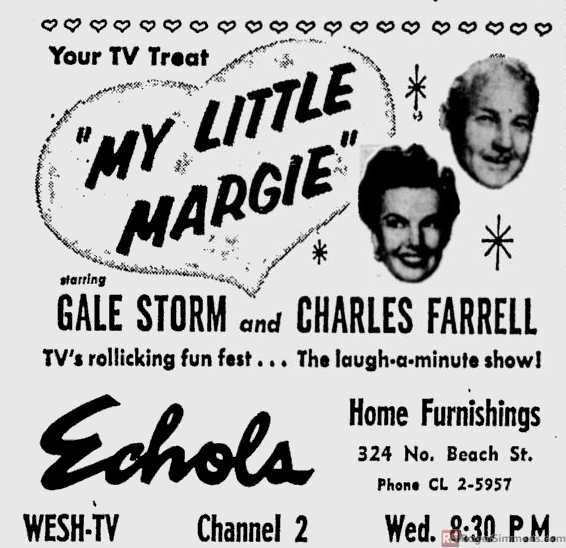 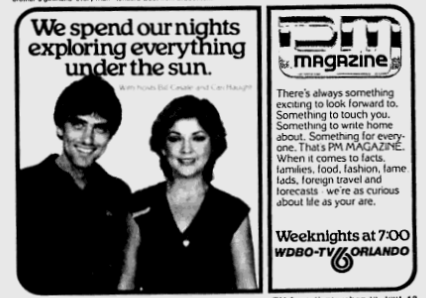 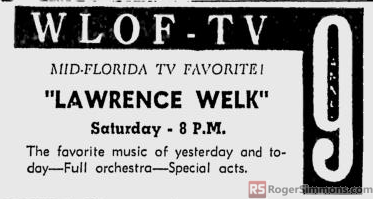 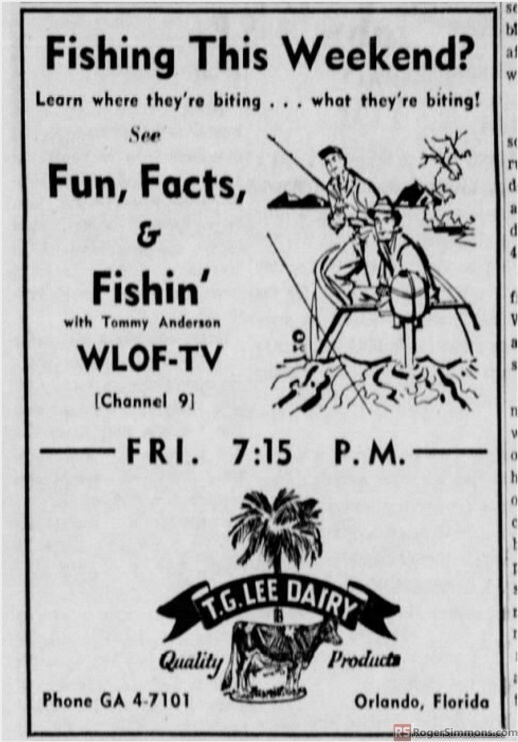 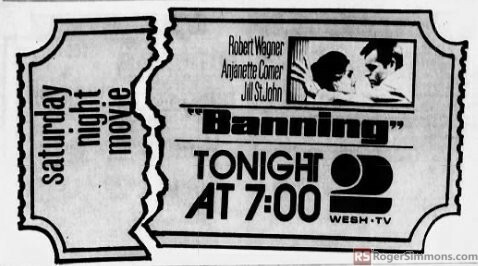 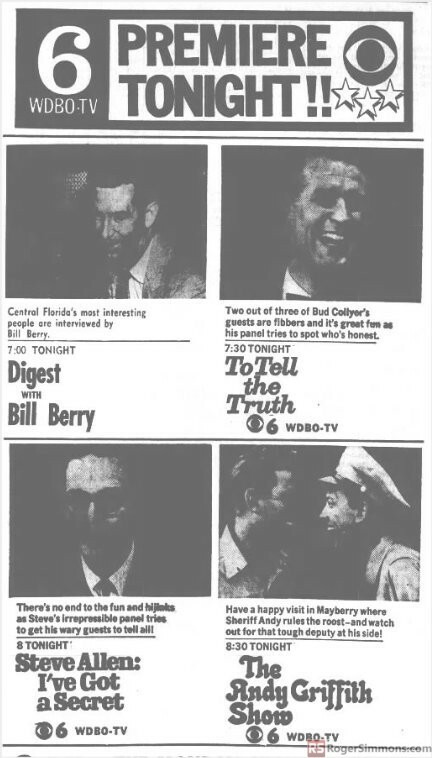 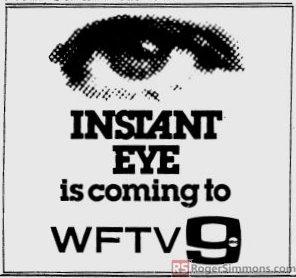 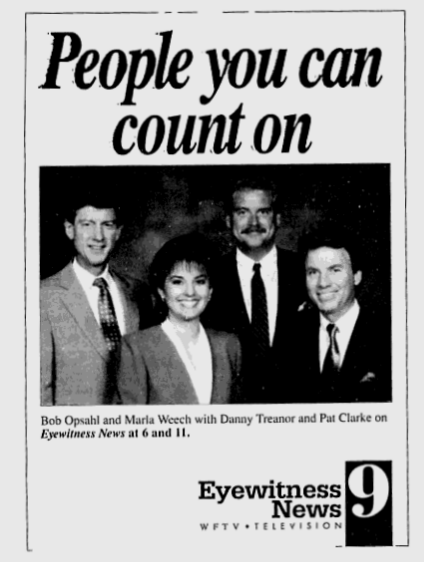 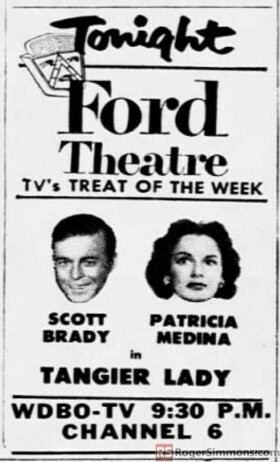 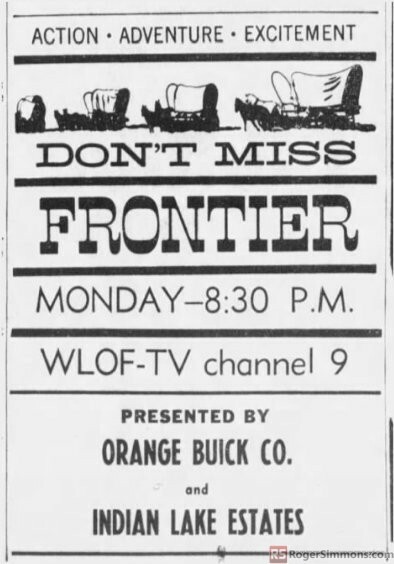 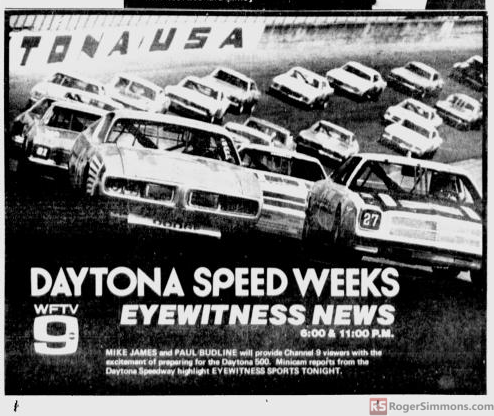 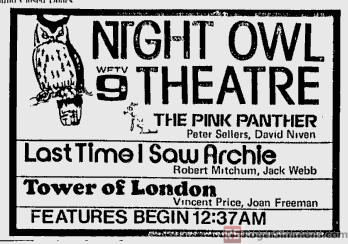 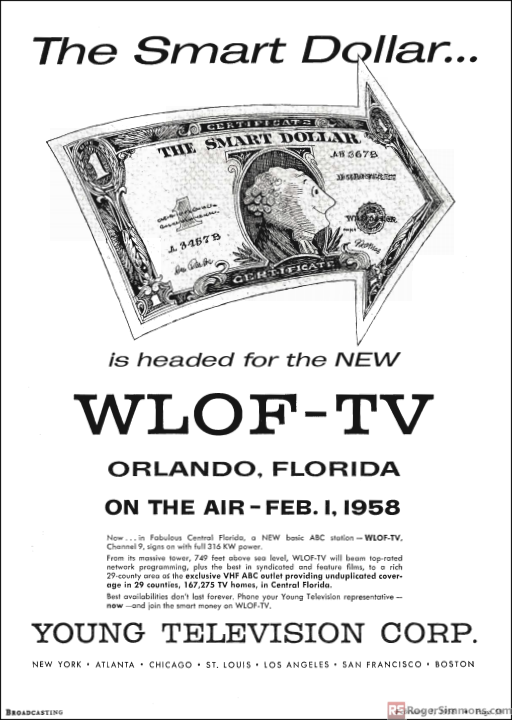 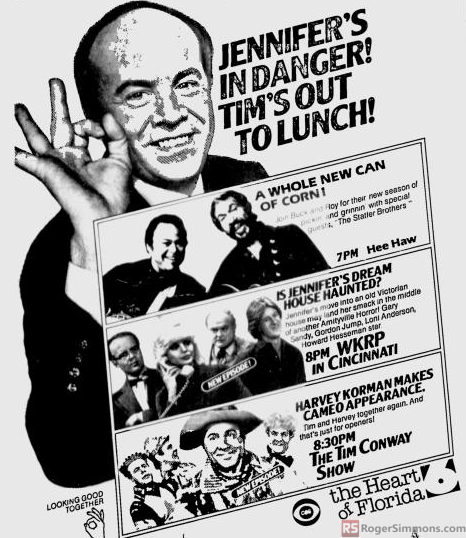 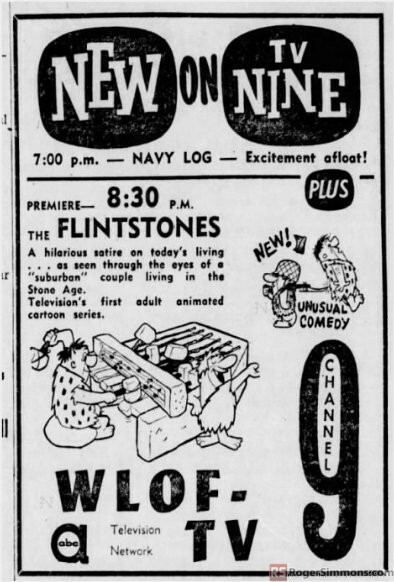 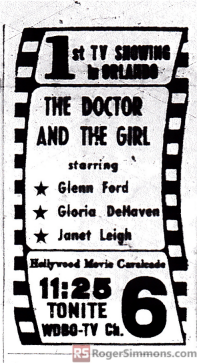 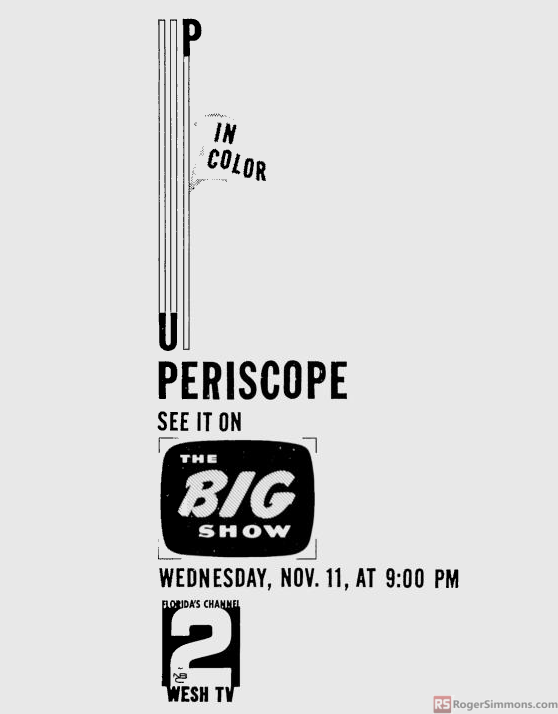 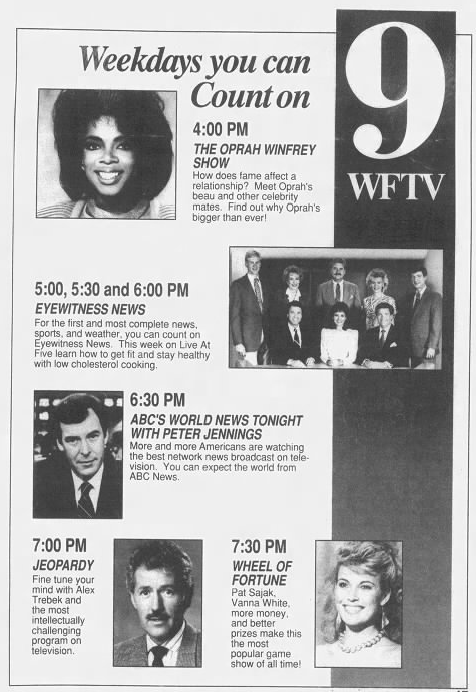 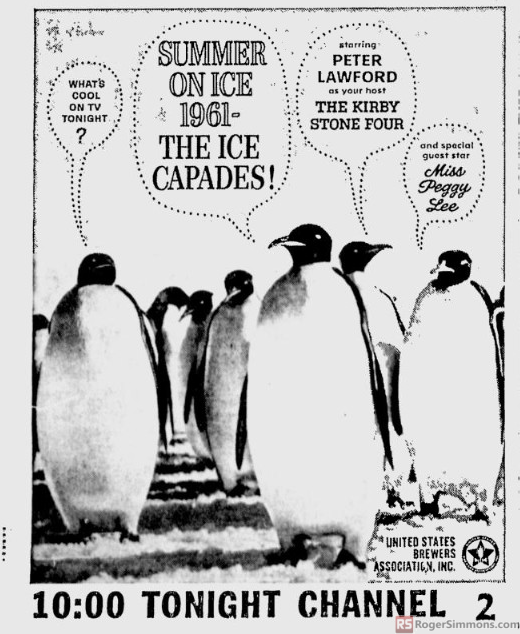 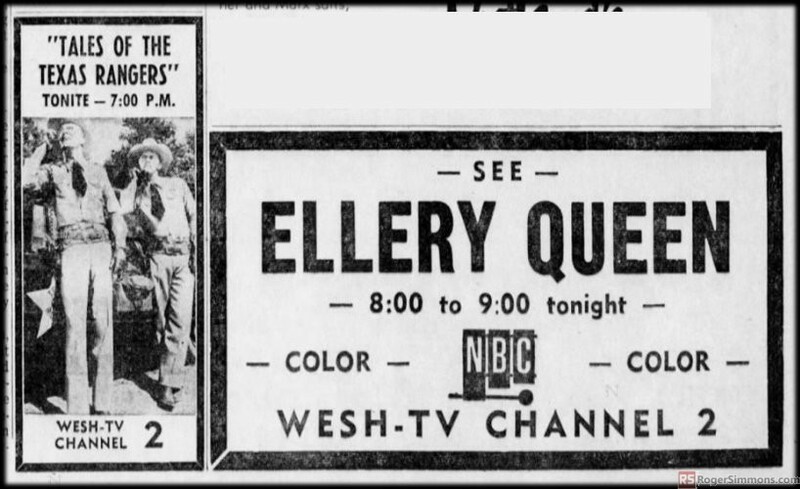 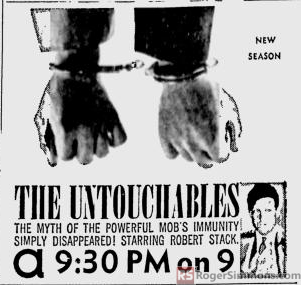 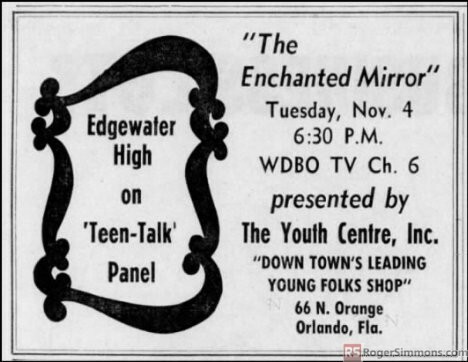 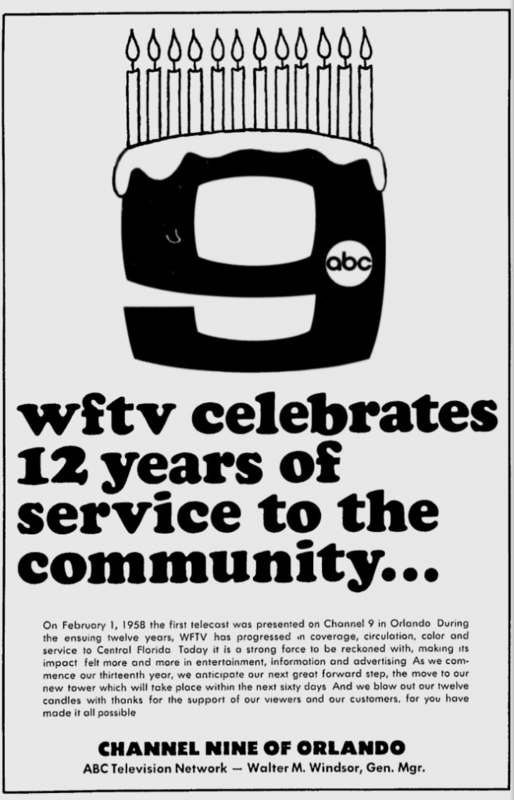 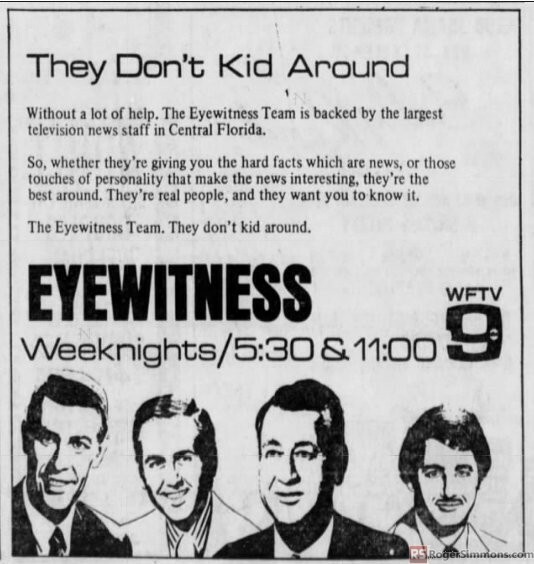 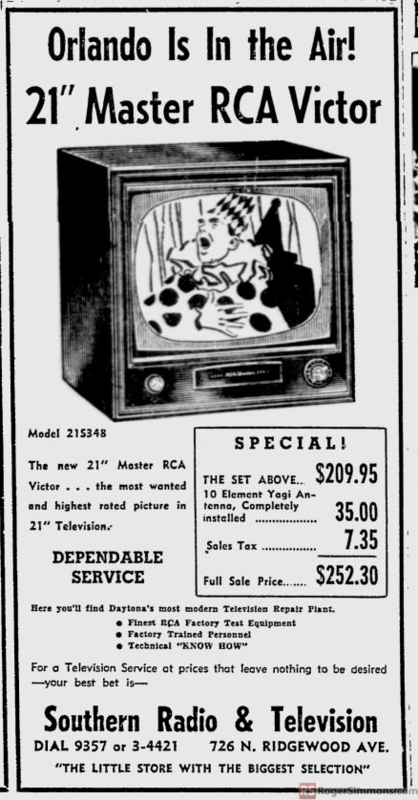 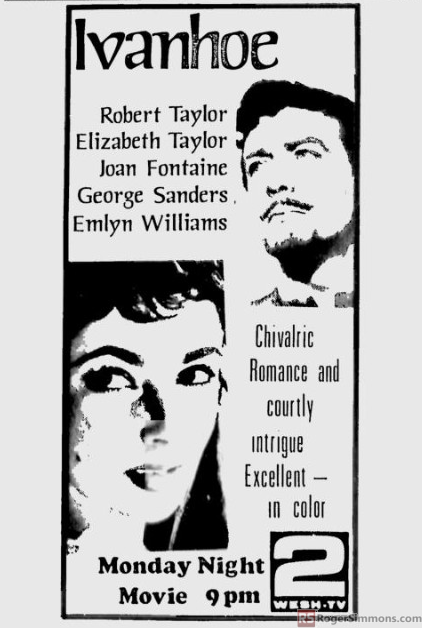 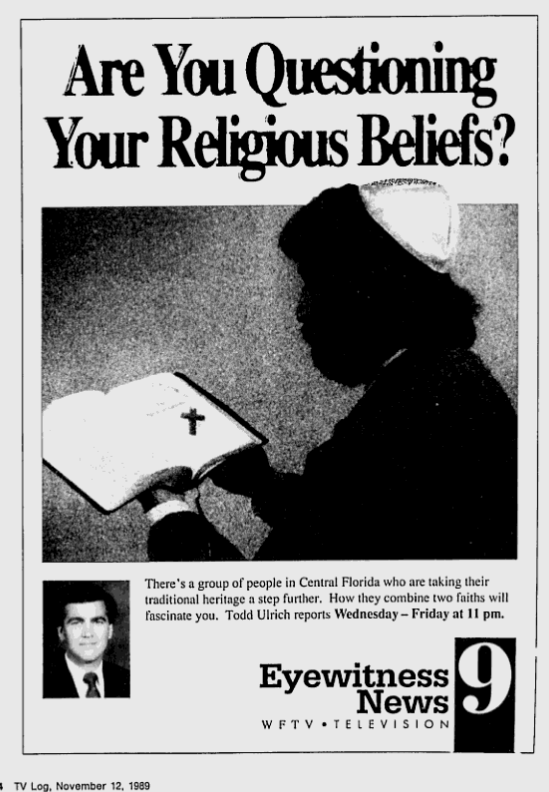 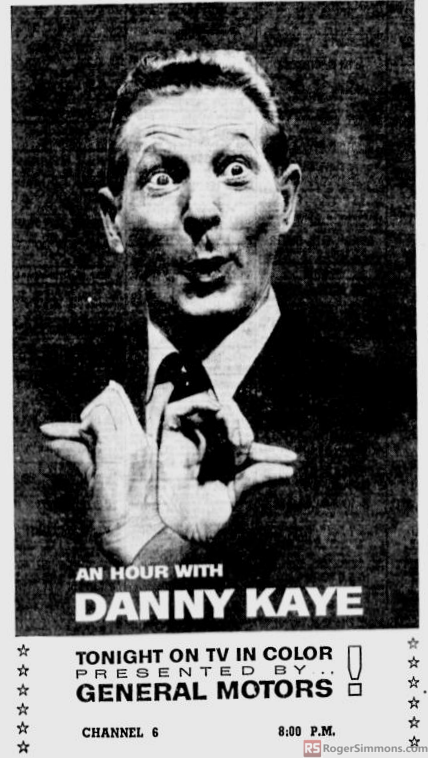 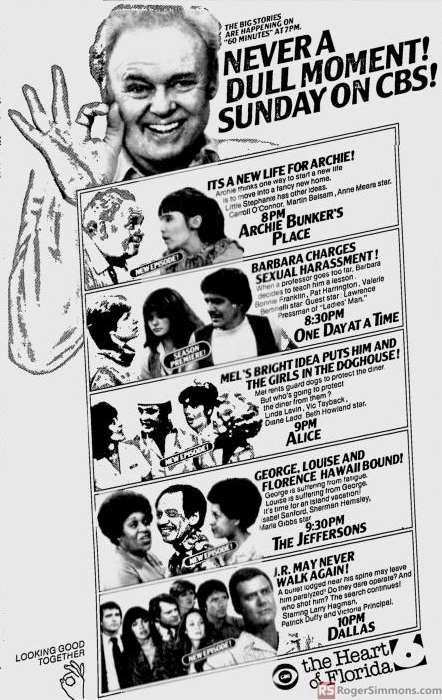 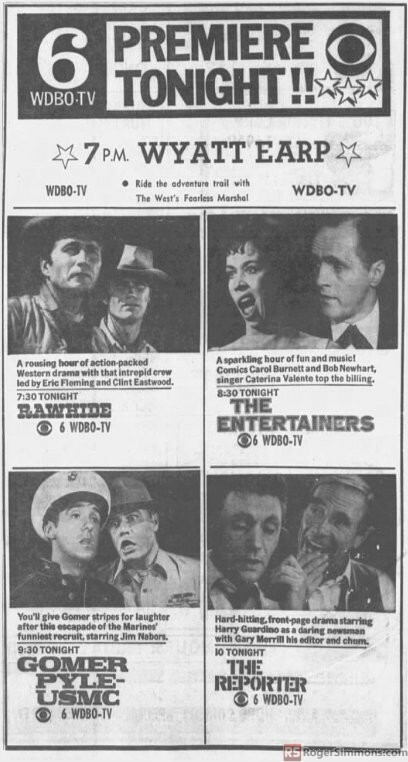 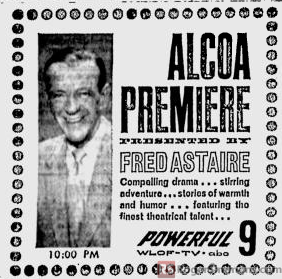 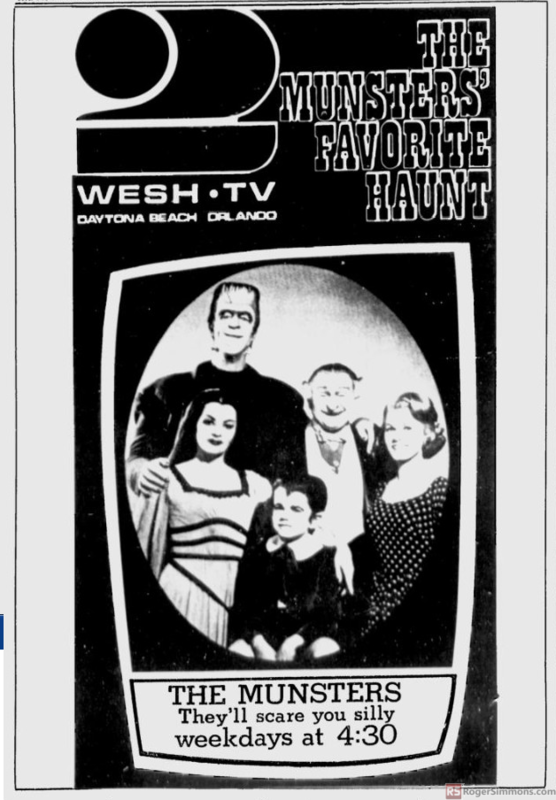 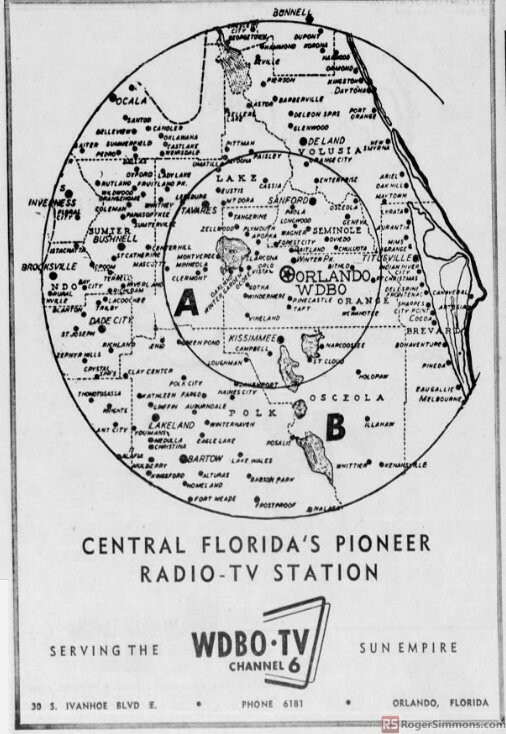 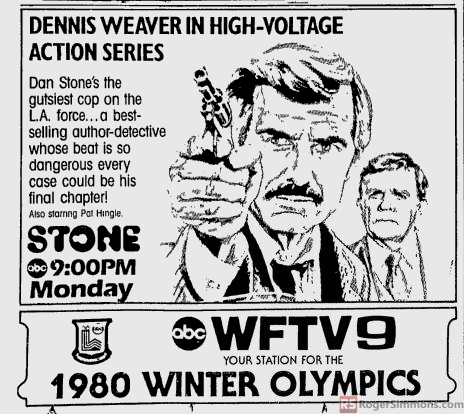 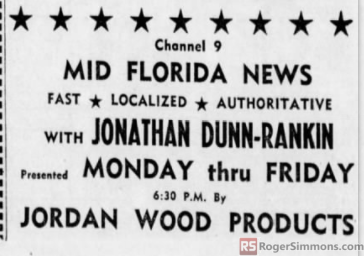 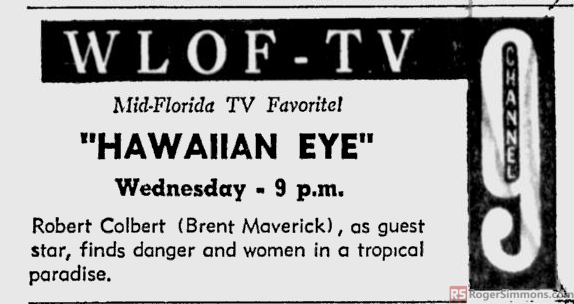 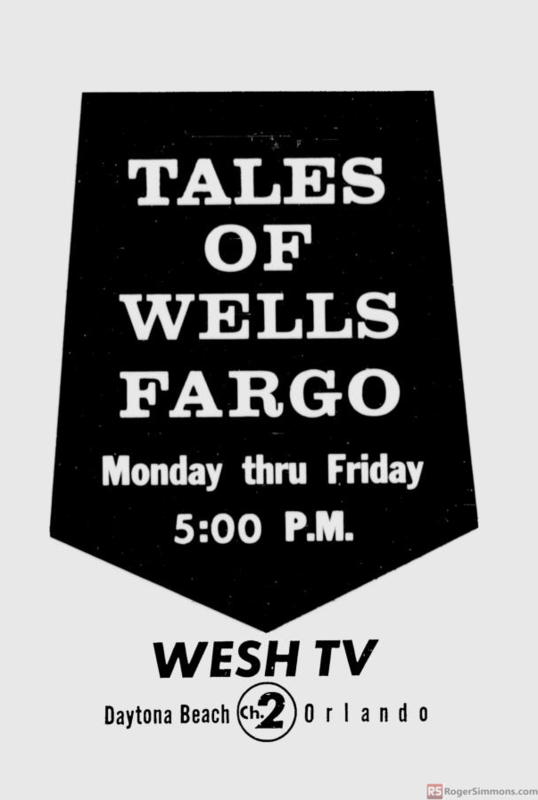 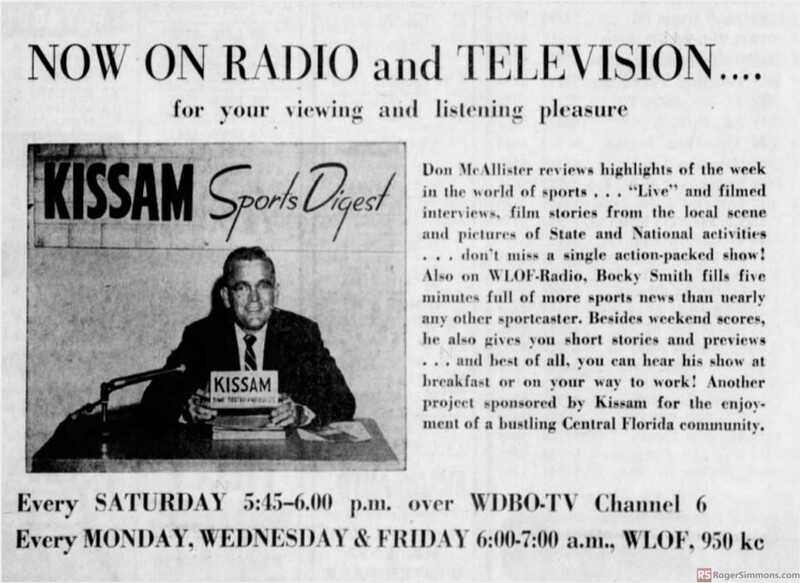 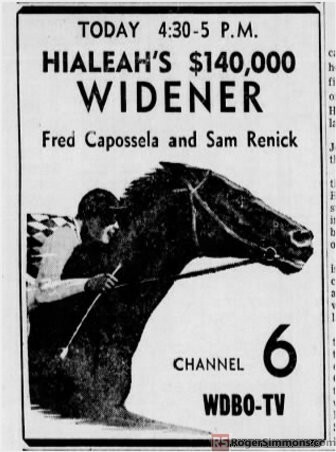 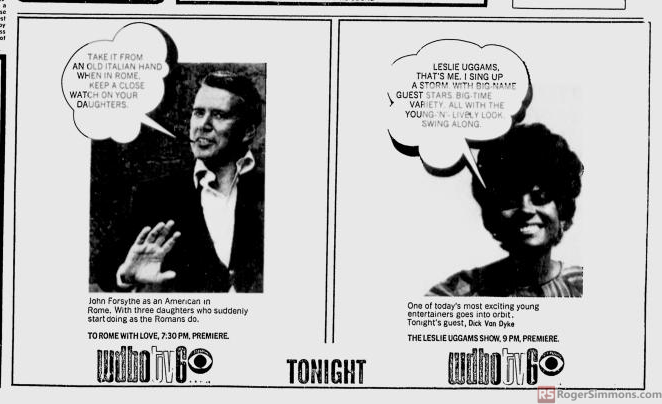 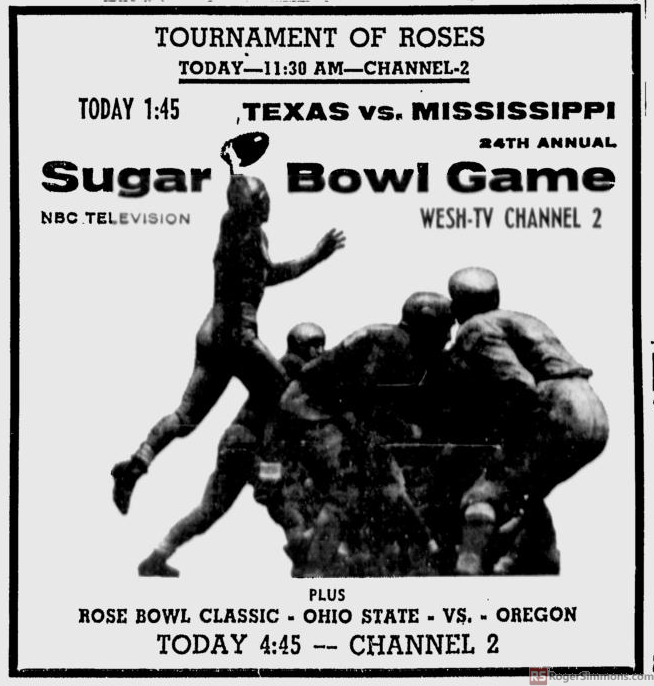 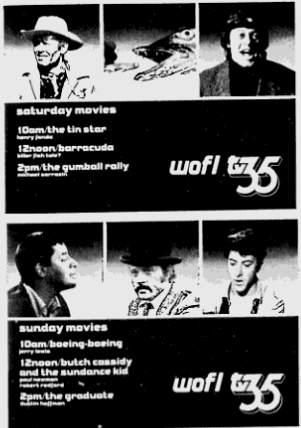 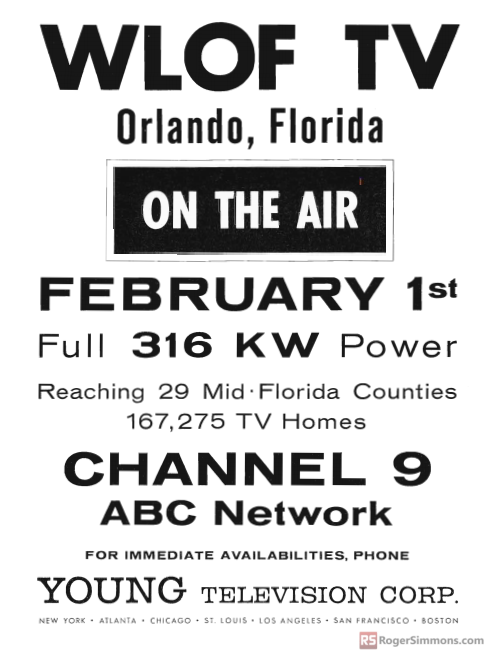 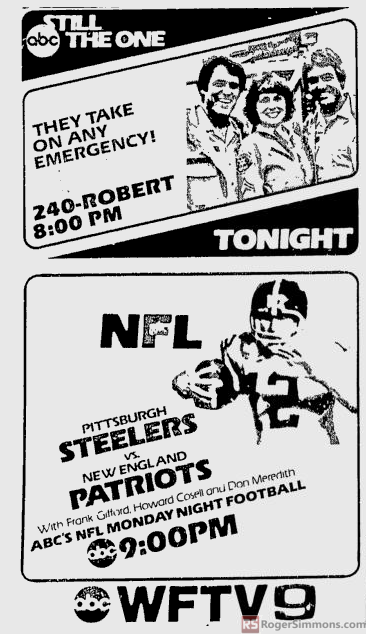 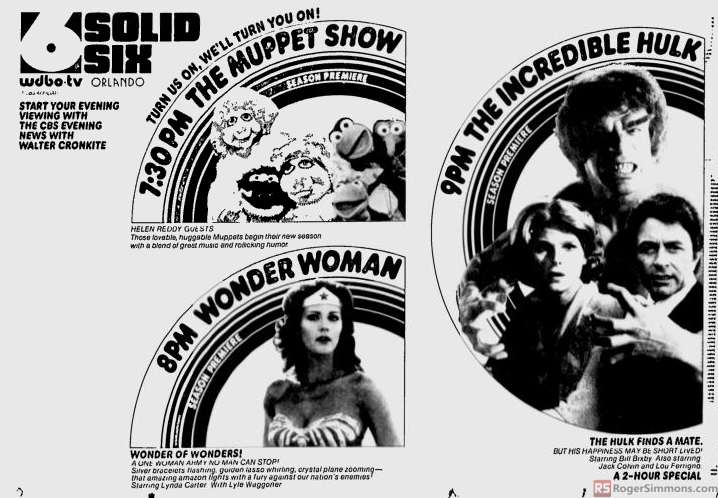 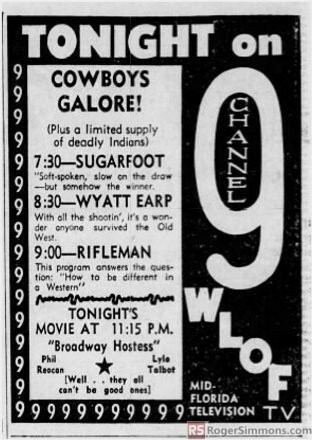 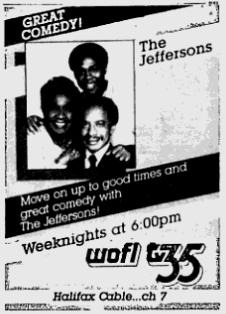 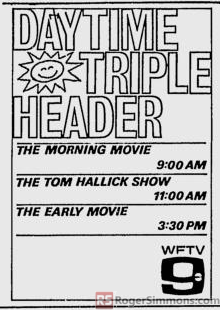 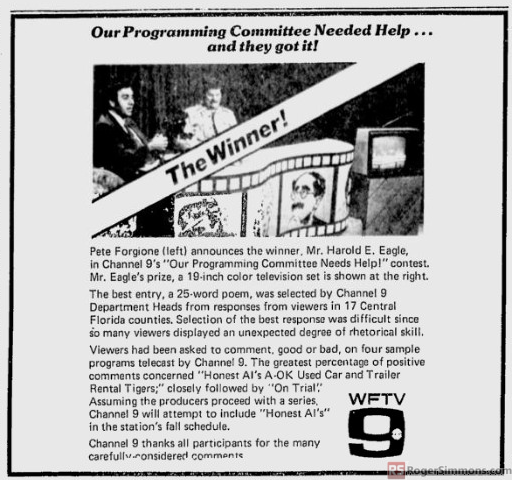 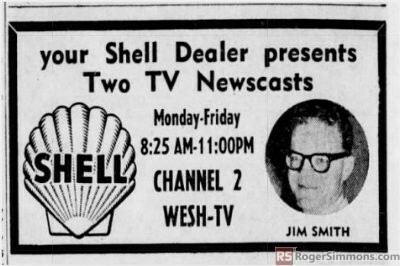 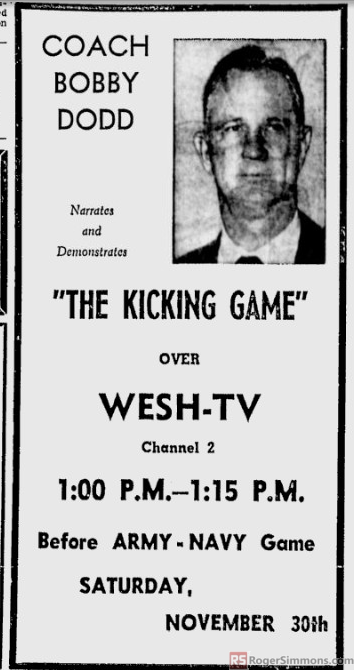 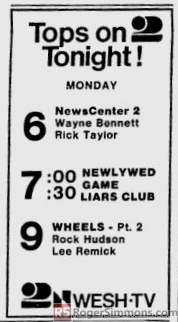 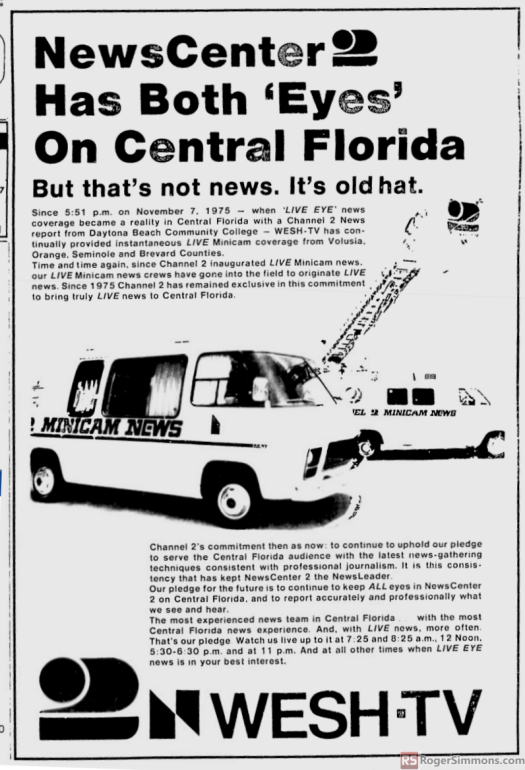 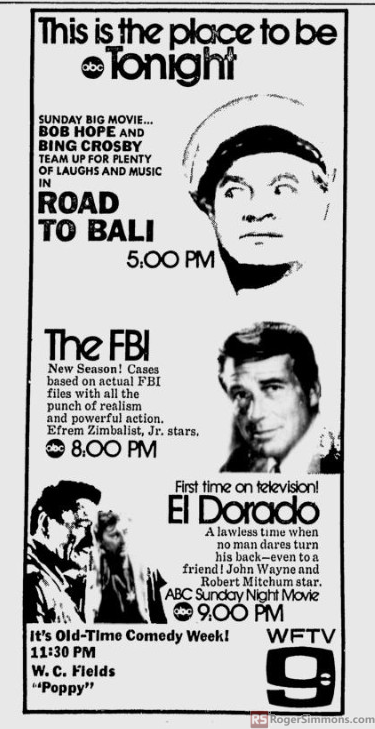 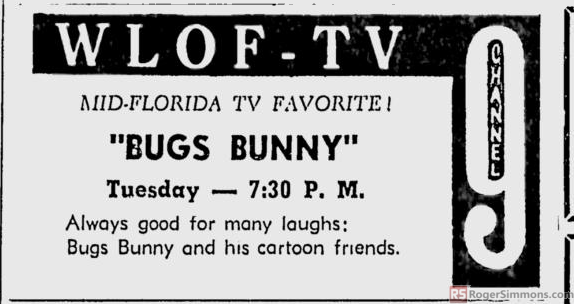 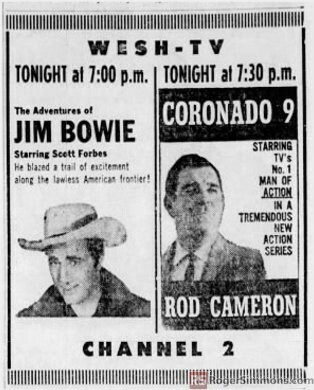 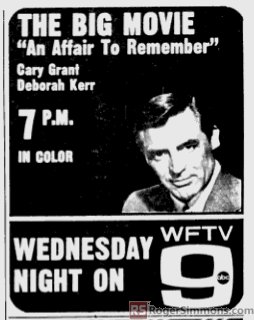 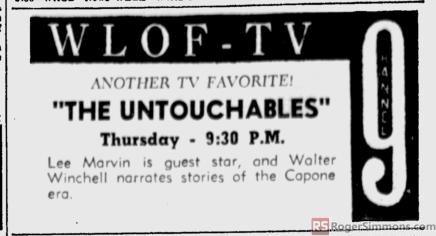 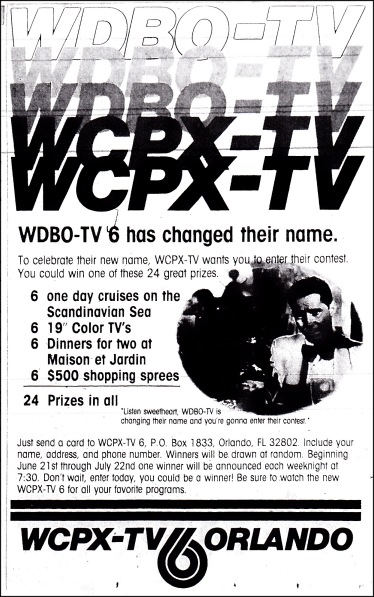 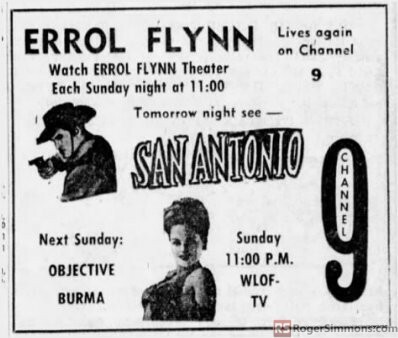 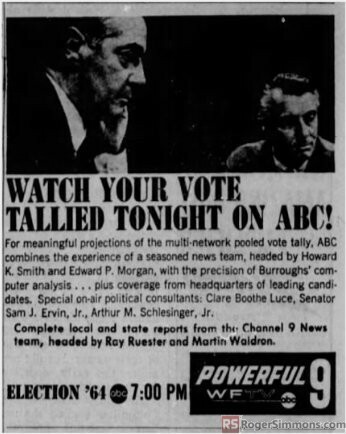 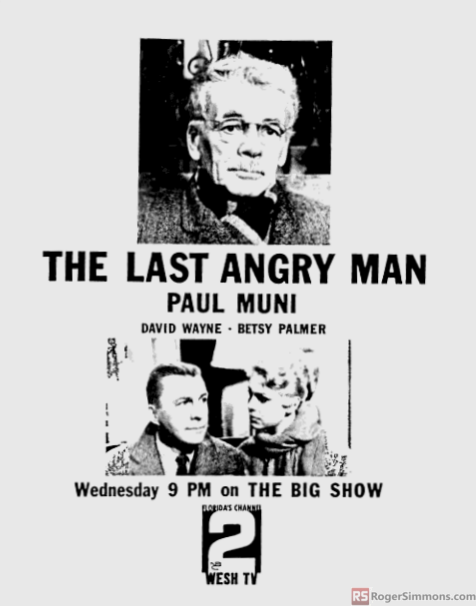 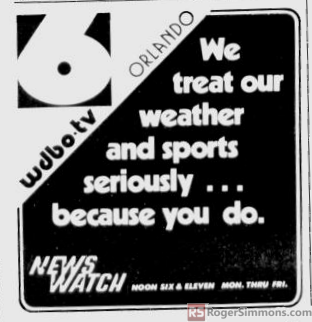 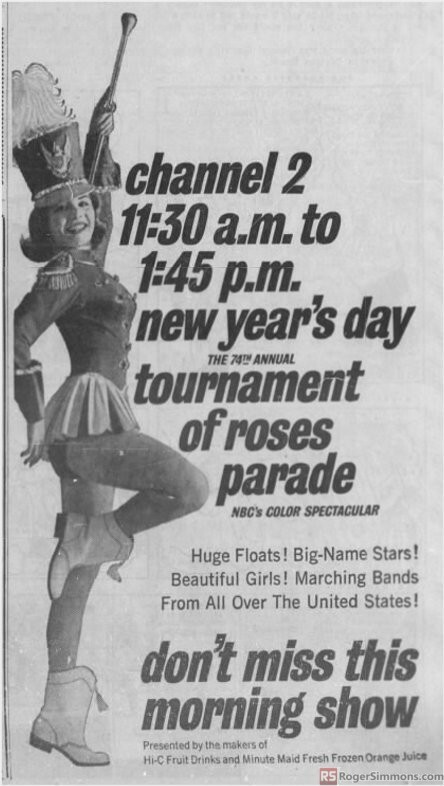 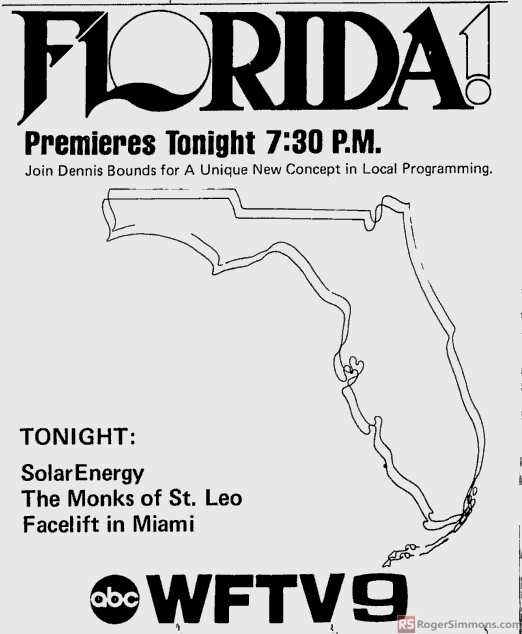 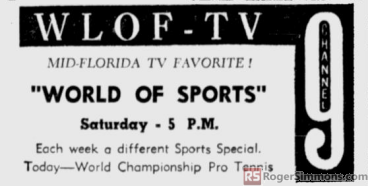 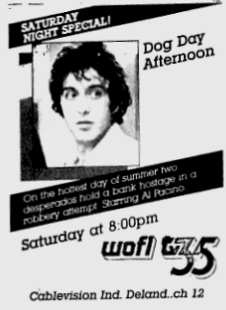 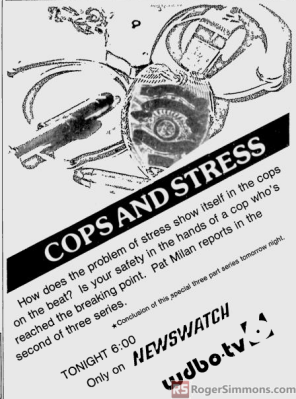 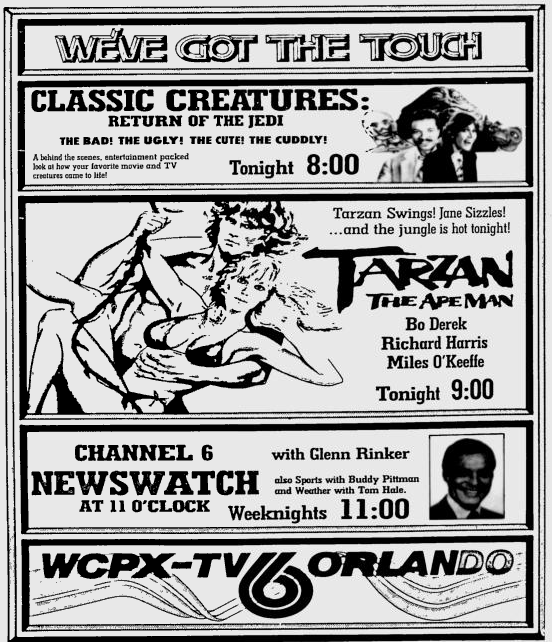 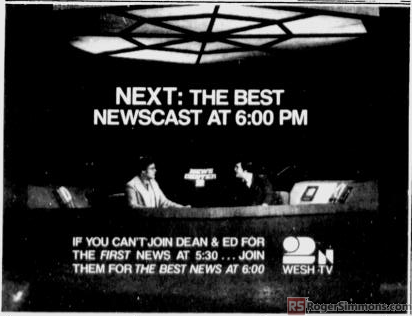 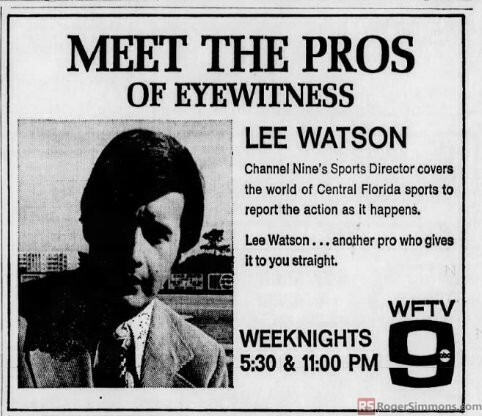 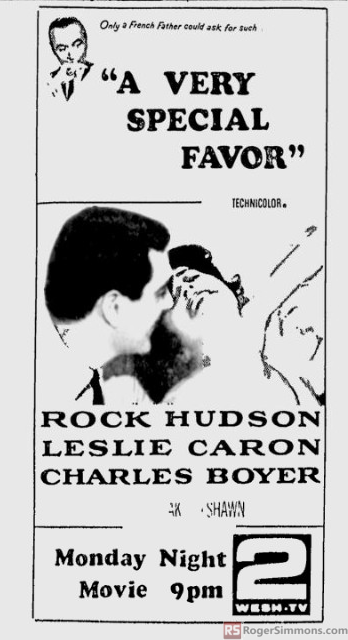 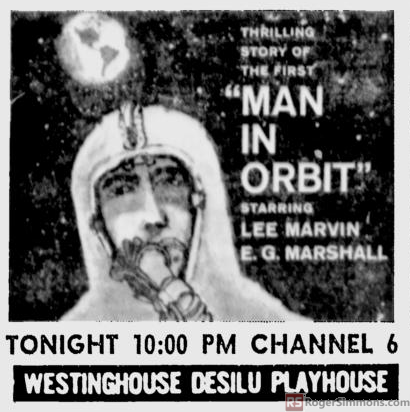 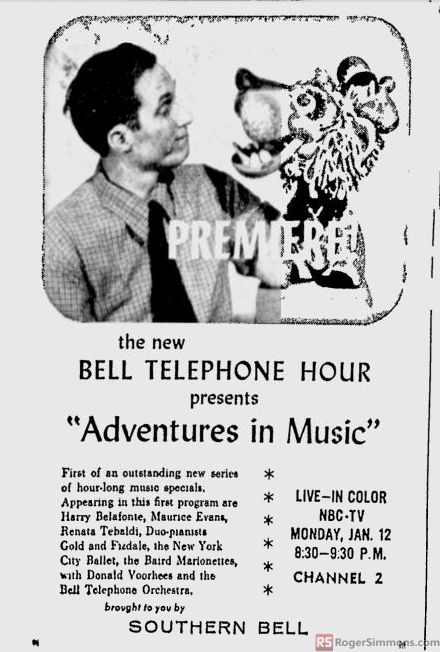 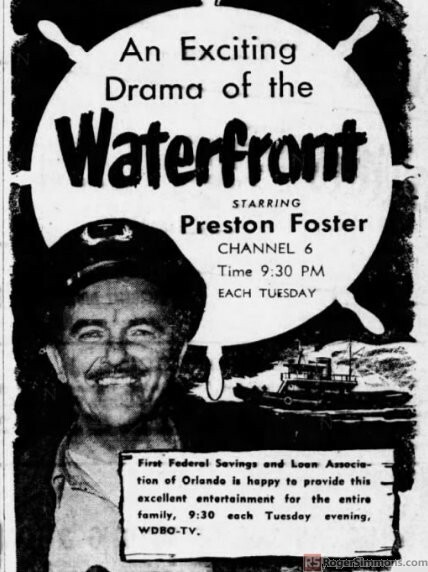 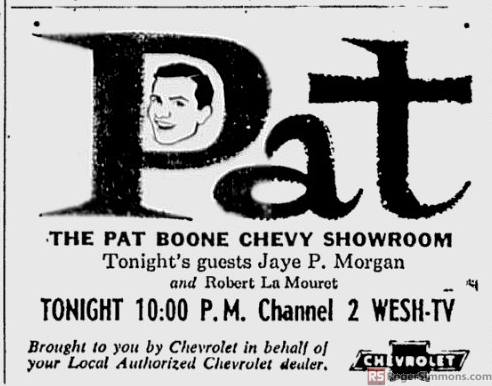 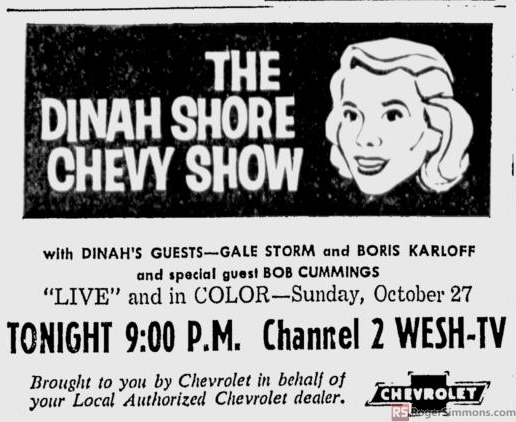 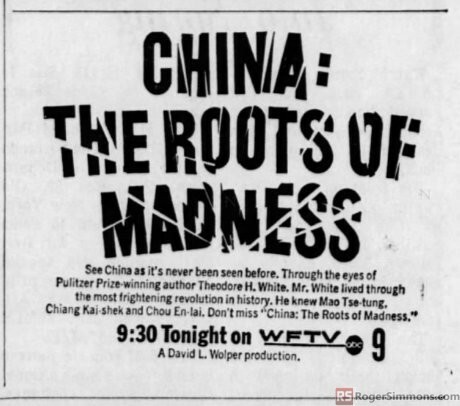 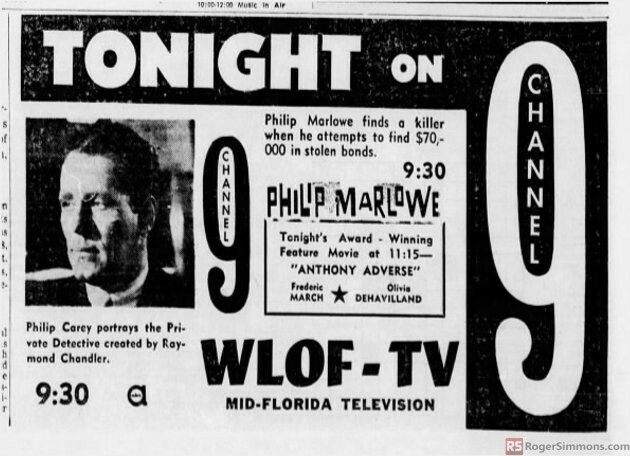 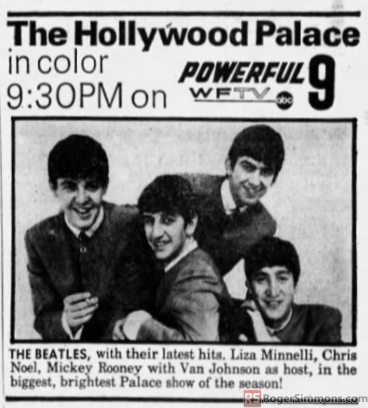 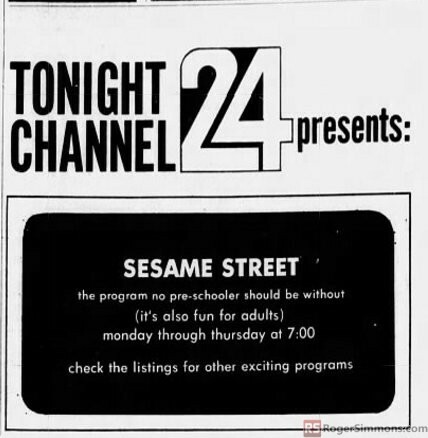 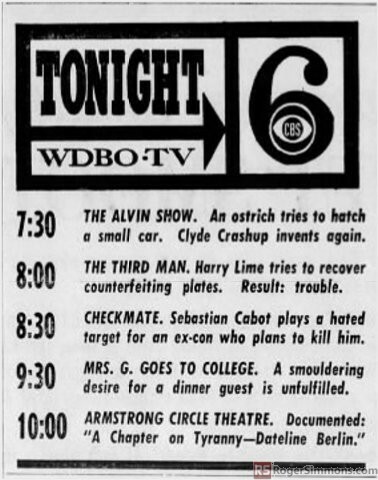 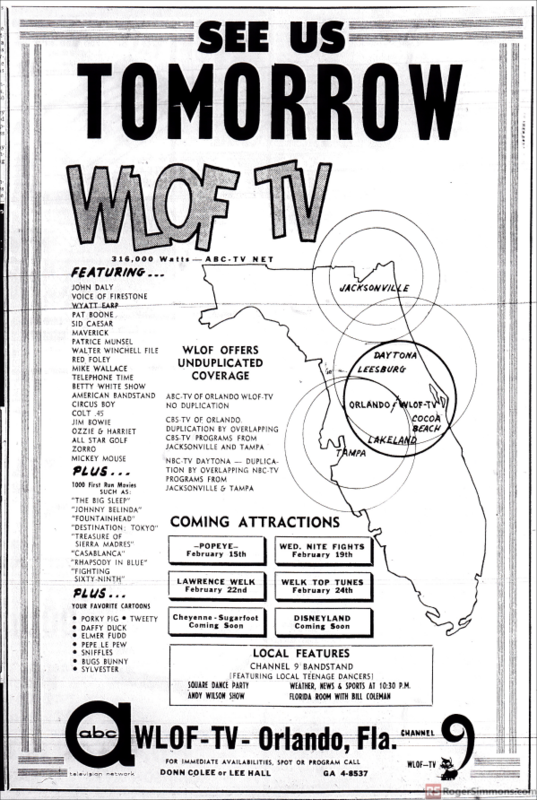 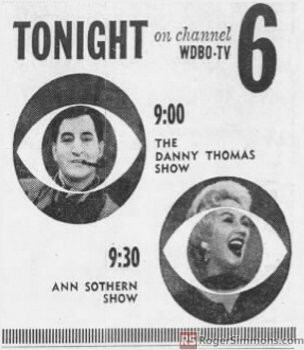 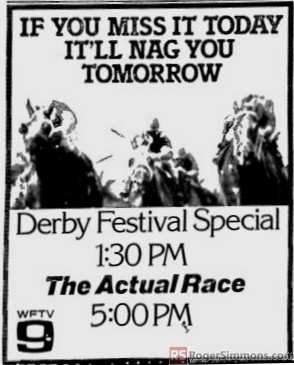 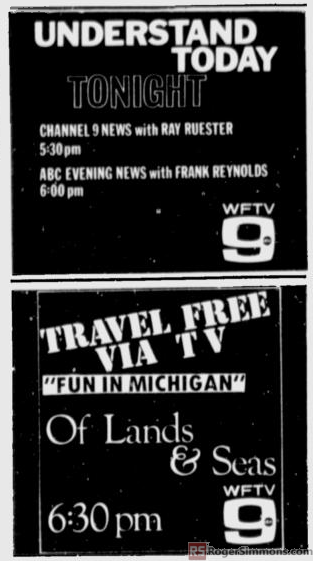 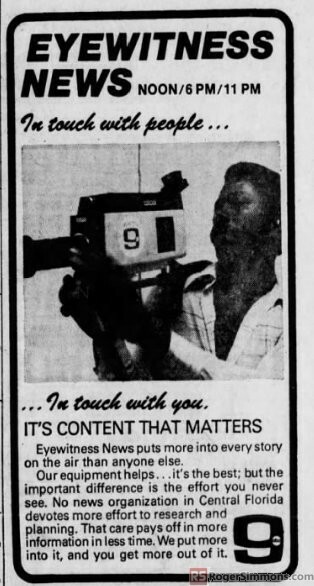 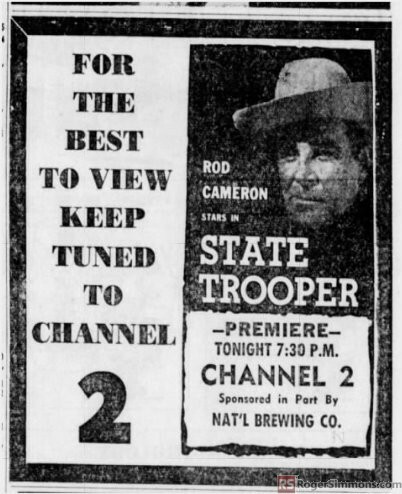 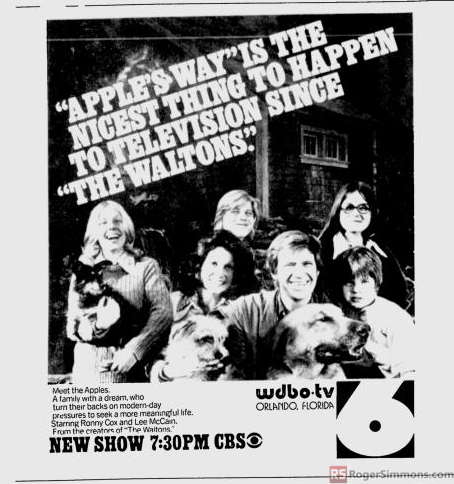 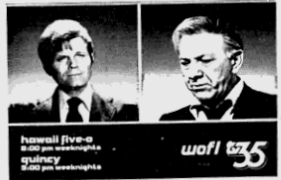 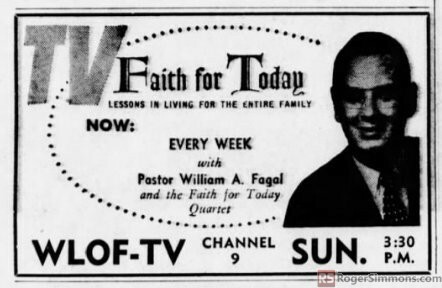 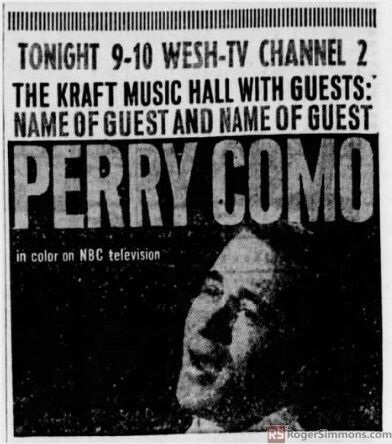 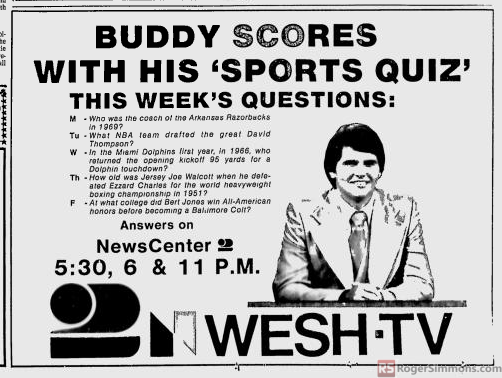 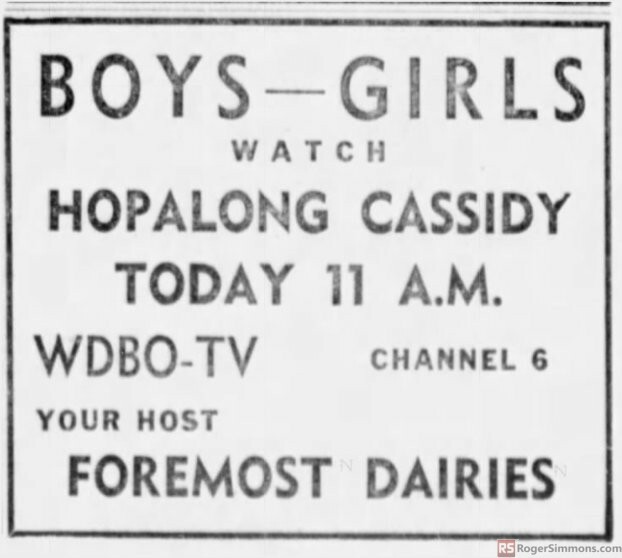 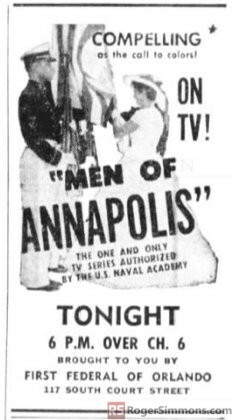 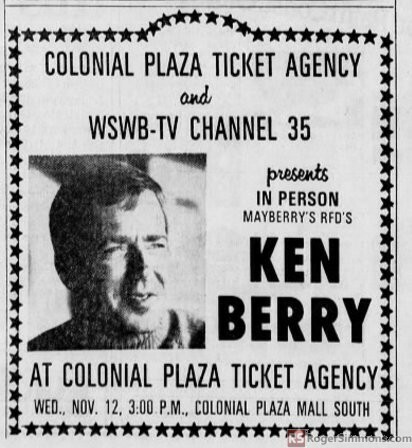 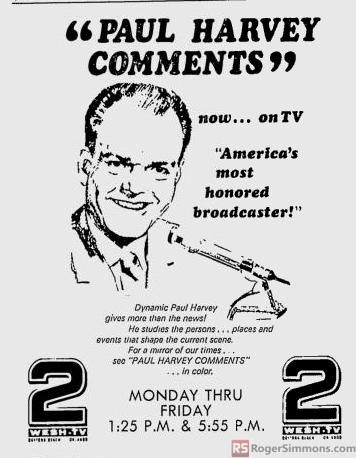 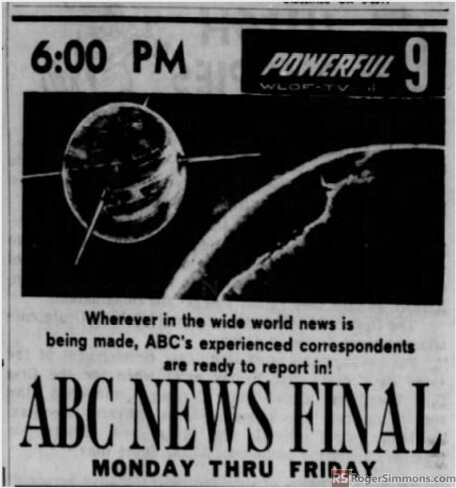 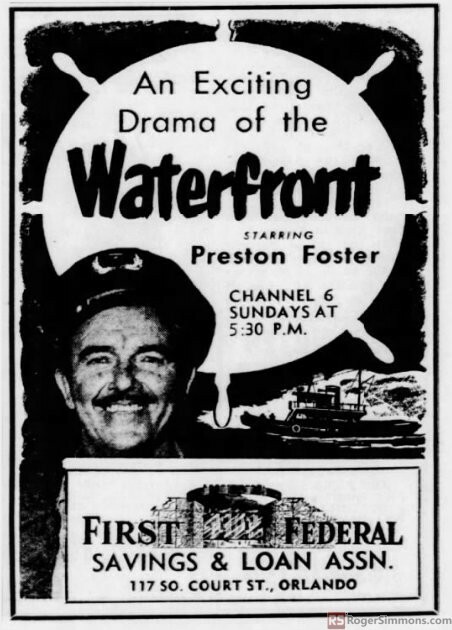 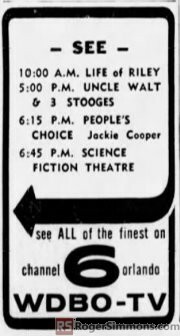 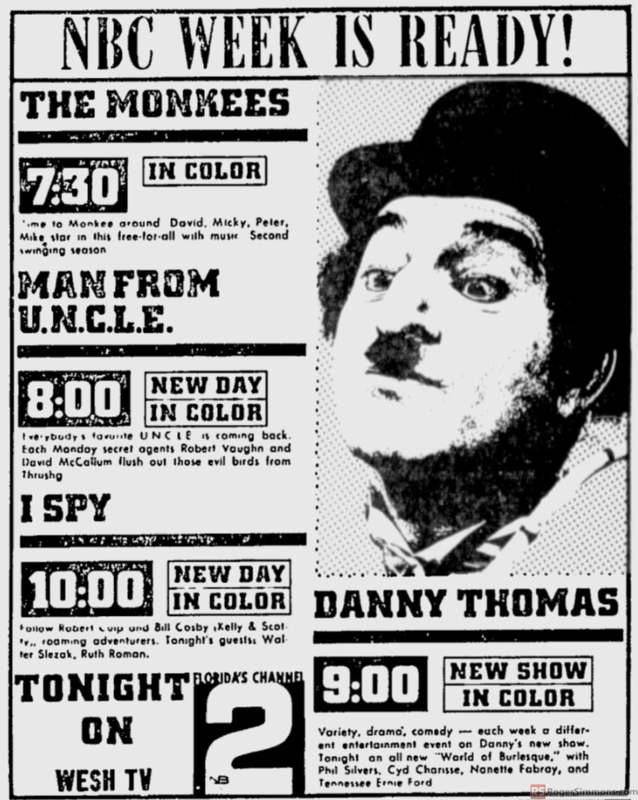 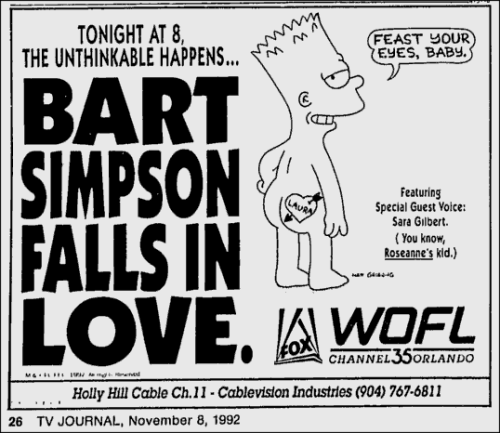 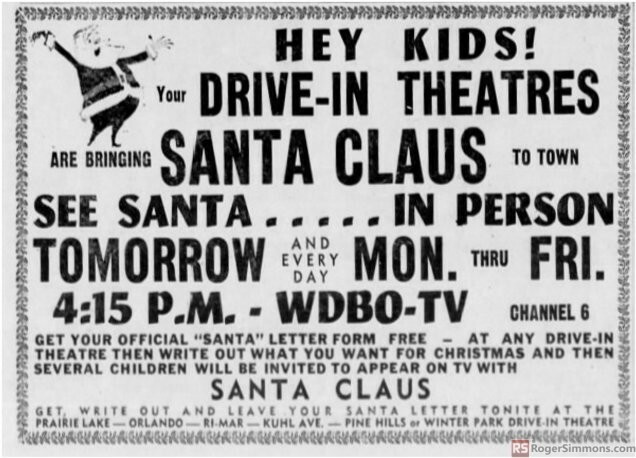 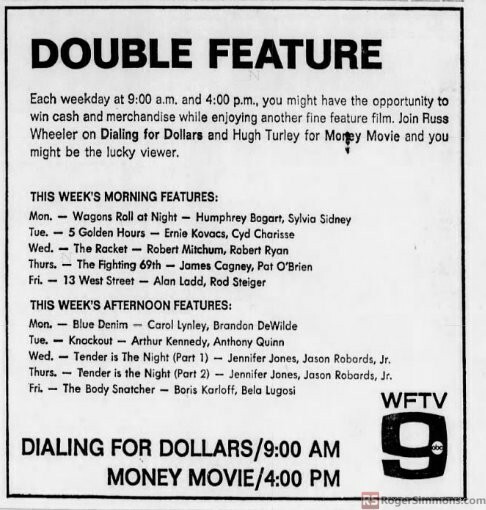 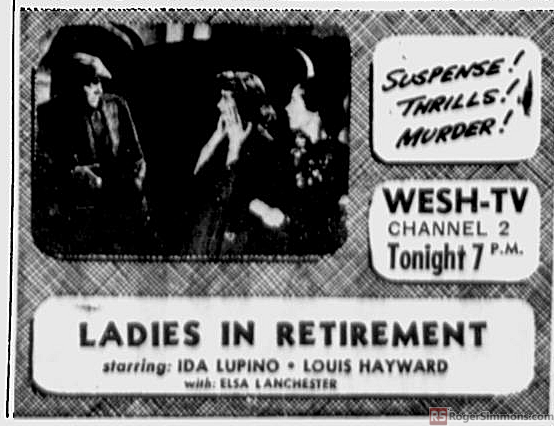 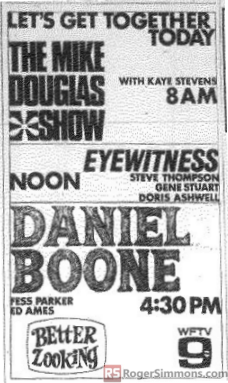 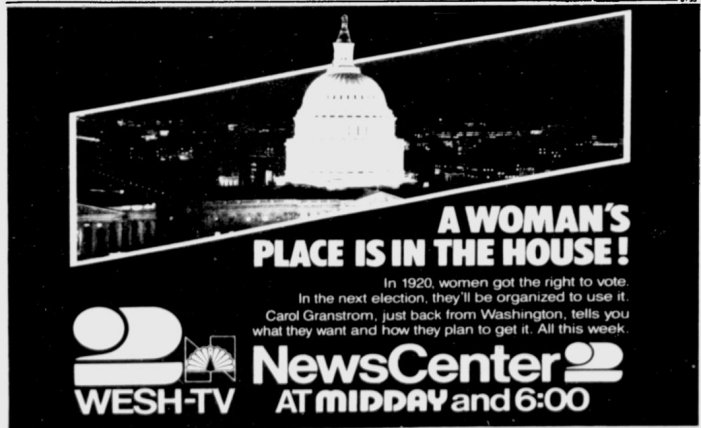 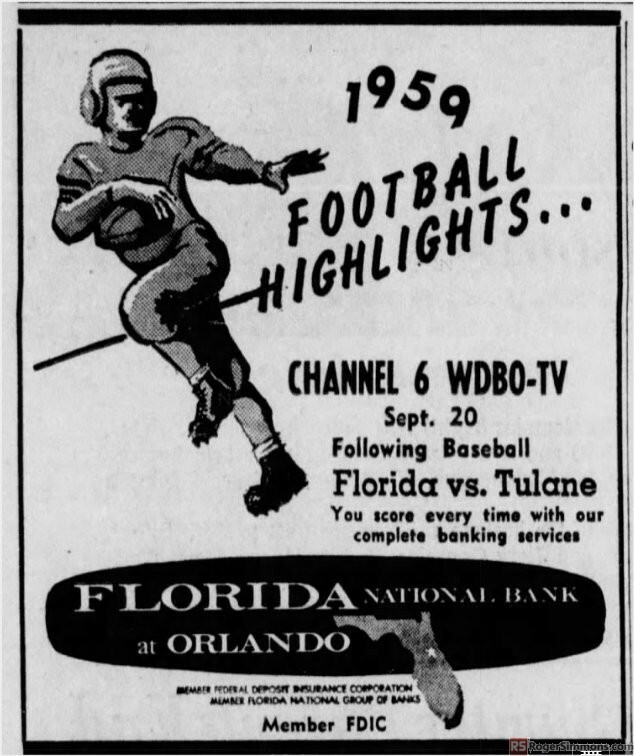 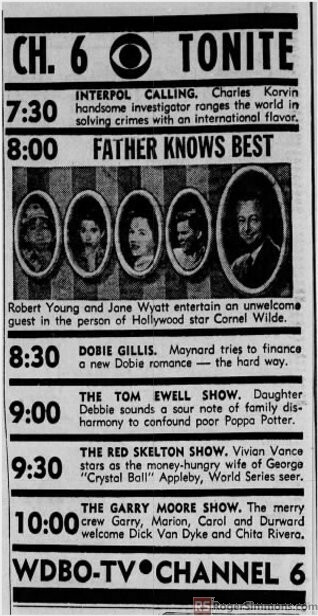 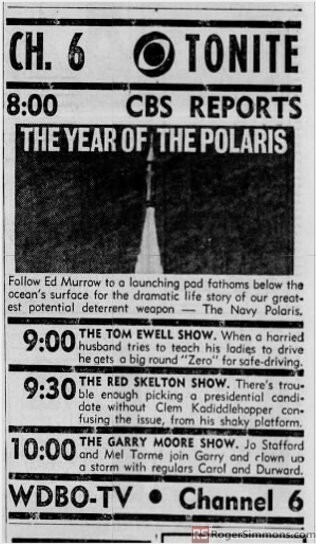 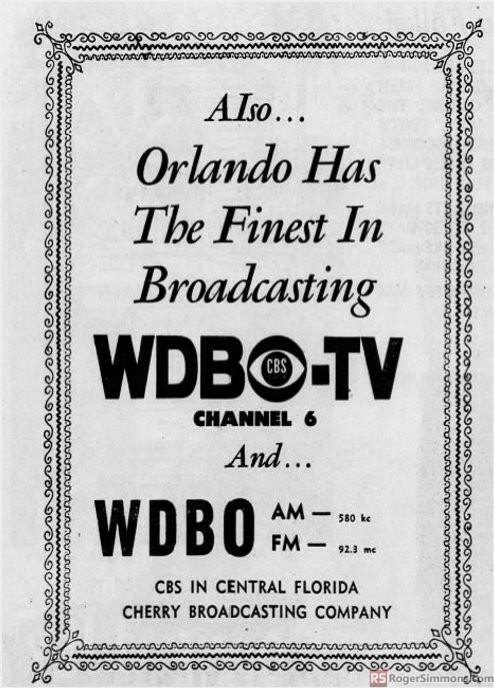 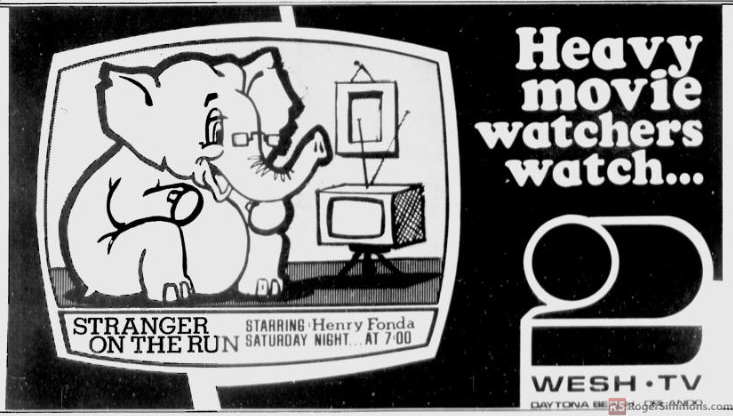 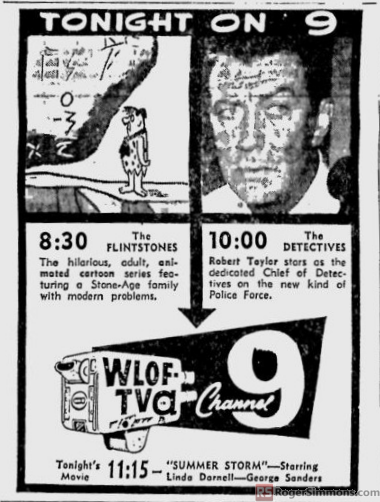 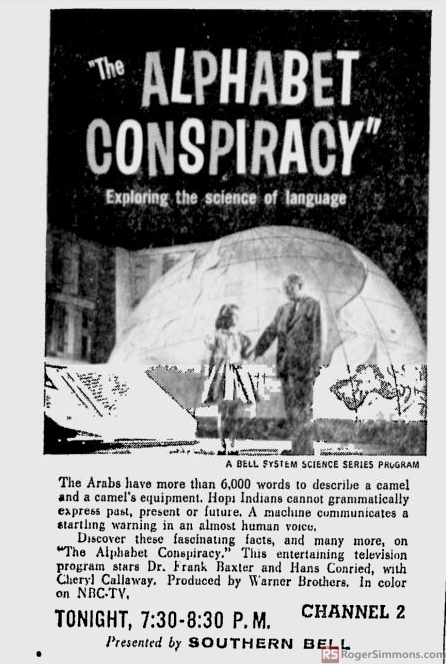 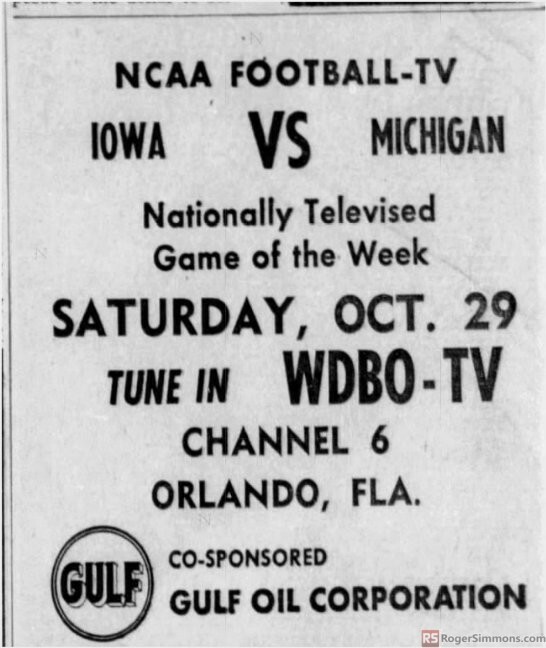 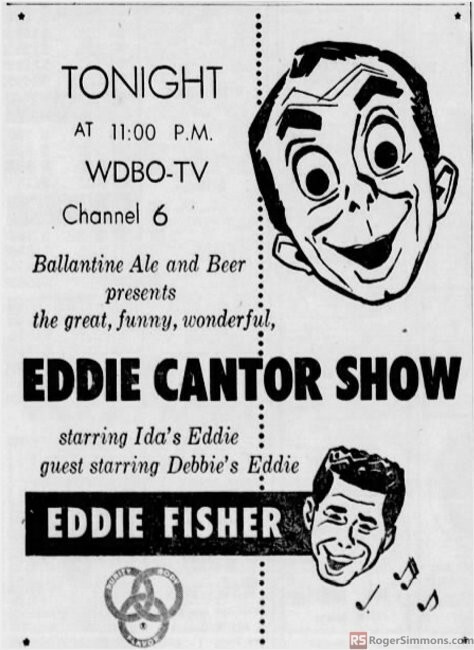 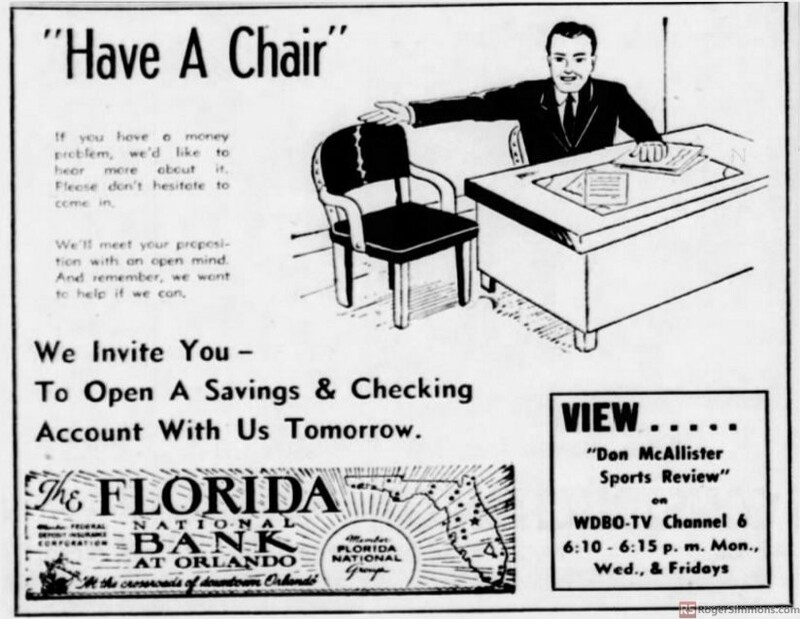 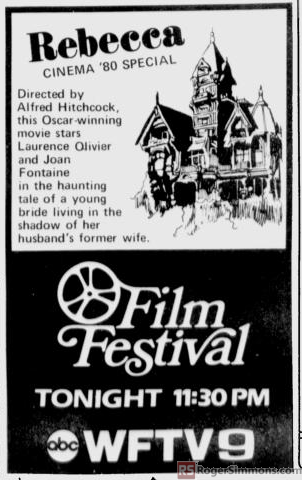 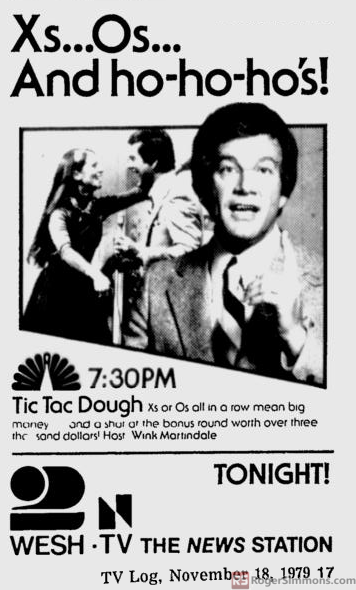 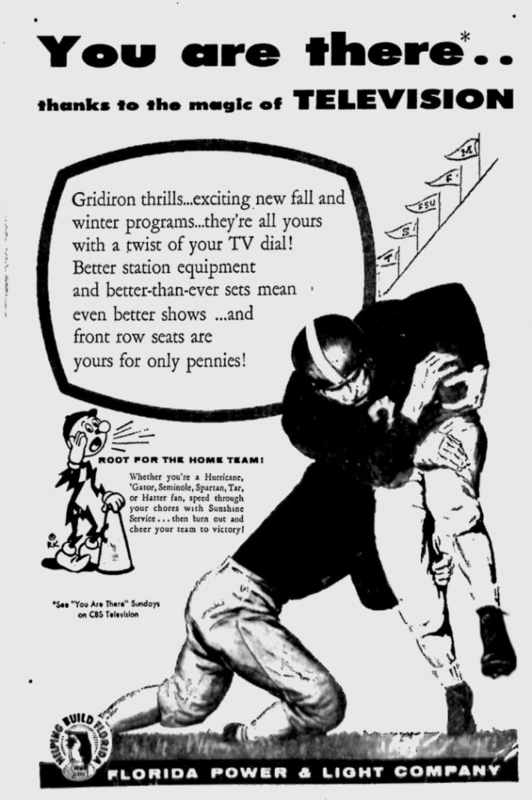 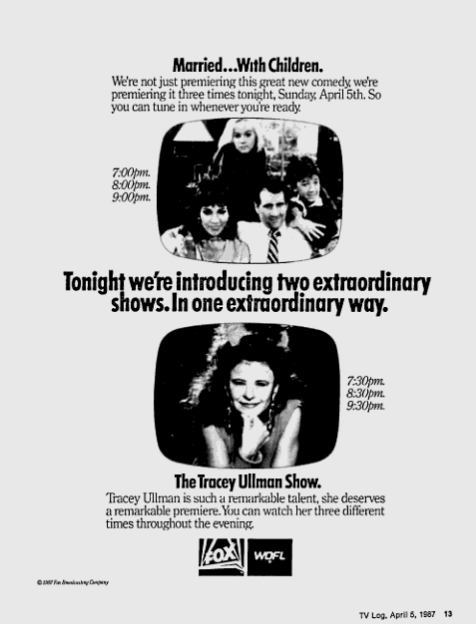 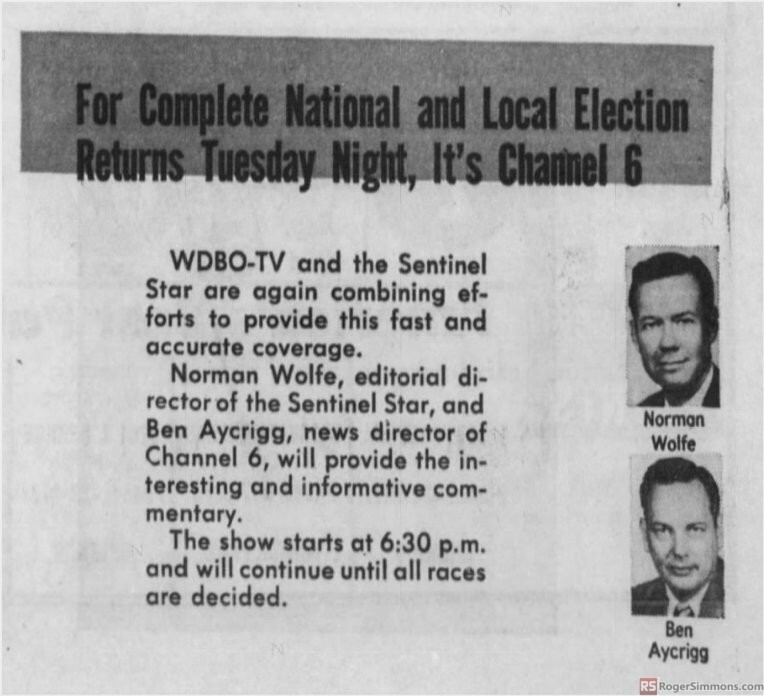 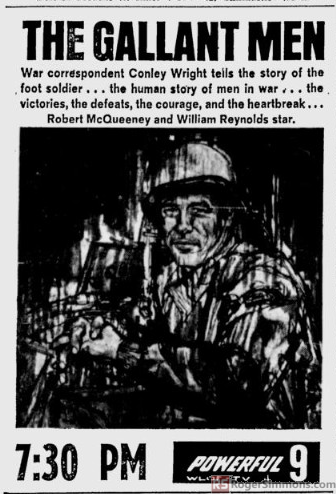 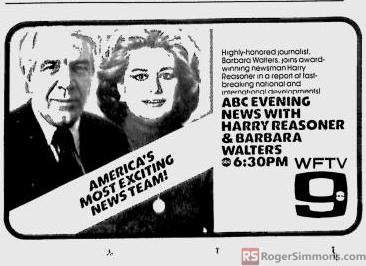 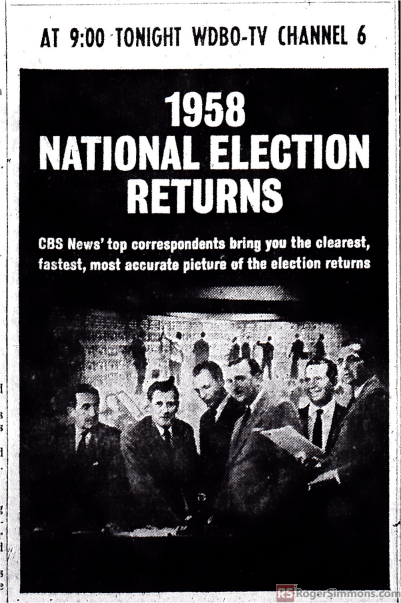 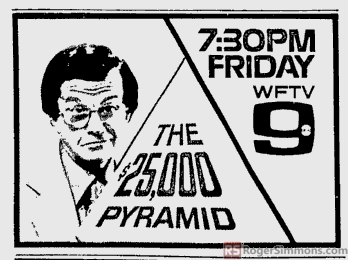 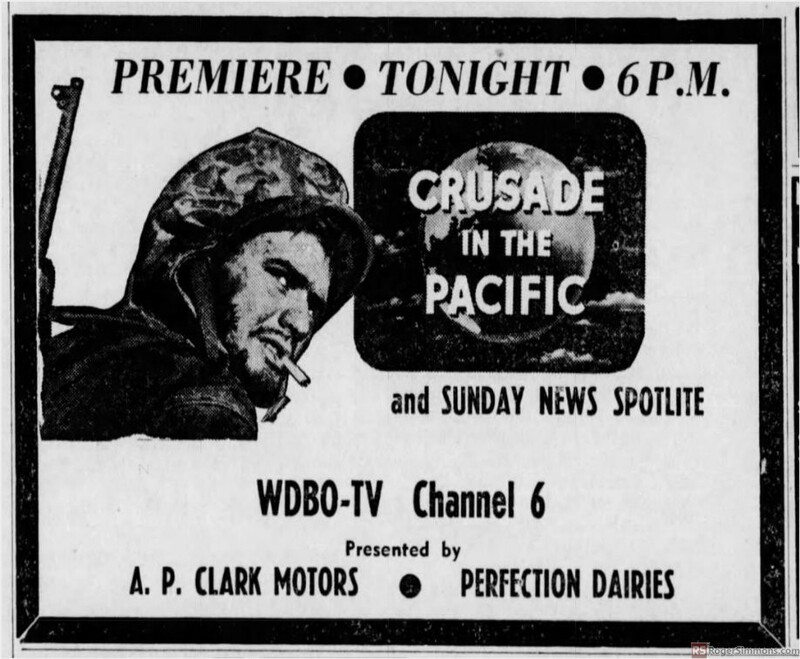 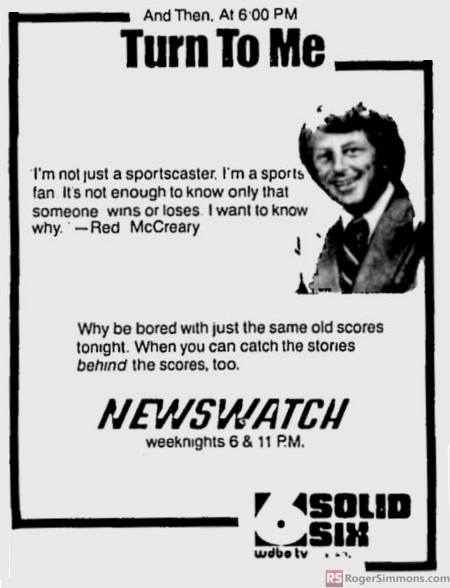 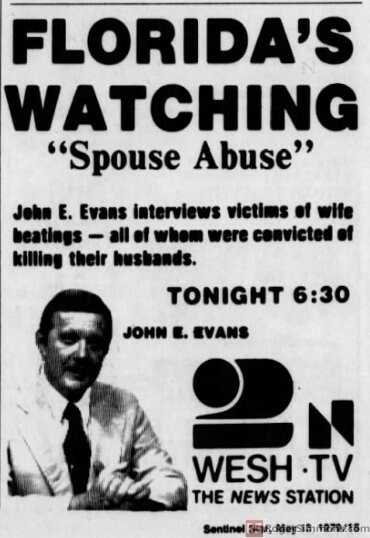 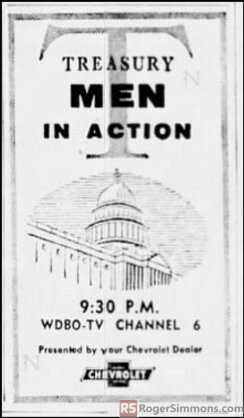 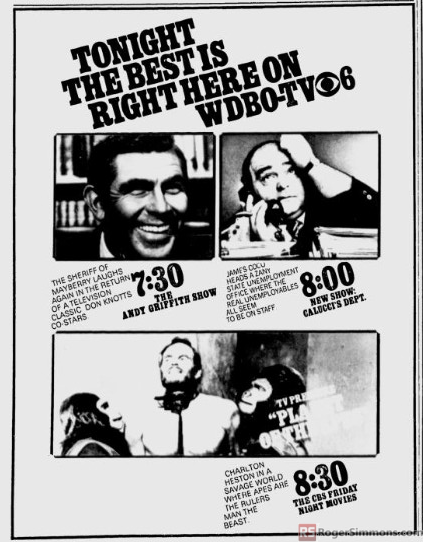 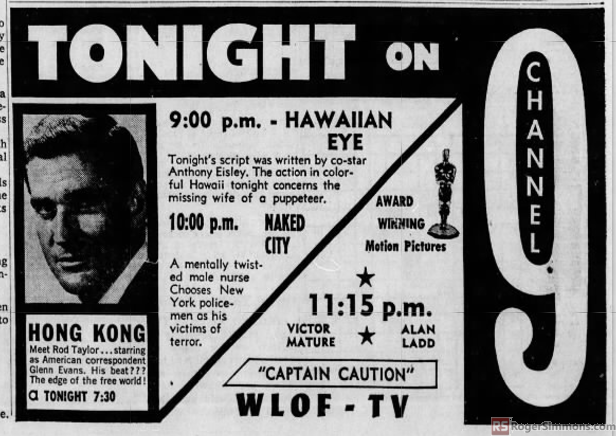 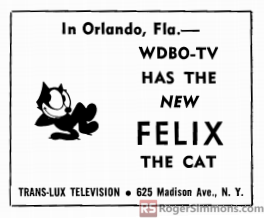 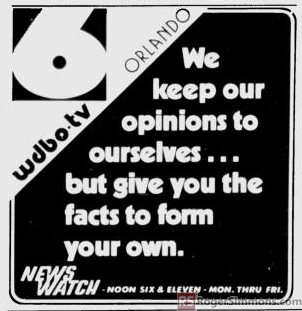 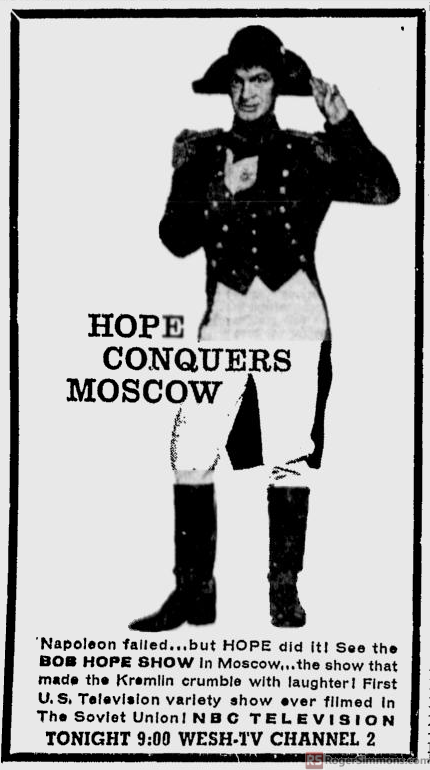 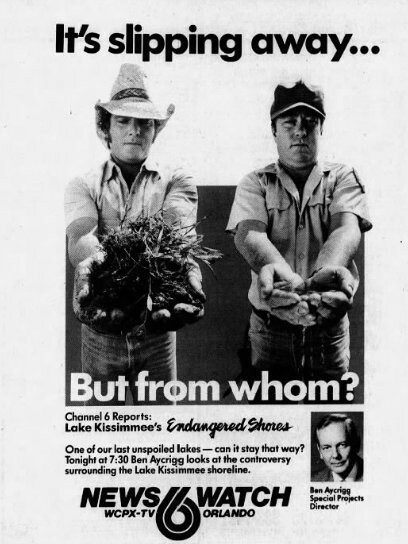 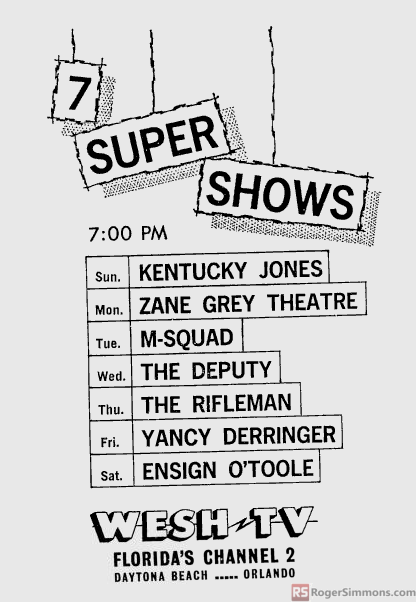 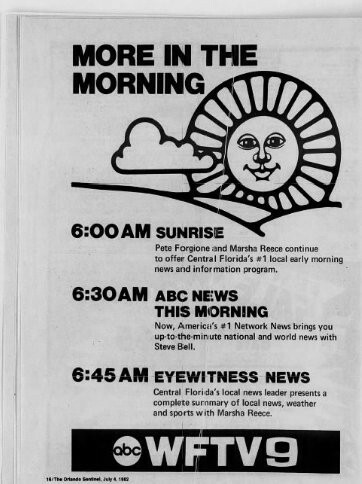 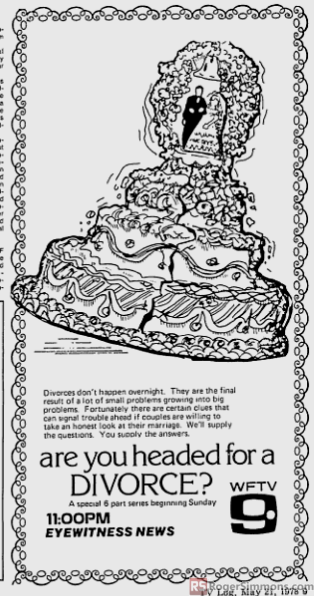 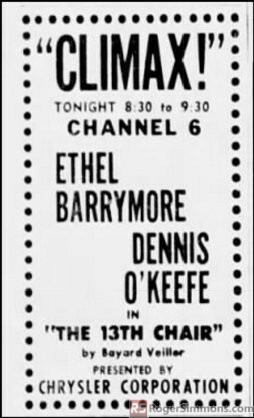 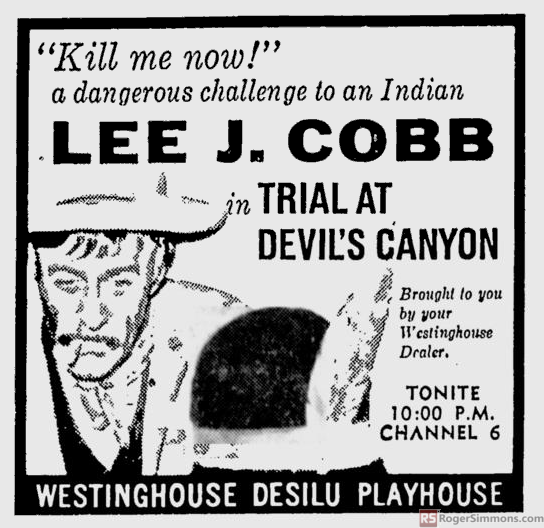 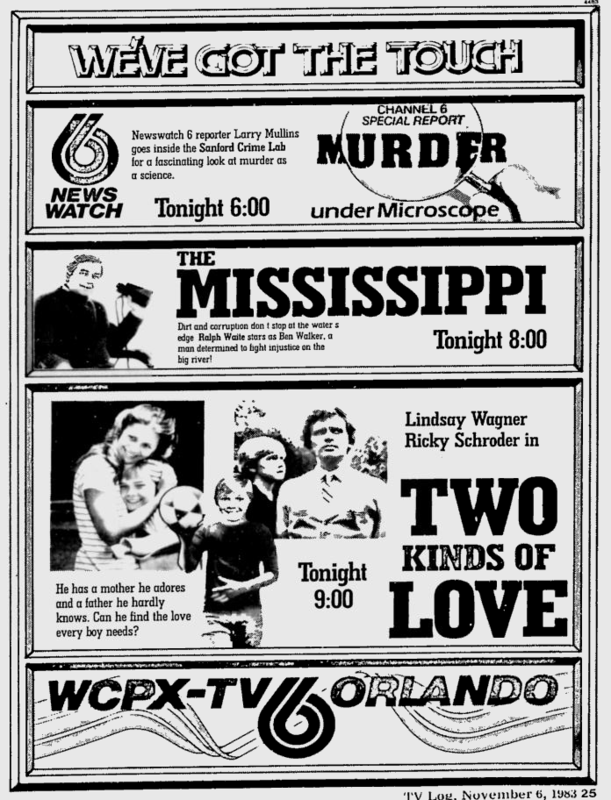 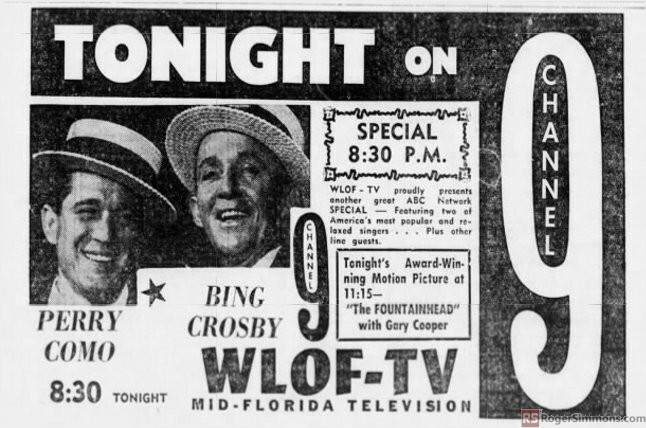 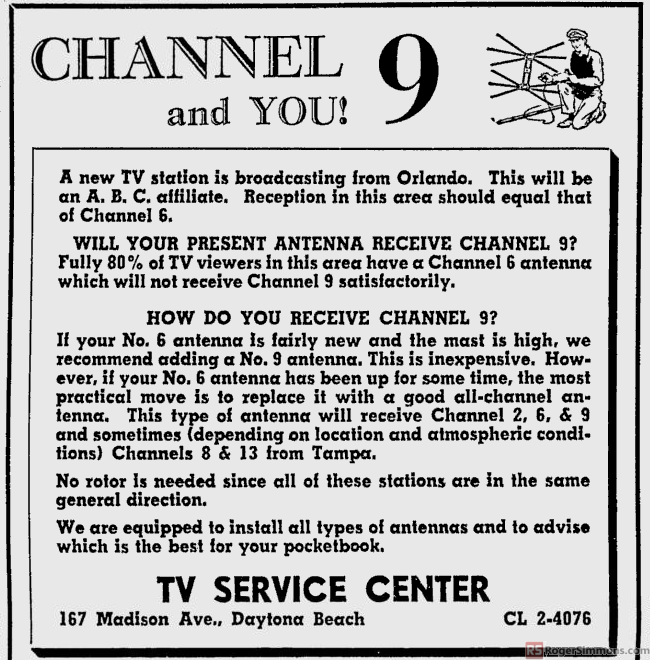 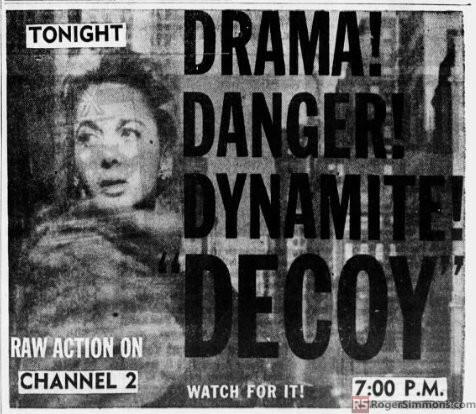 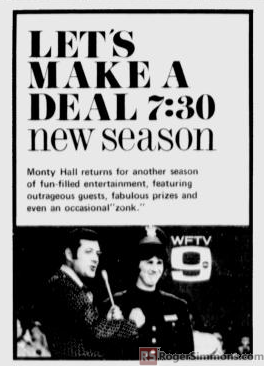 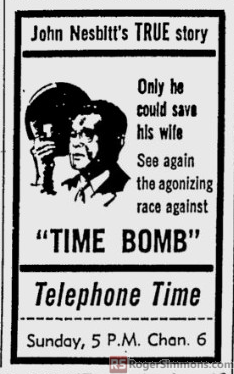 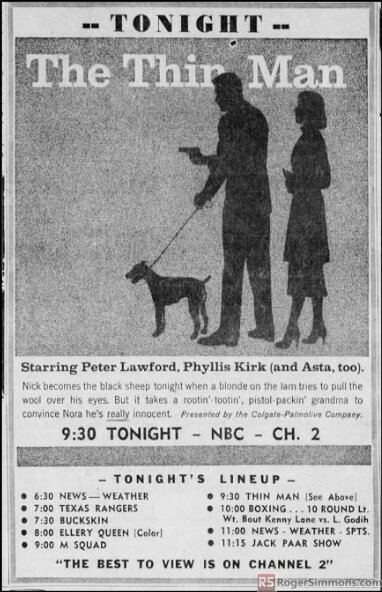 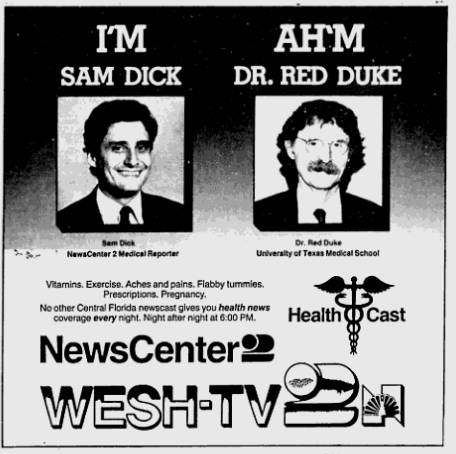 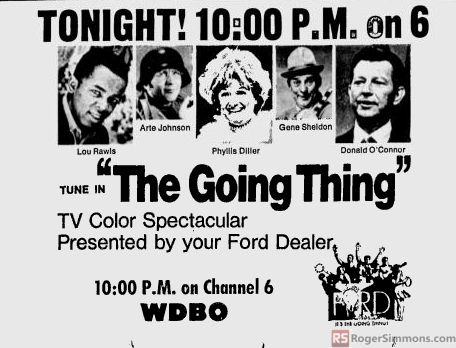 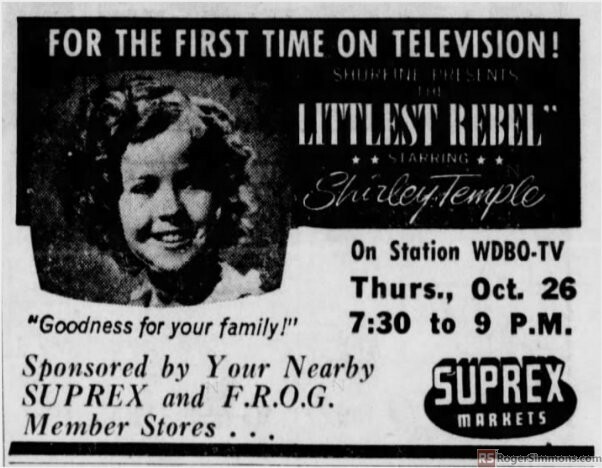 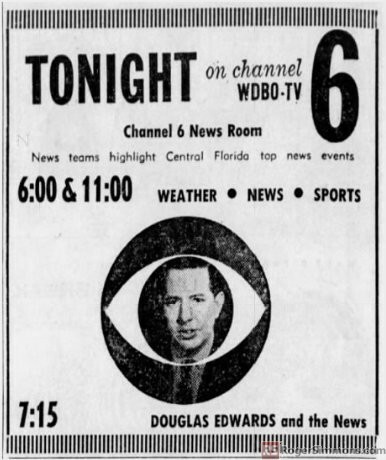 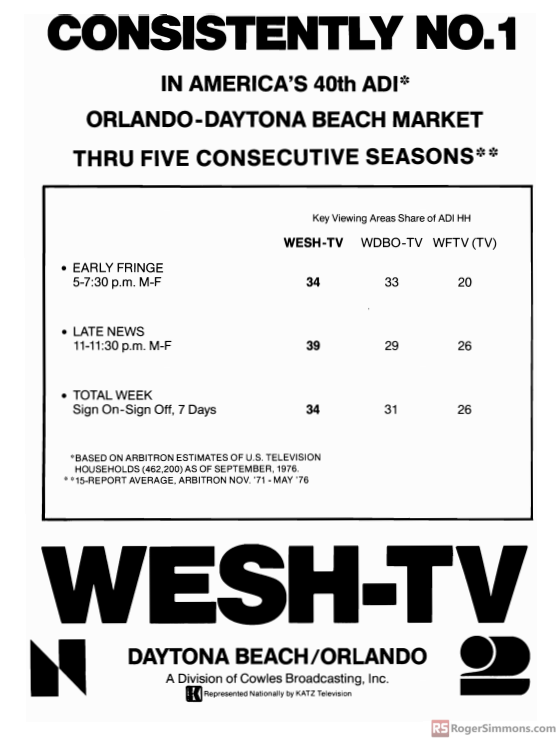 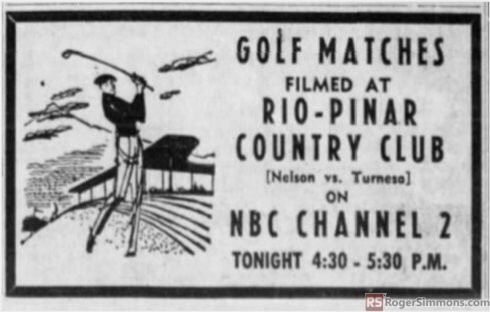 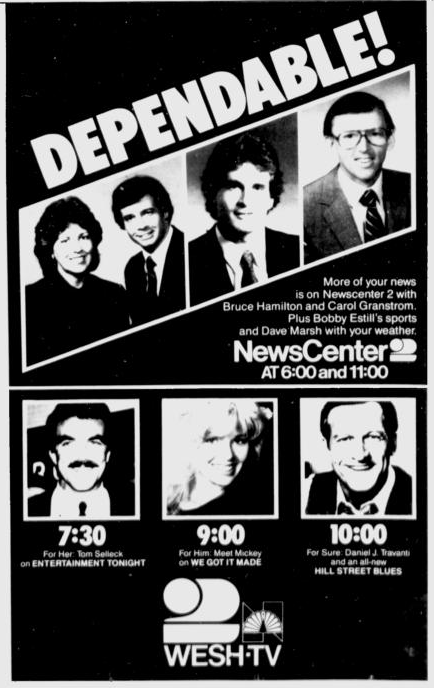 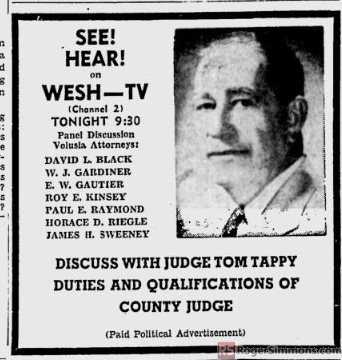 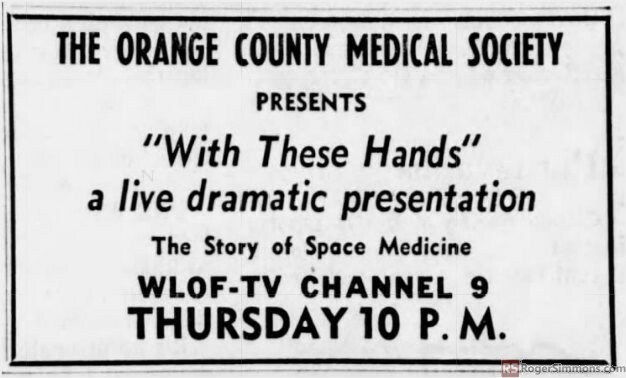 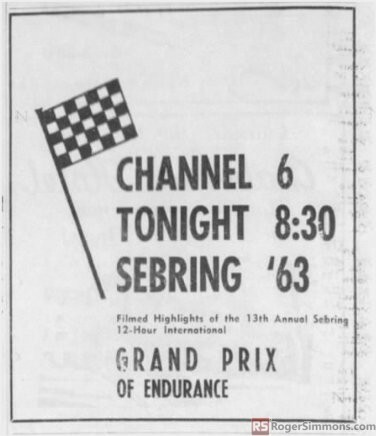 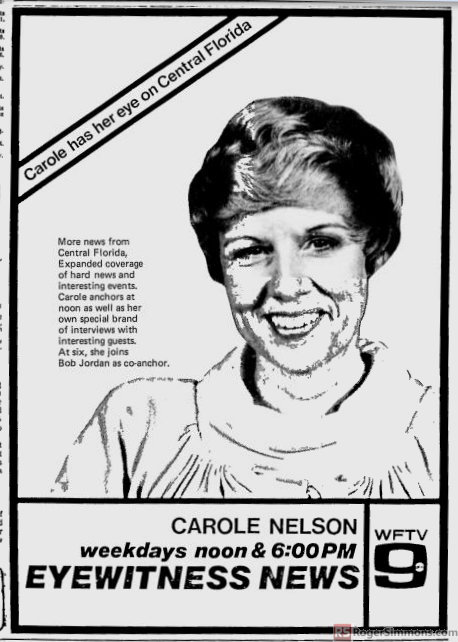 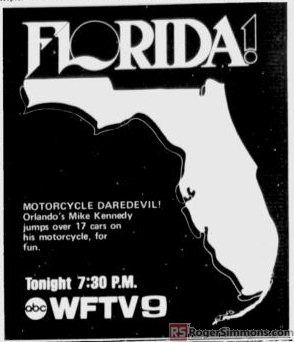 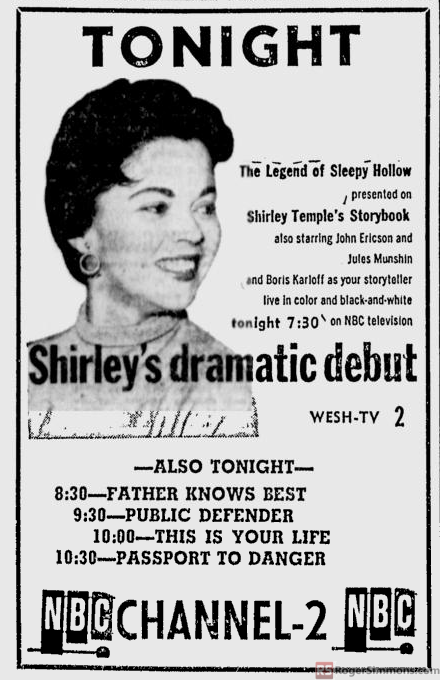 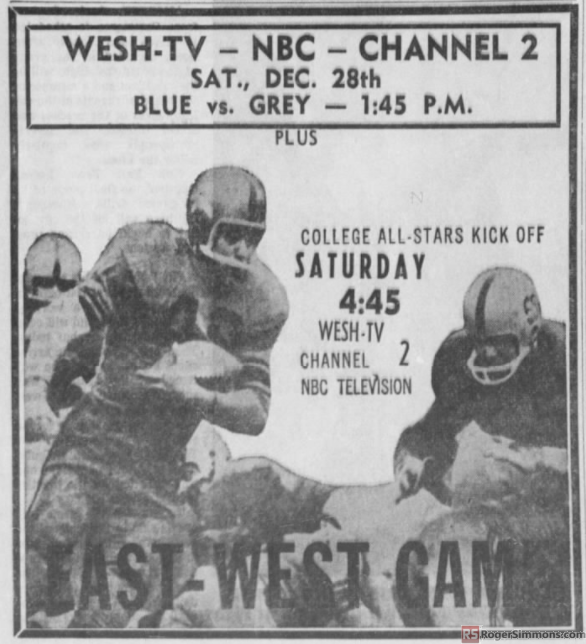 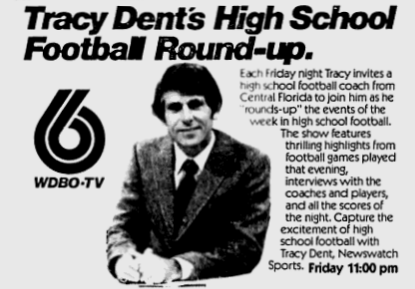 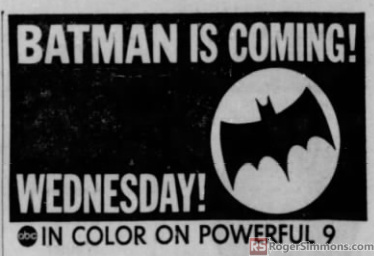 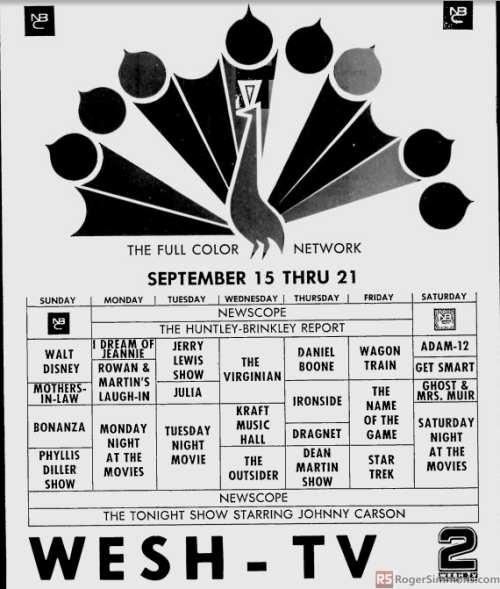 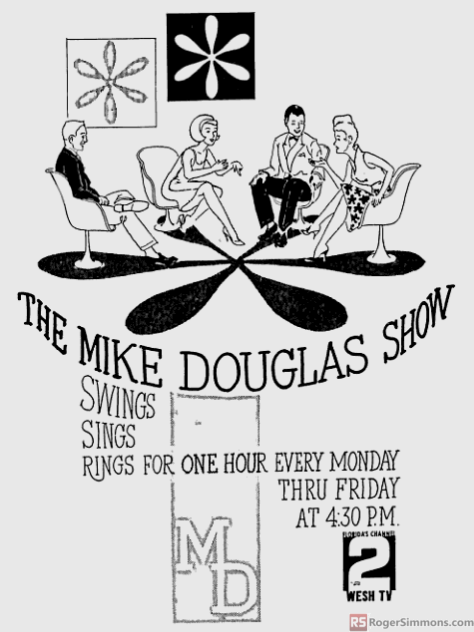 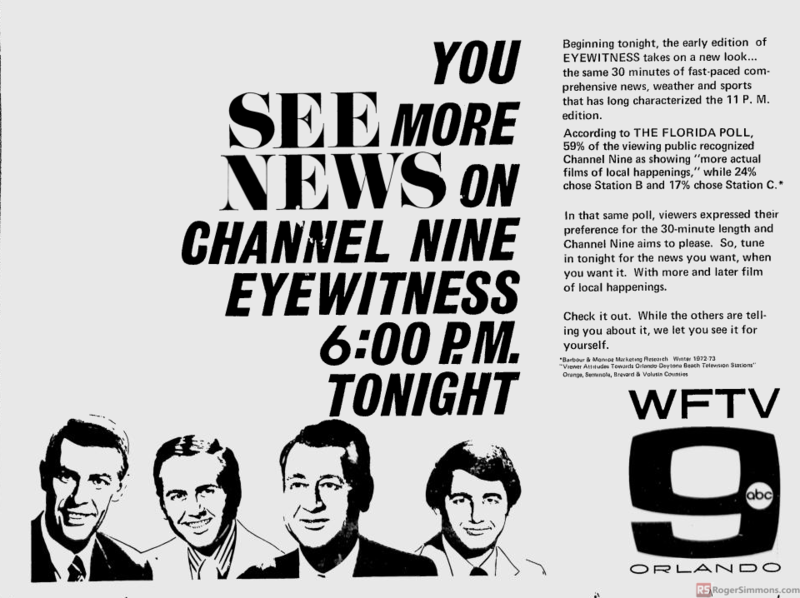 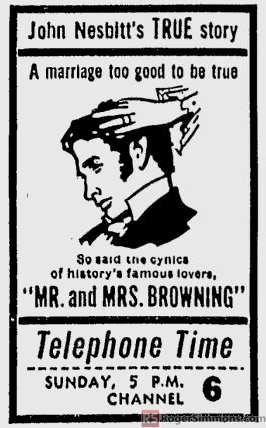 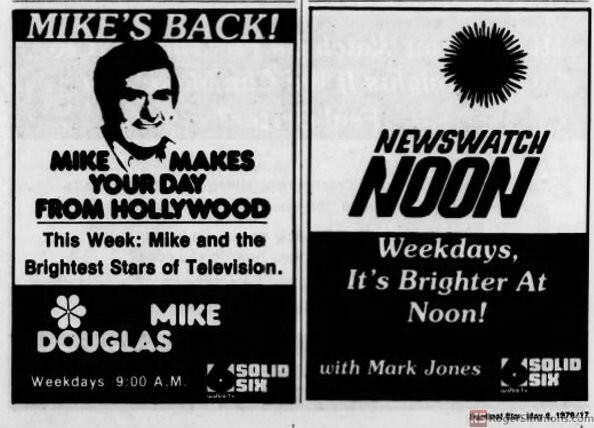 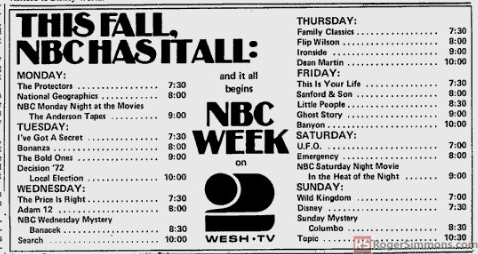 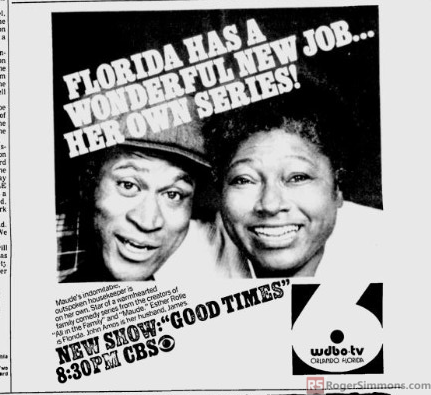 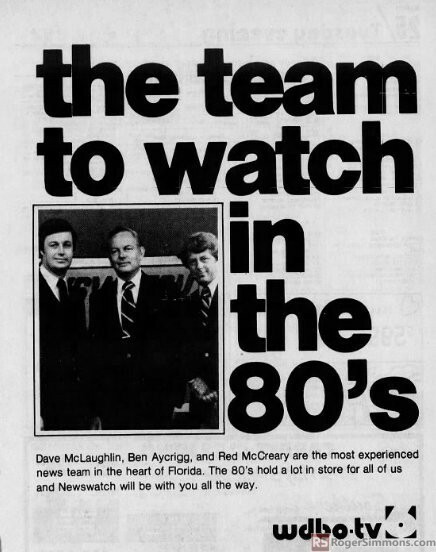 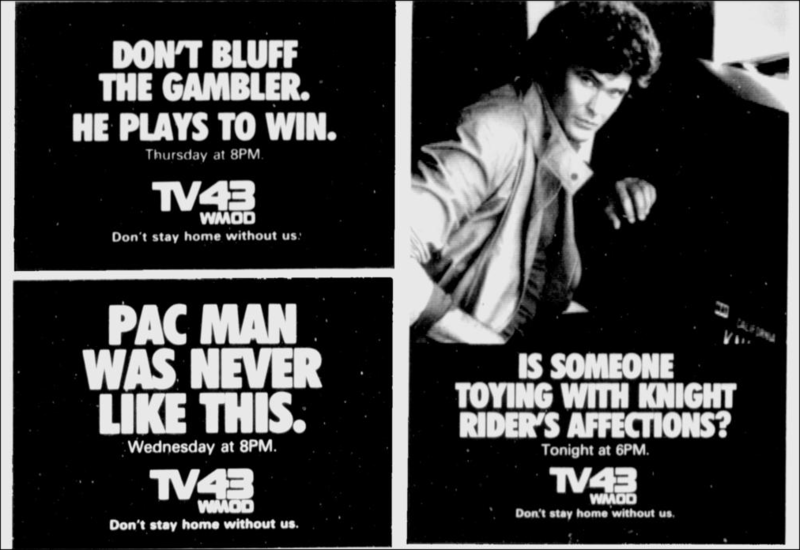 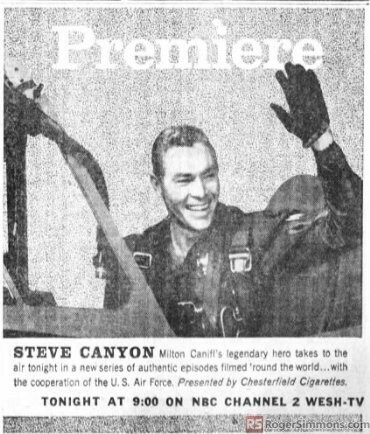 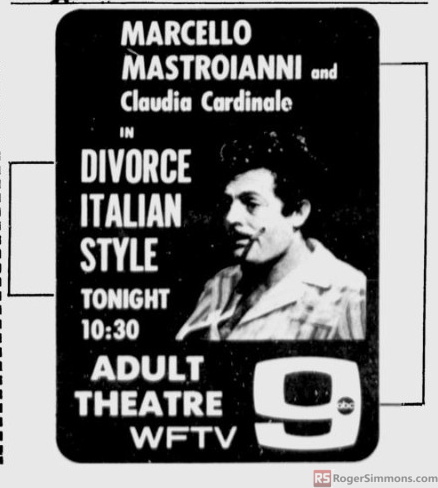 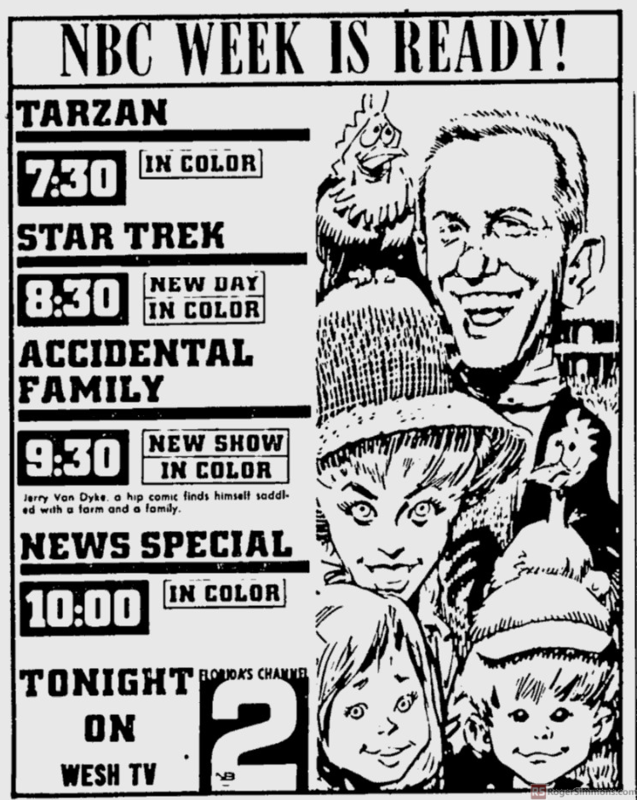 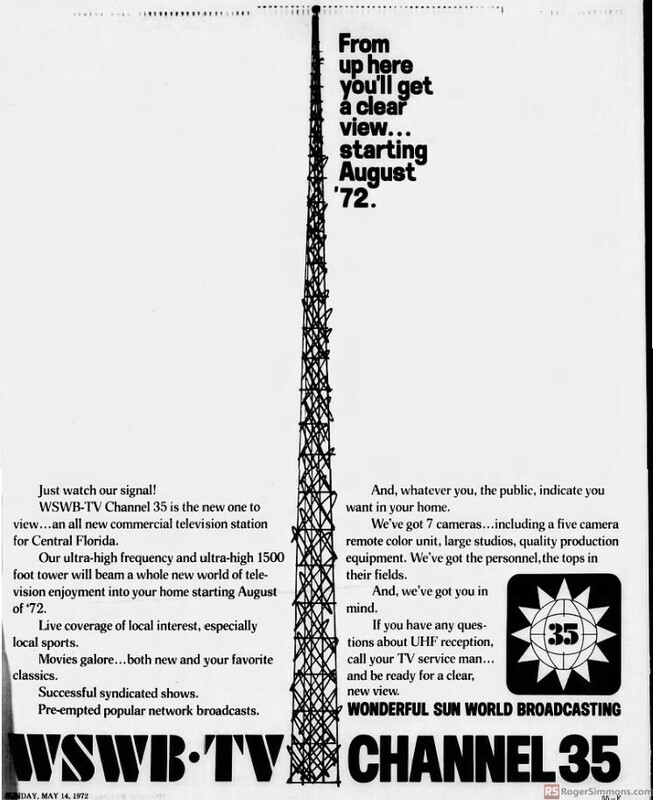 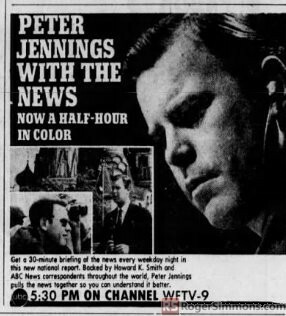 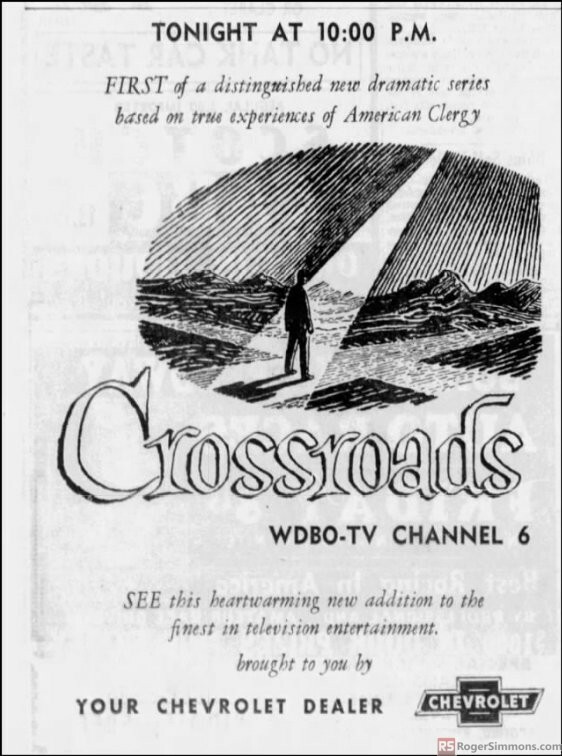 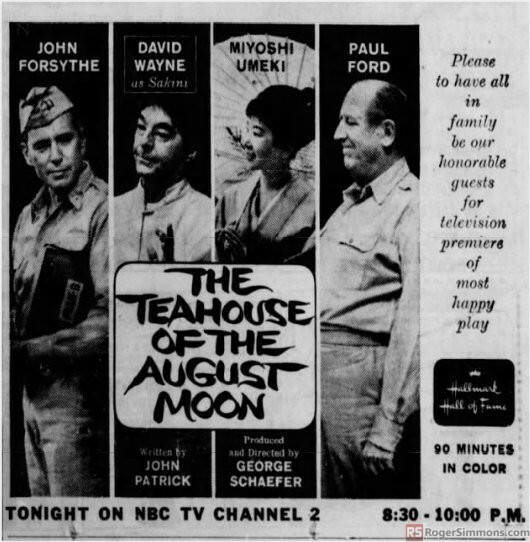 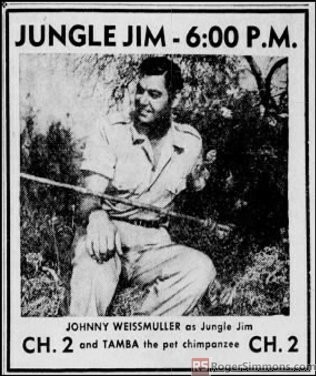 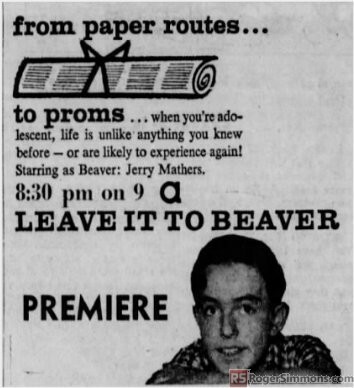 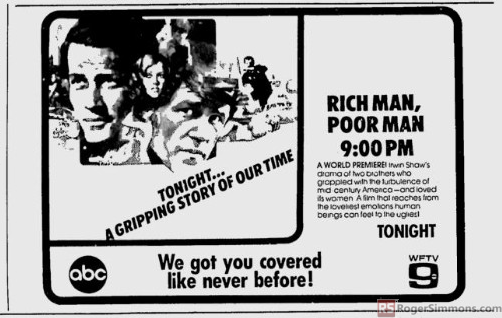 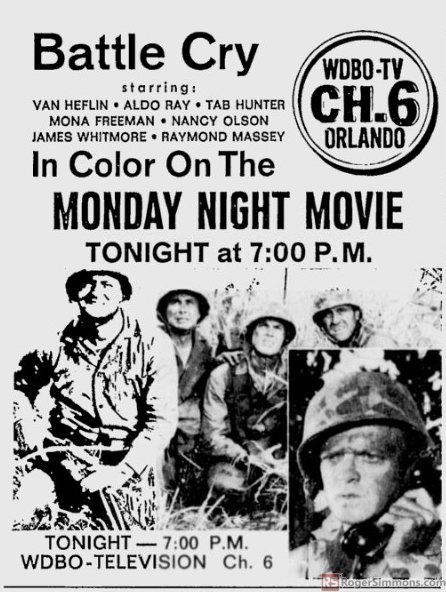 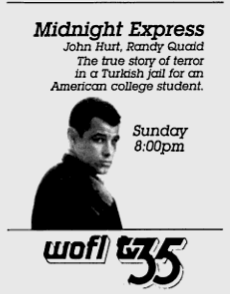 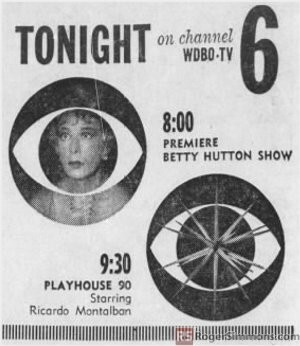 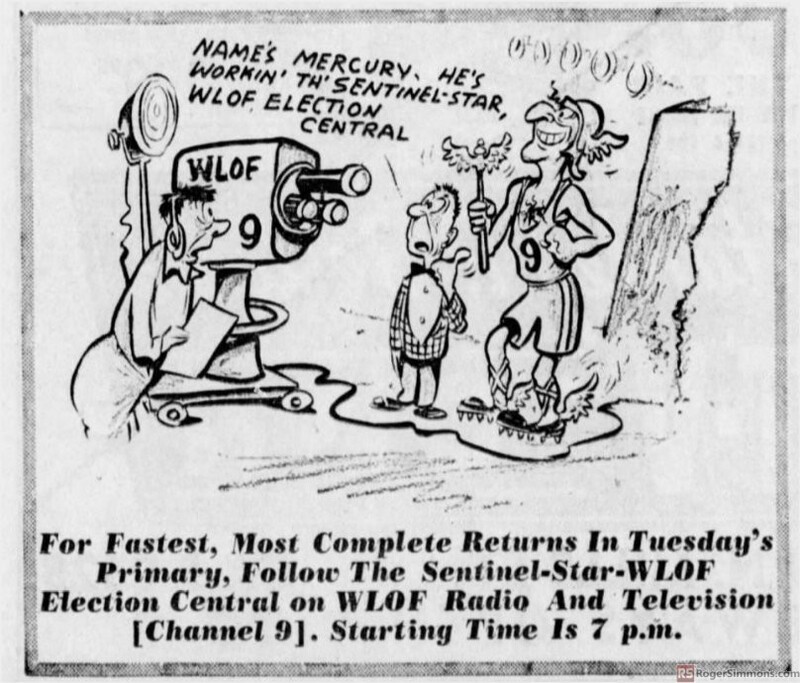 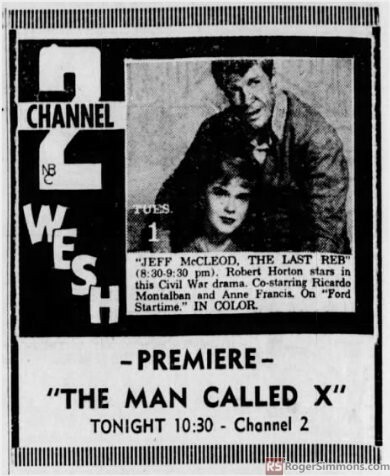 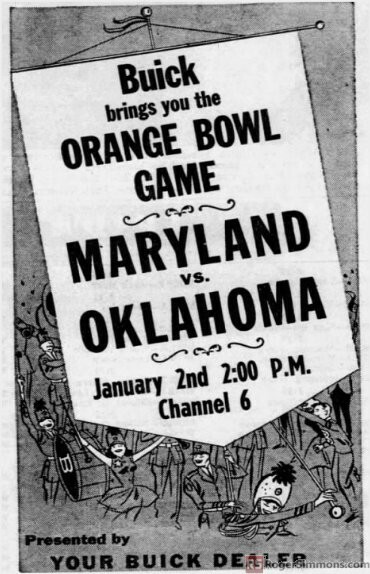 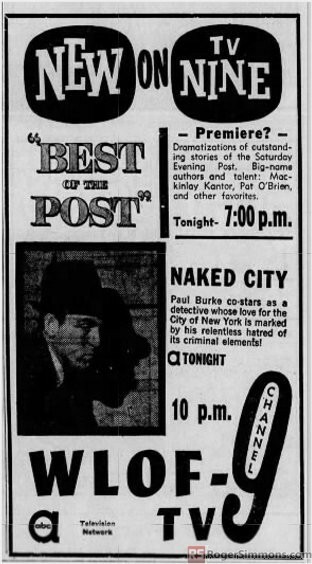 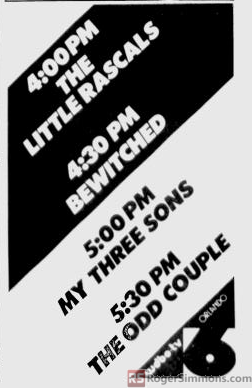 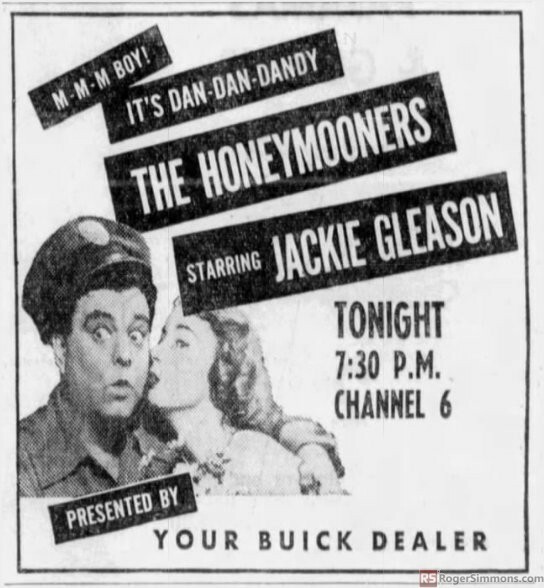 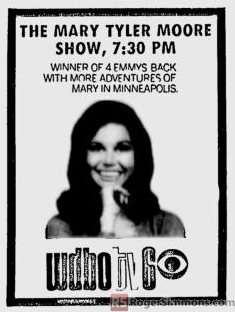 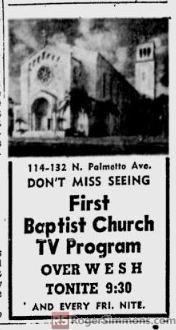 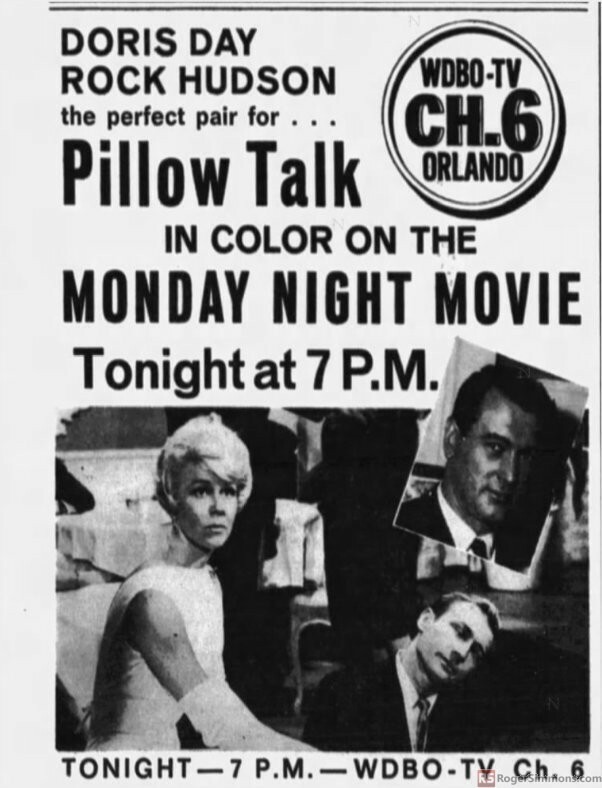 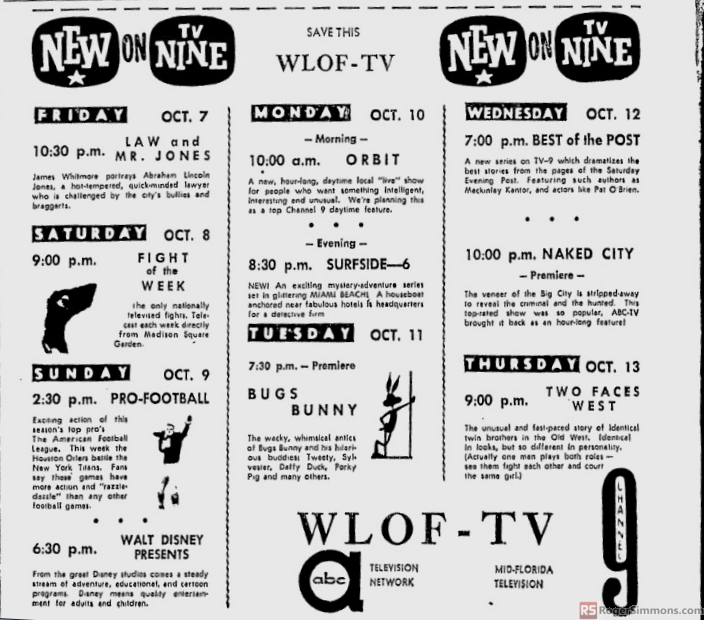 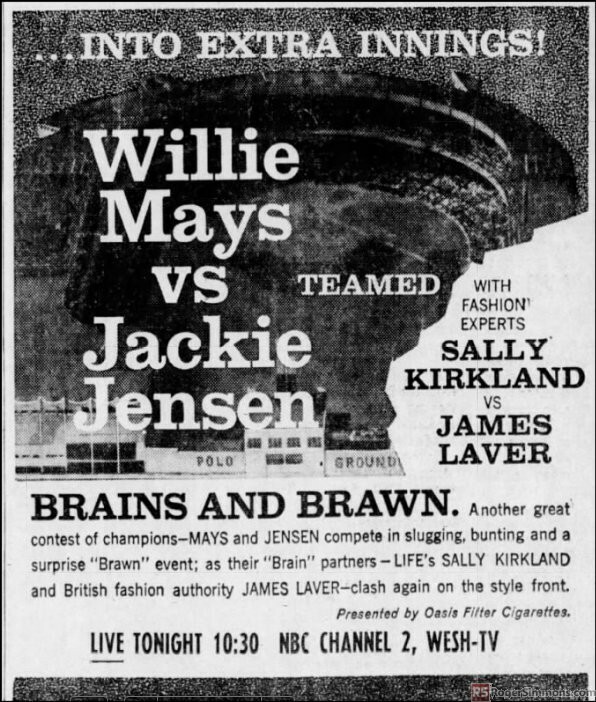 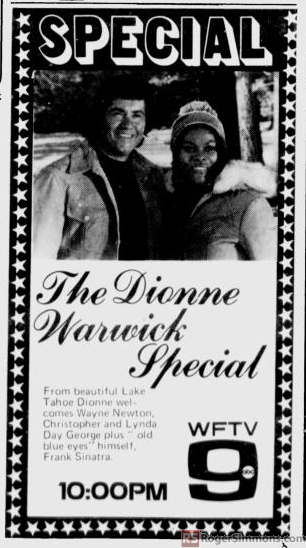 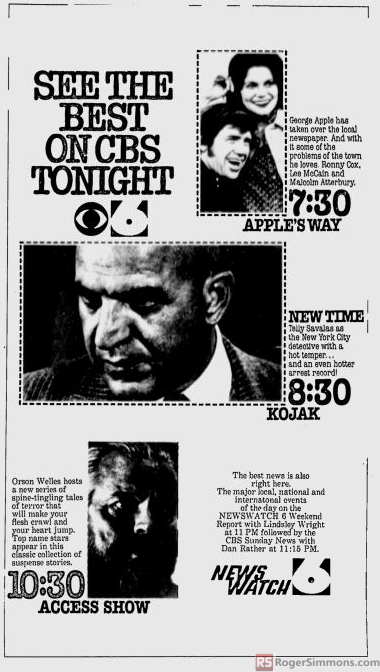 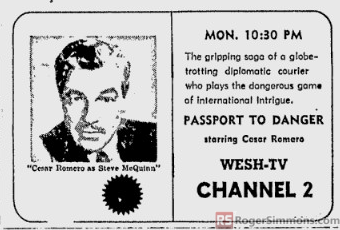 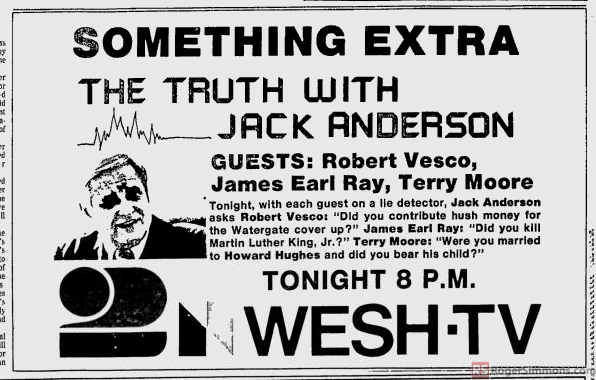 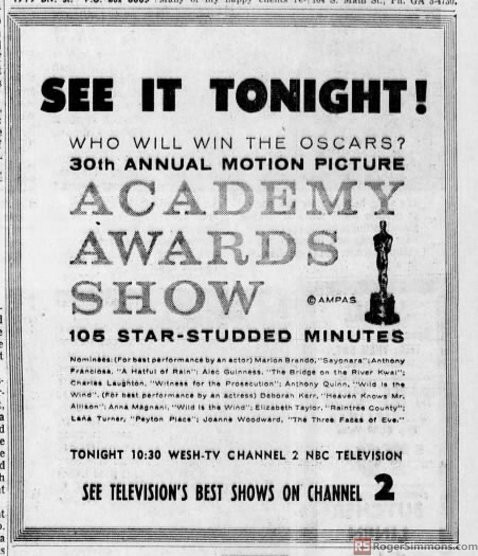 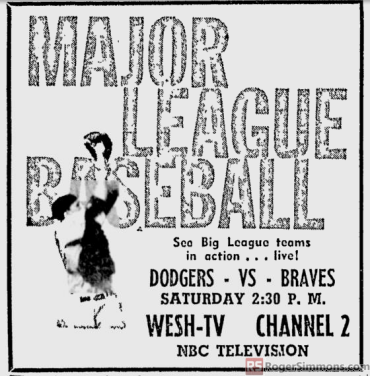 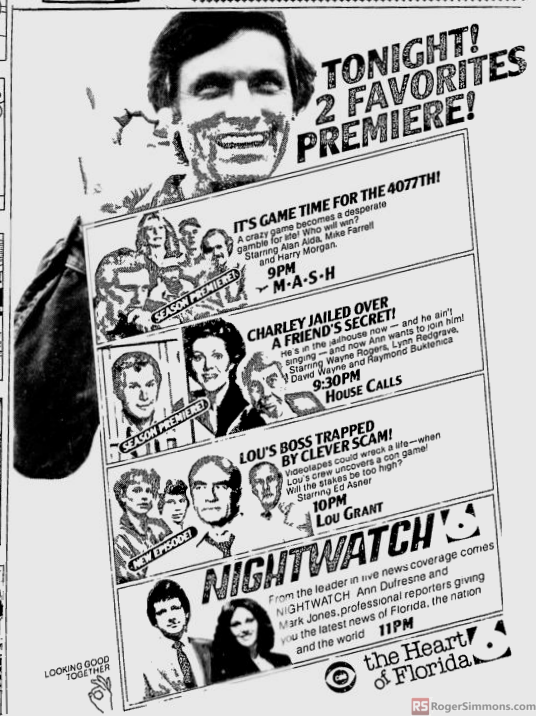 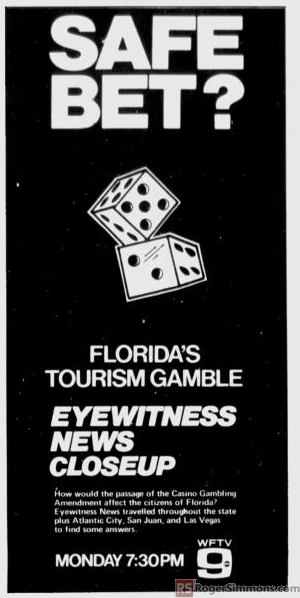 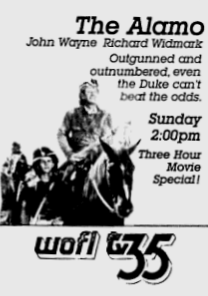 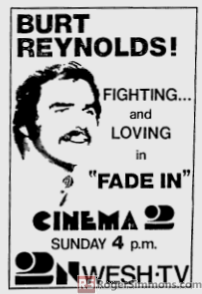 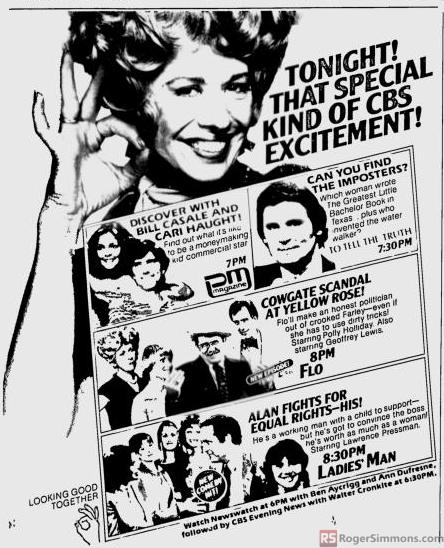 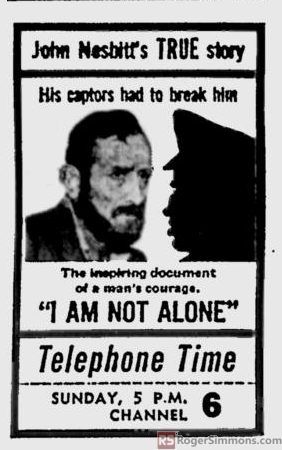 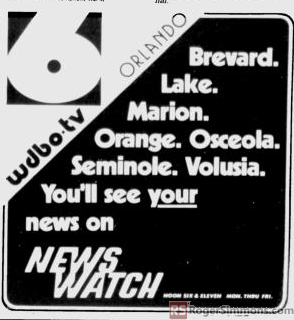 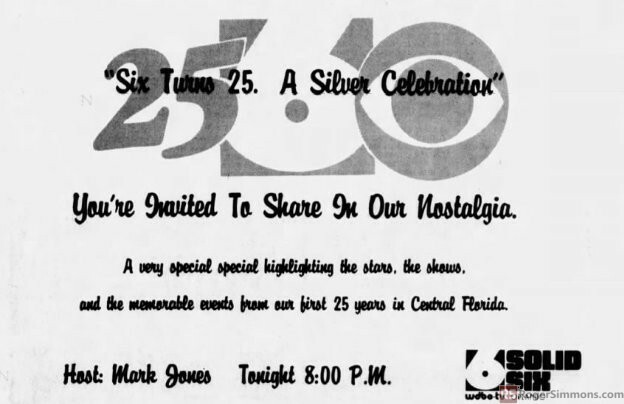 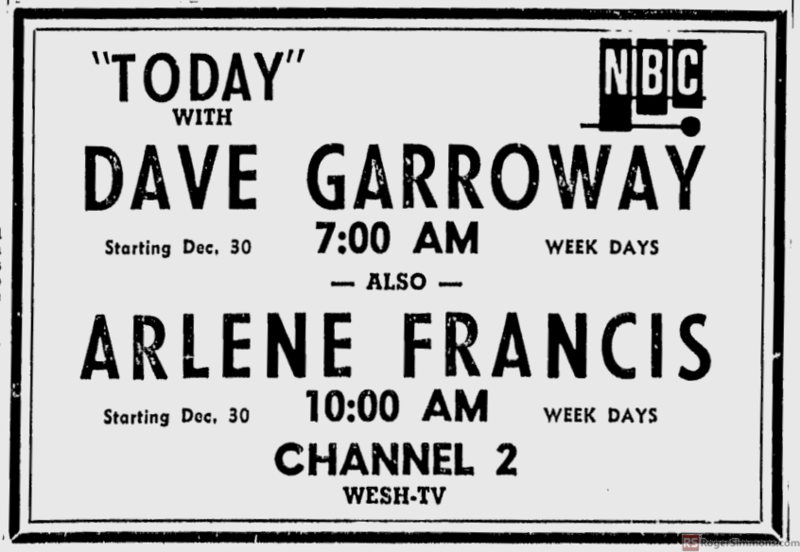 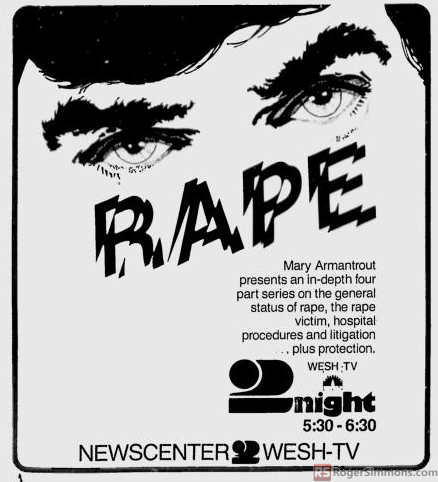 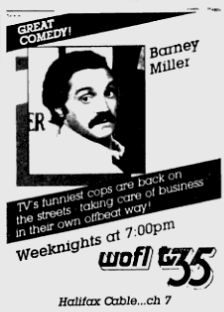 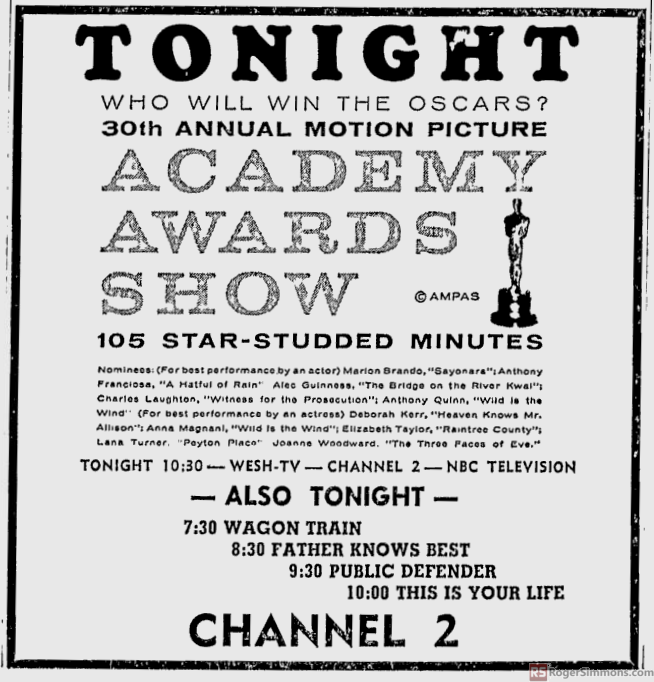 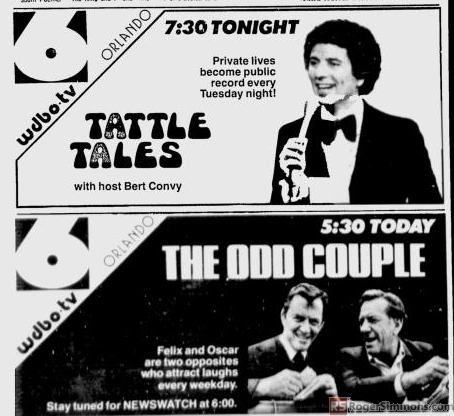 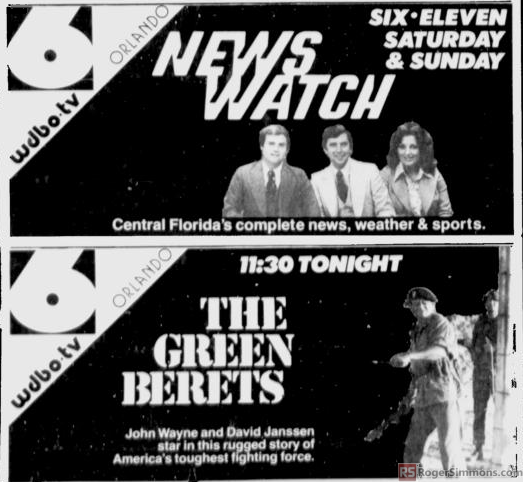 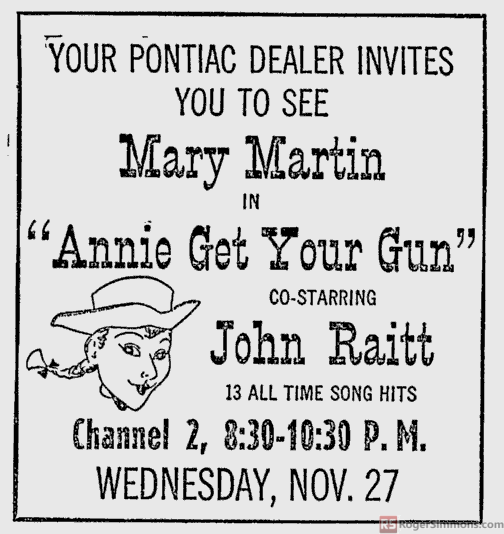 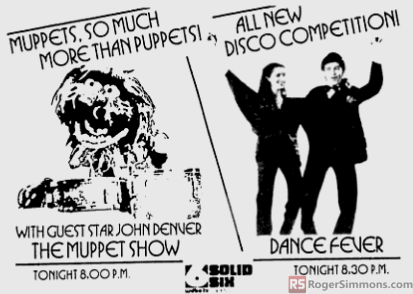 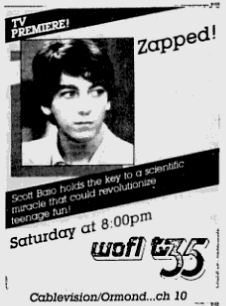 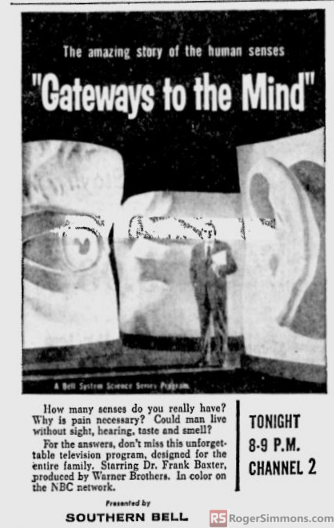 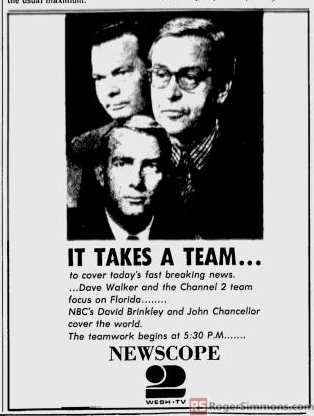 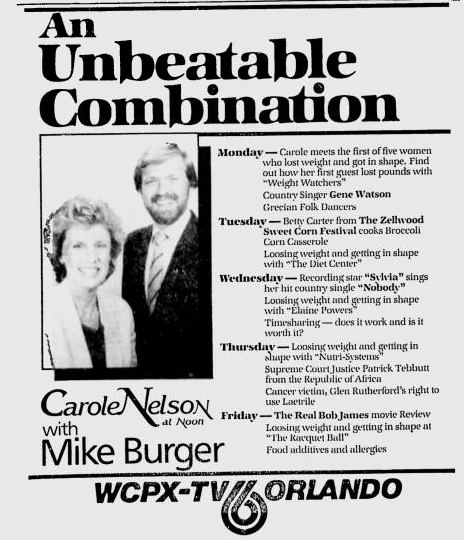 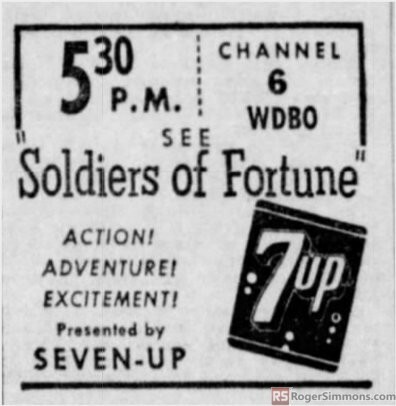 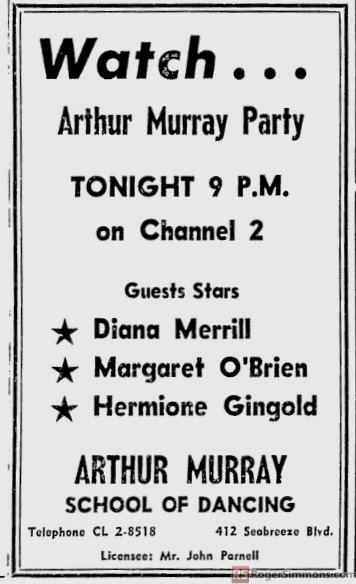 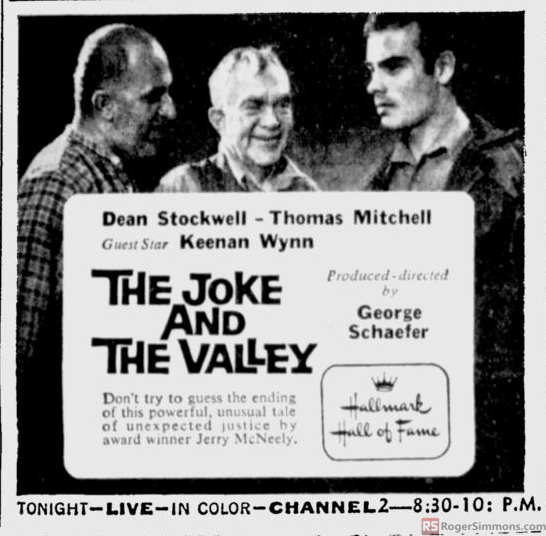 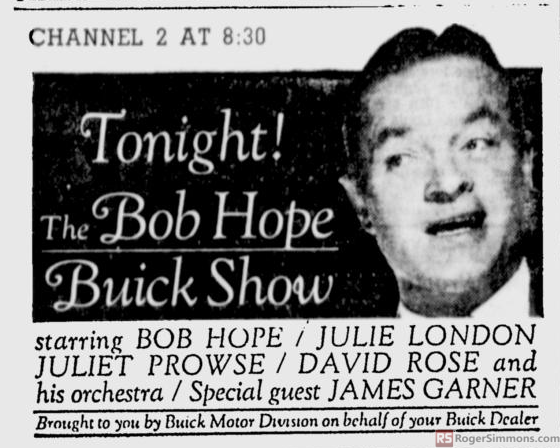 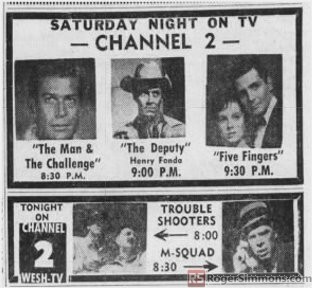 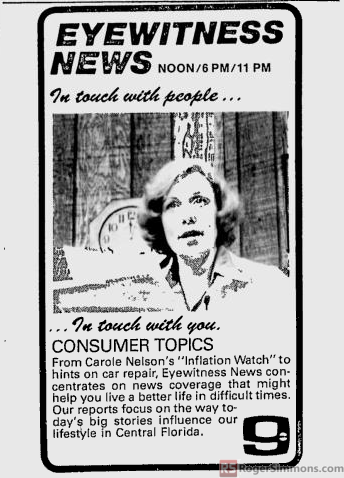 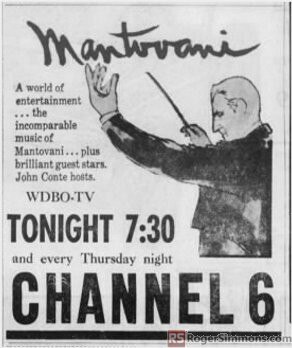 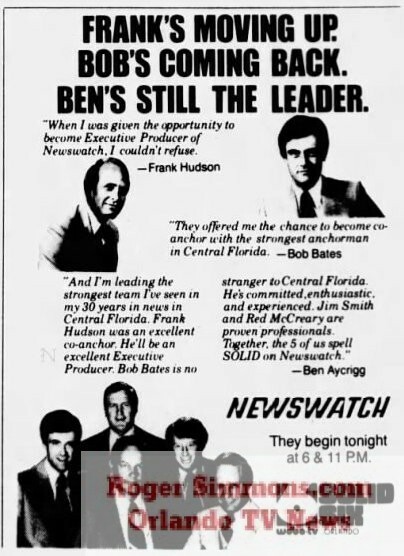 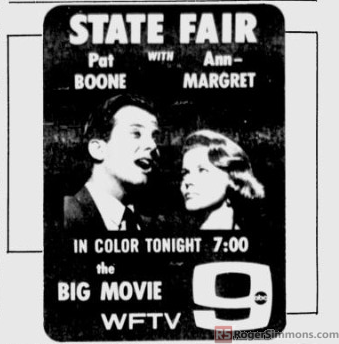 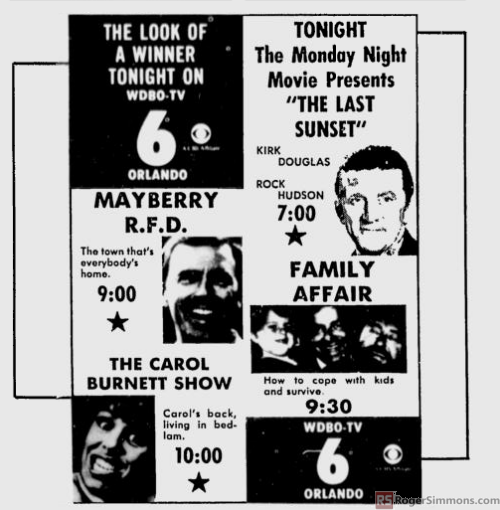 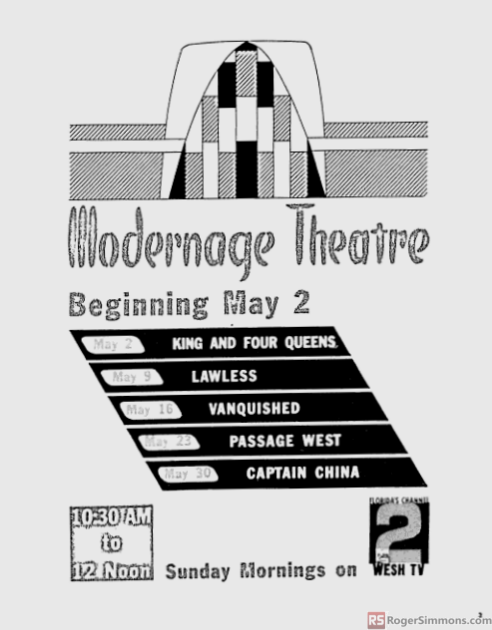 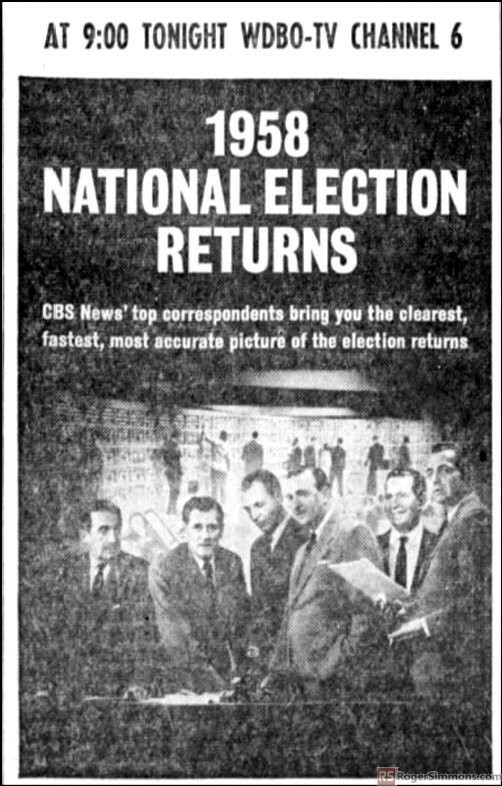 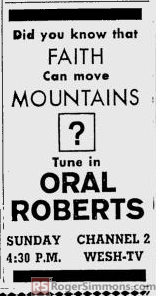 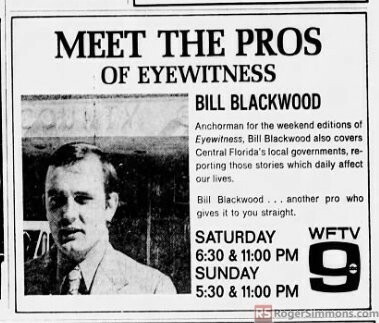 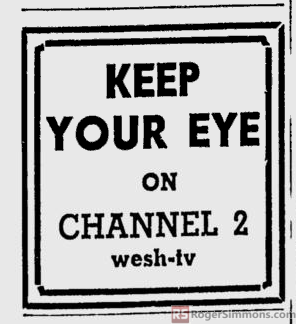 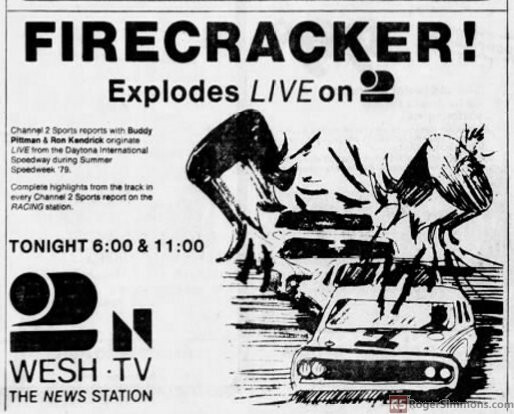 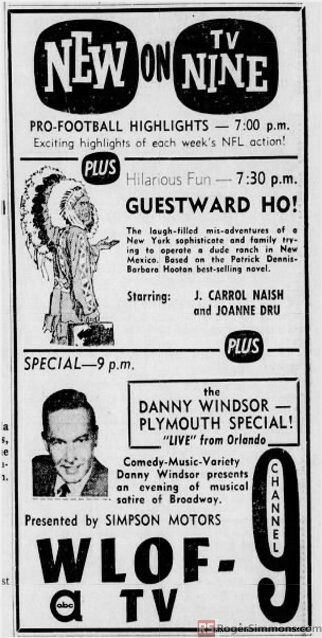 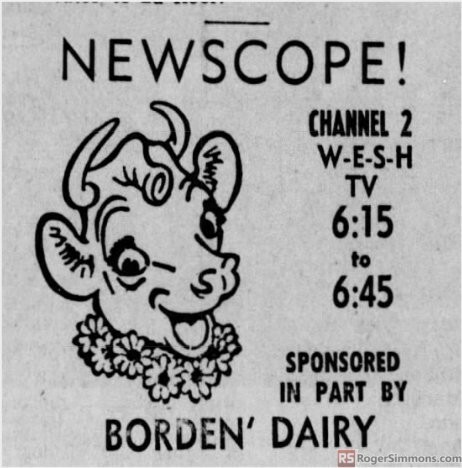 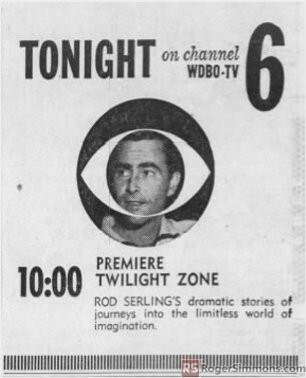 We’ve searched the internet and our private collection of newspapers to compile this gallery of print advertisements for Orlando TV stations. 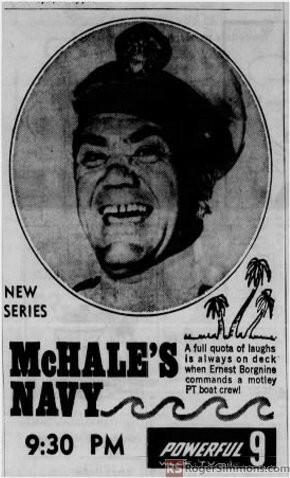 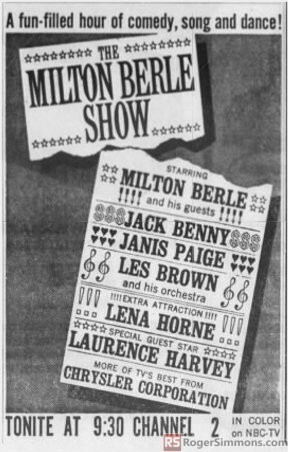 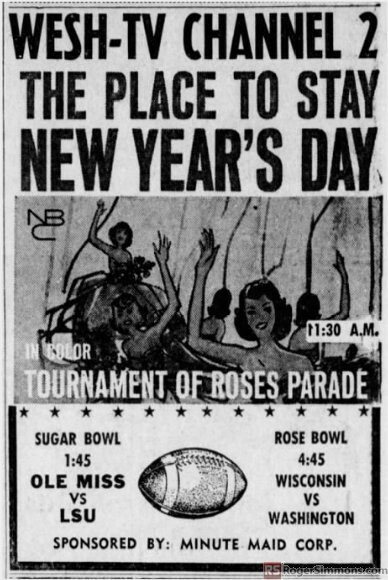 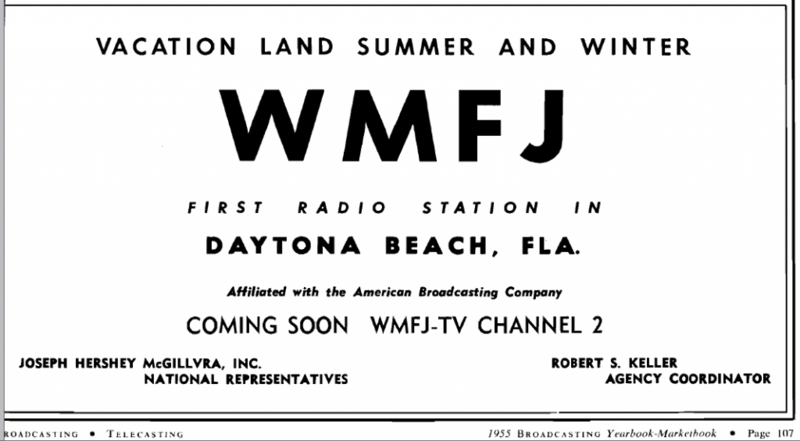 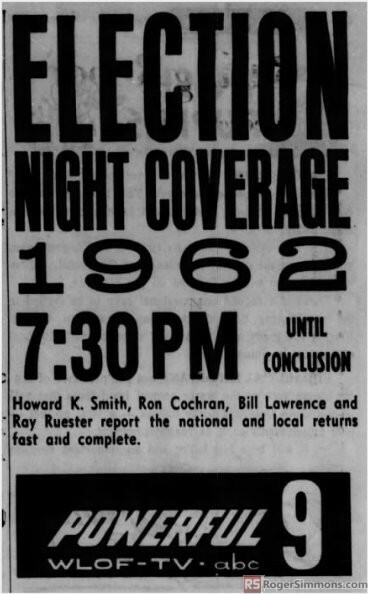 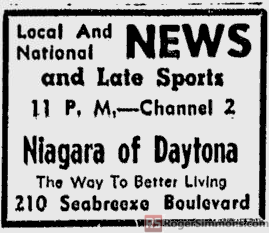 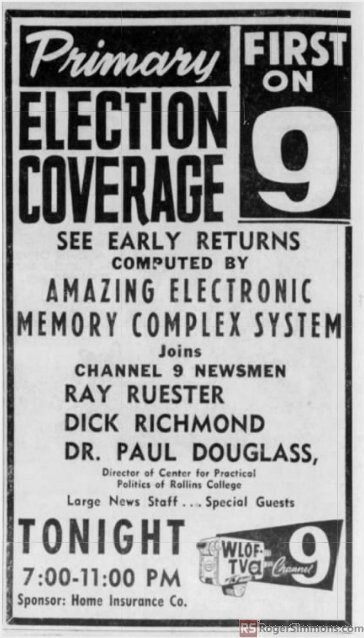 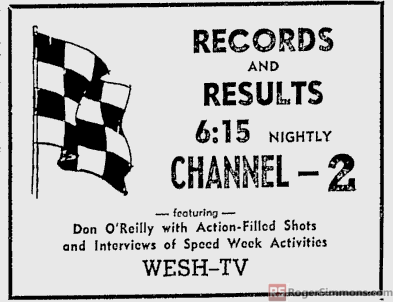 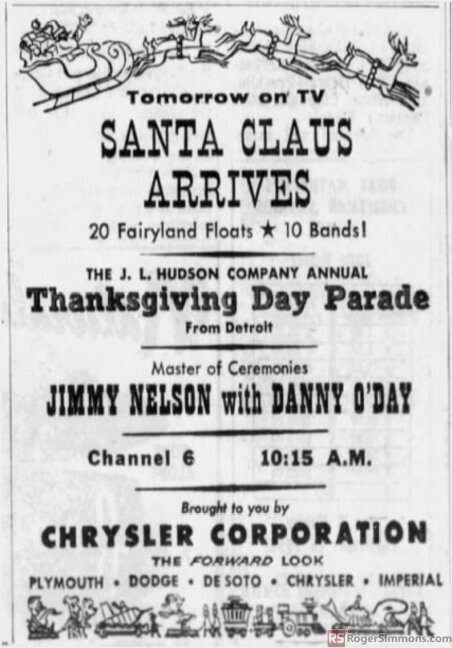 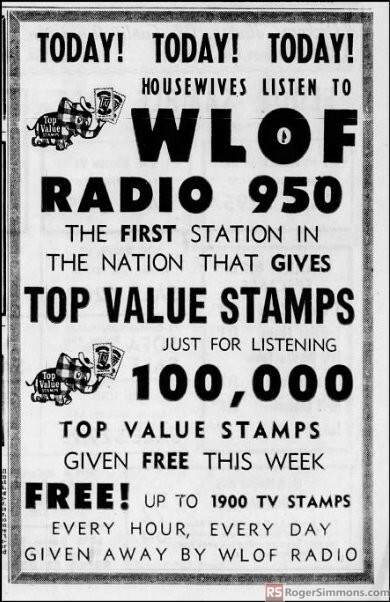 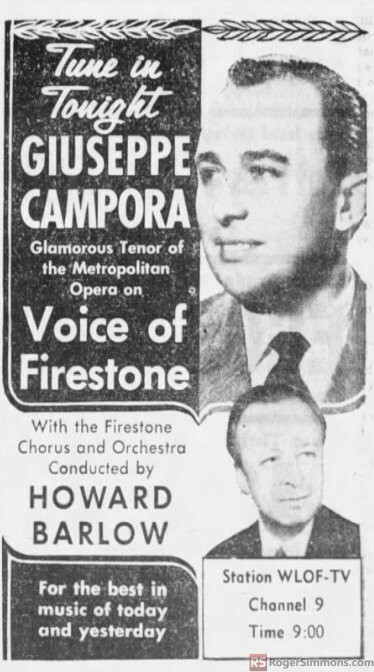 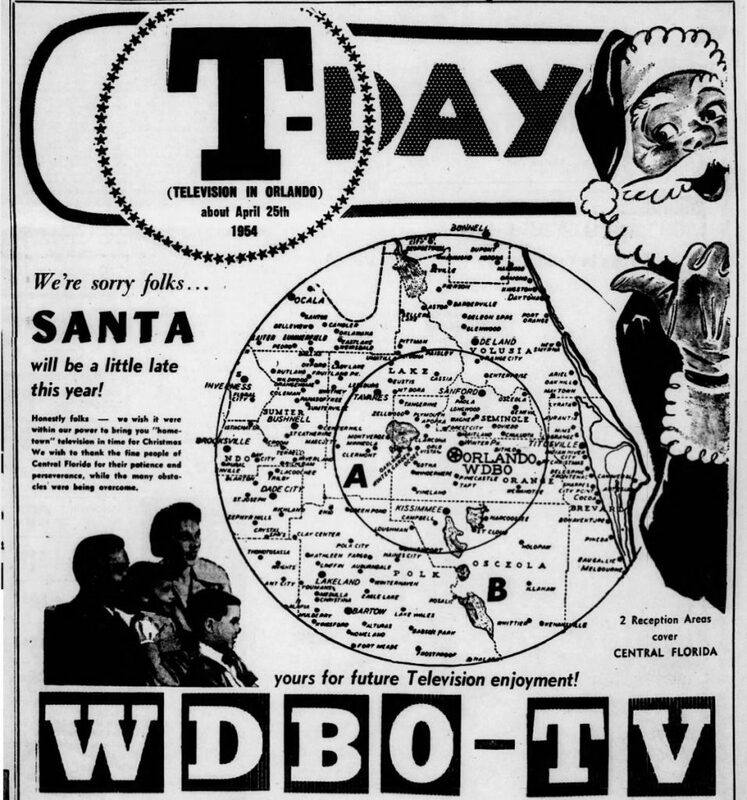 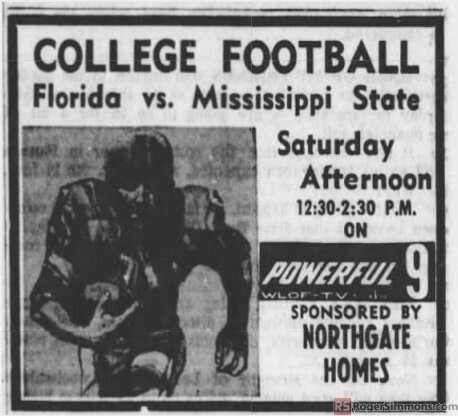 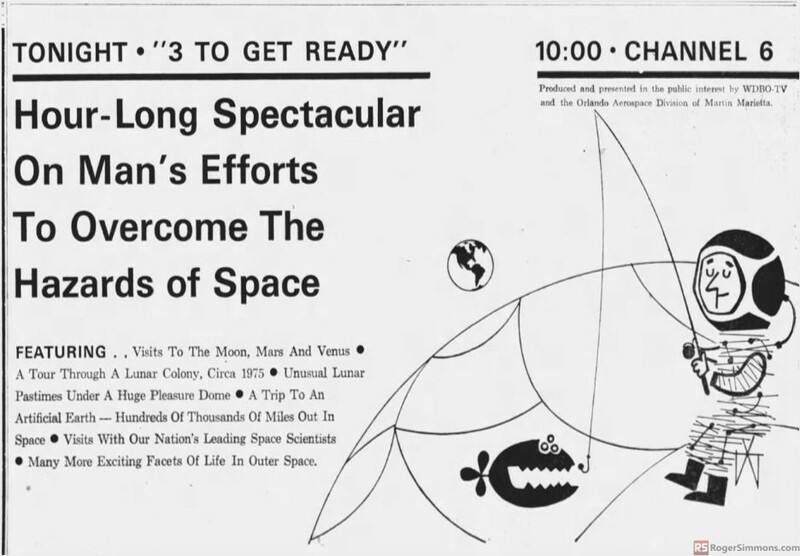 This historical collection was created after several months of research involving thousands of pages and more than 50 years of online archives of the Daytona Beach Morning Journal, the Daytona Beach Sunday News-Journal, the Lakeland Ledger, the Ocala Star Banner and Broadcasting Yearbooks from the AmericanRadioHistory.com website. 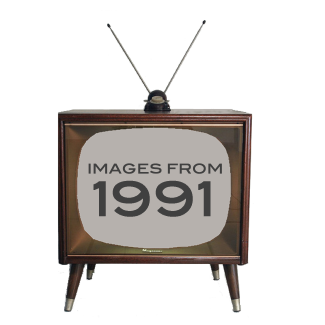 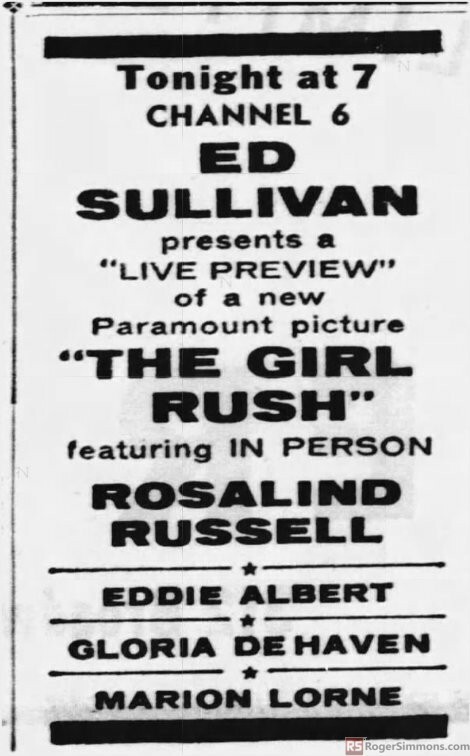 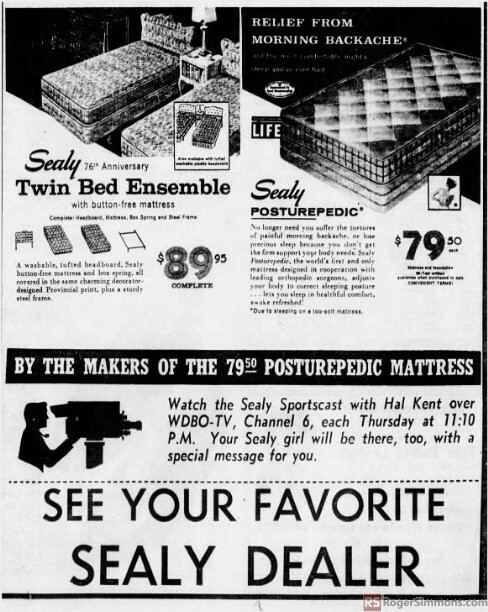 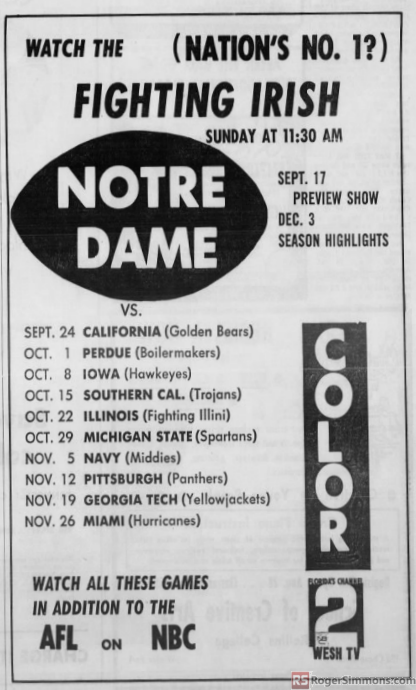 With images from the 1950s, ’60s, ’70s, ’80s and ’90s, you can view this gallery as a slideshow or click on the images themselves for larger views. 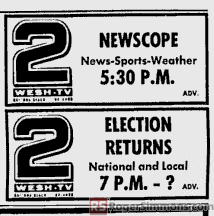 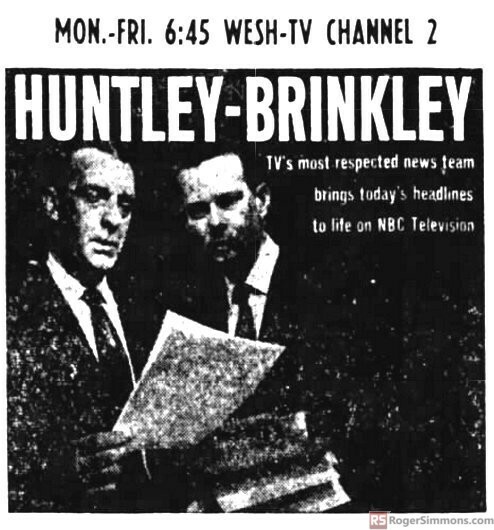 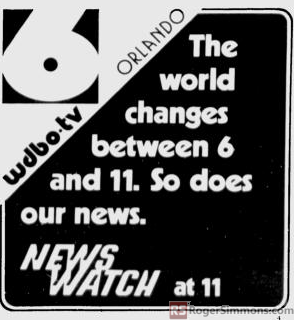 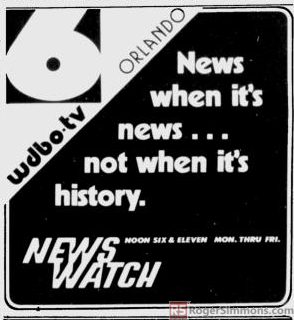 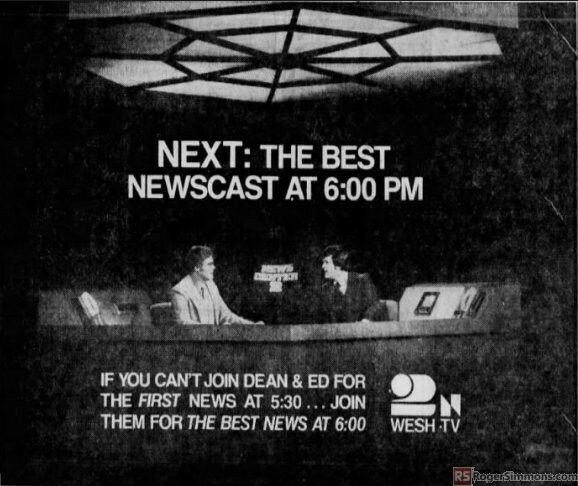 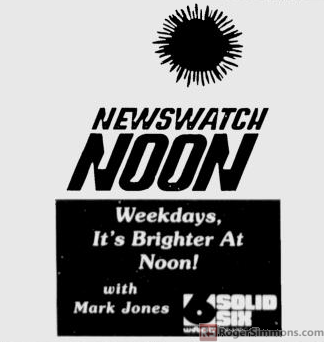 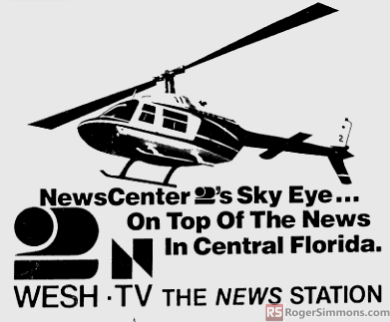 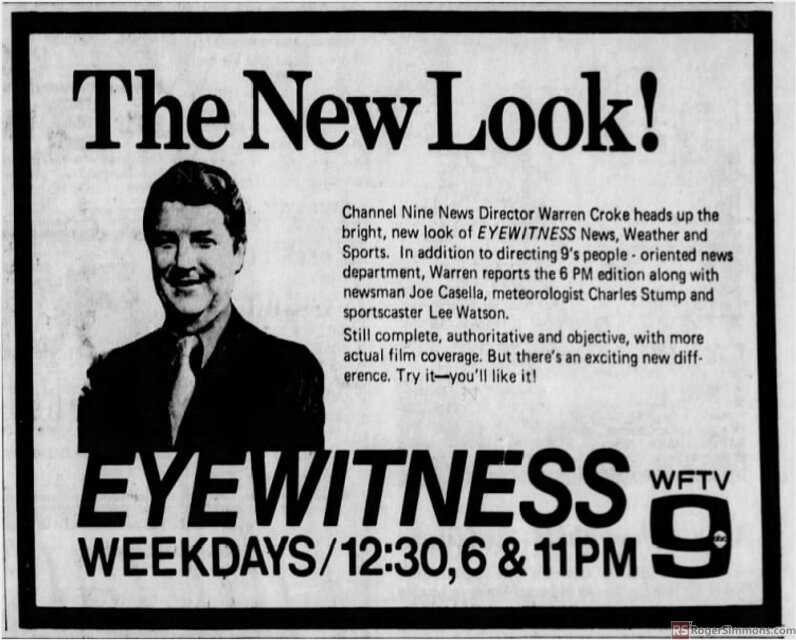 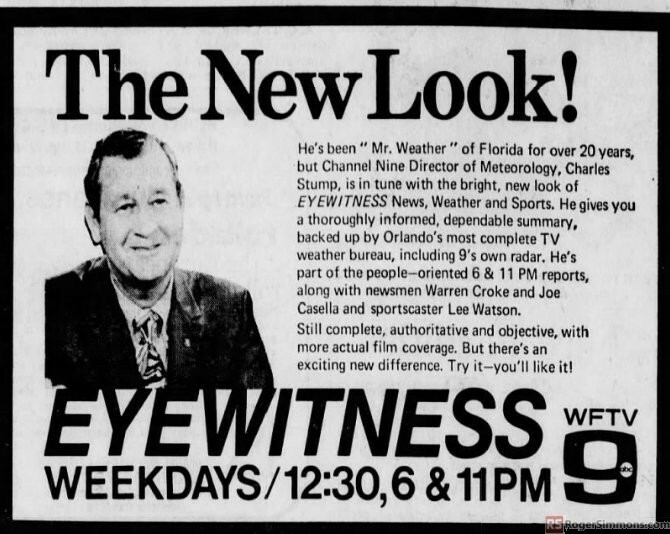 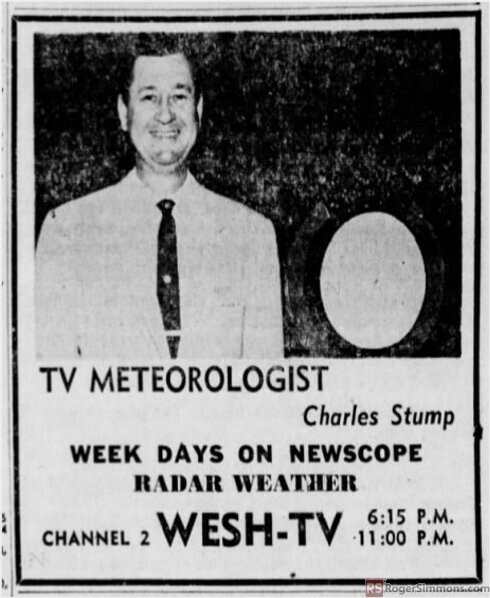 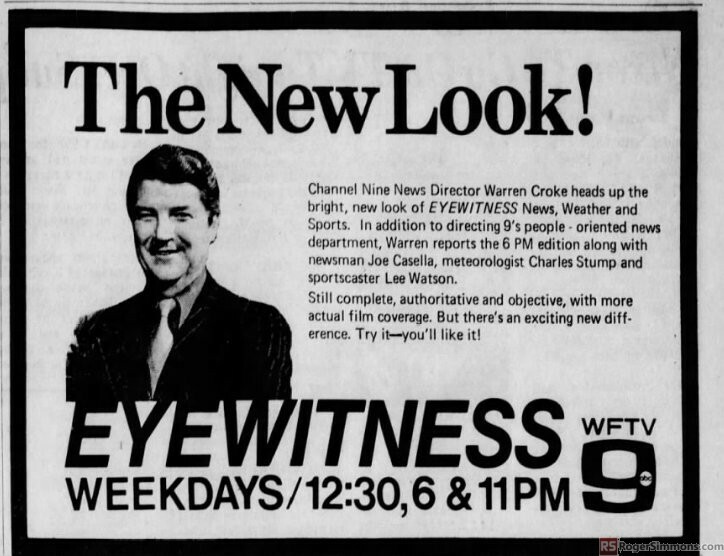 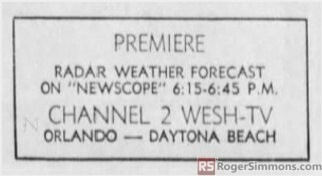 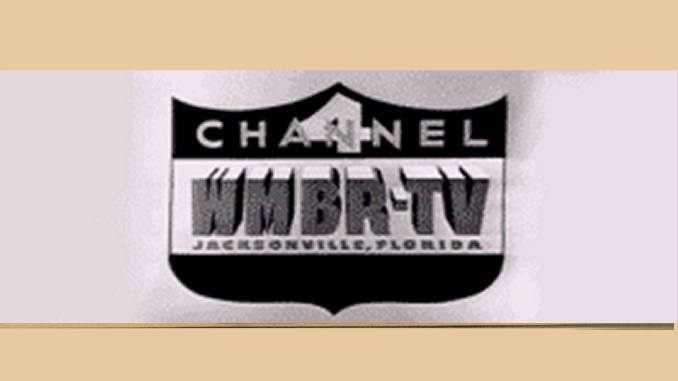 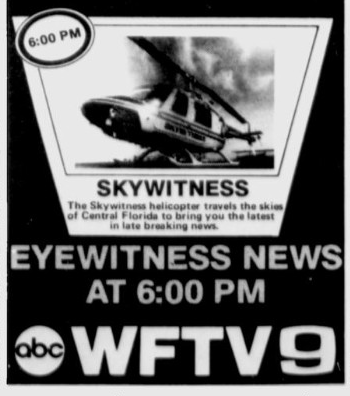 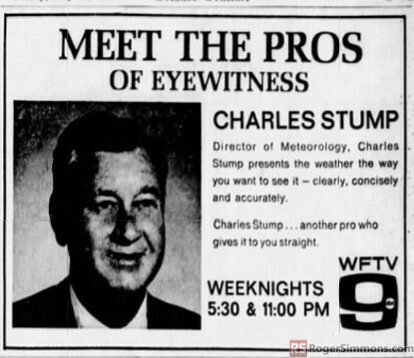 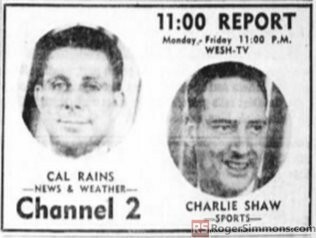 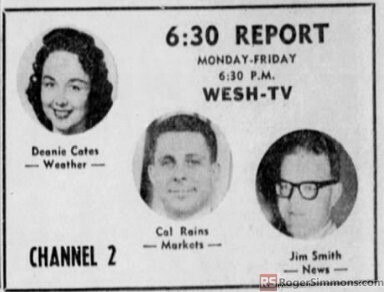 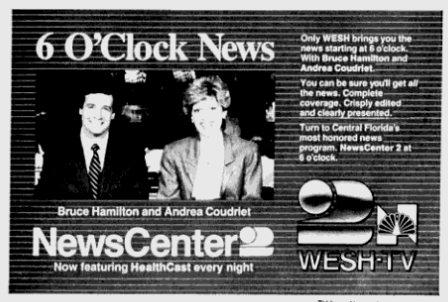 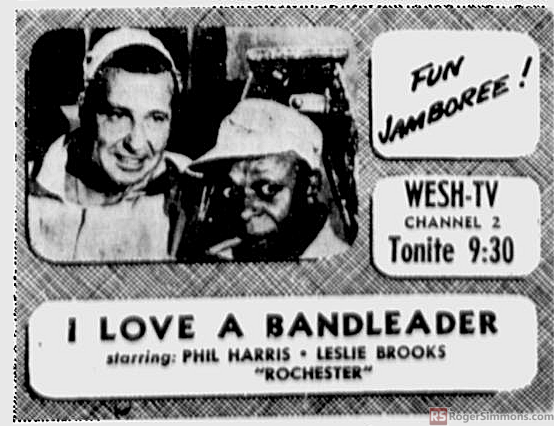 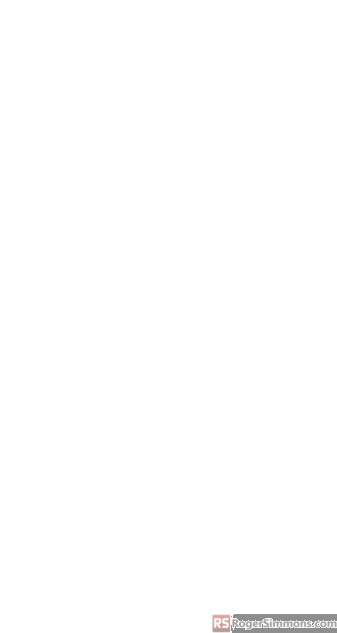 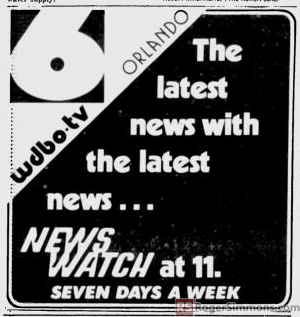 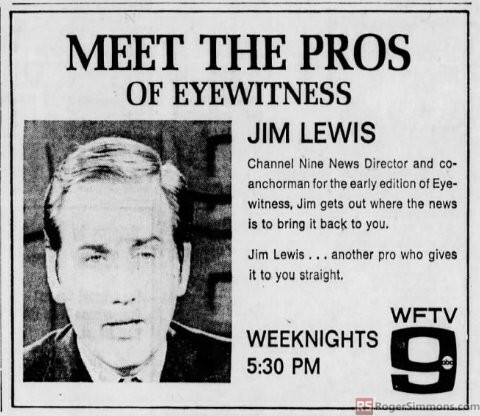 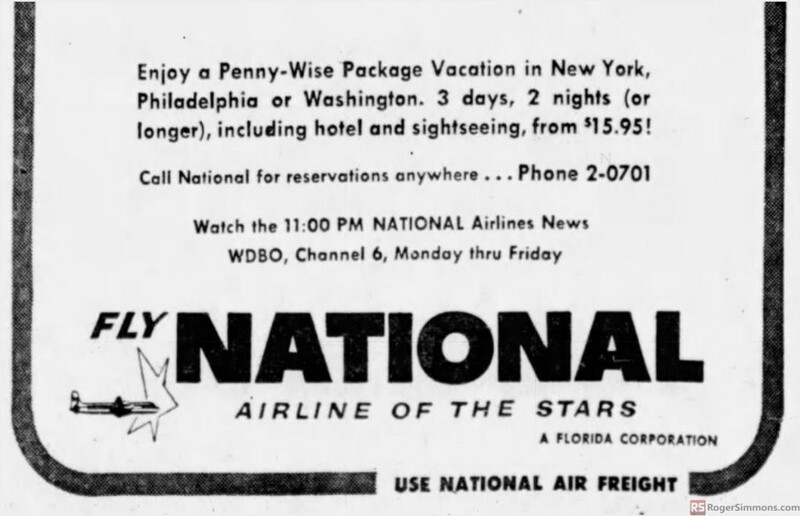 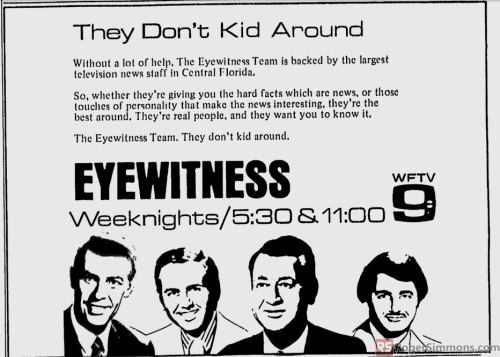 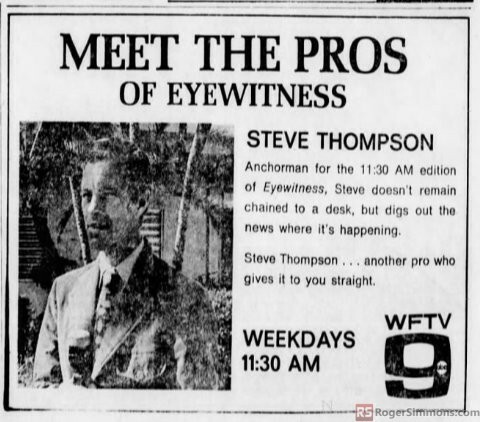 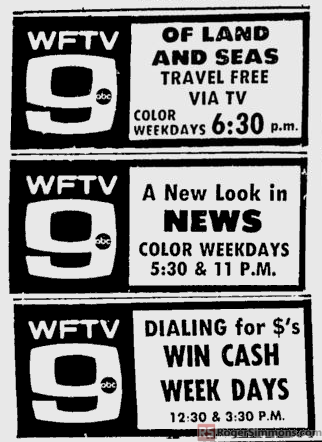 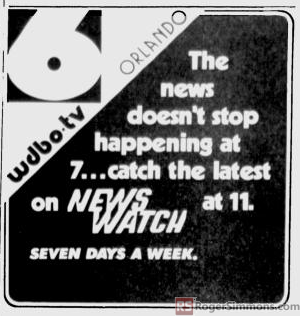 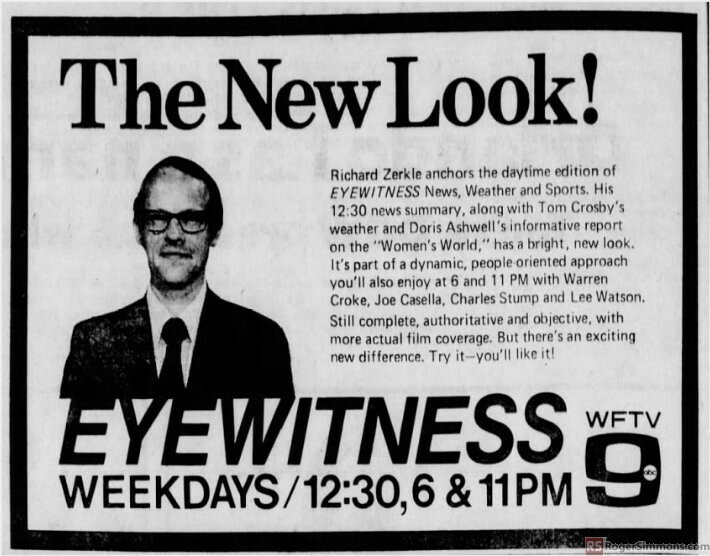 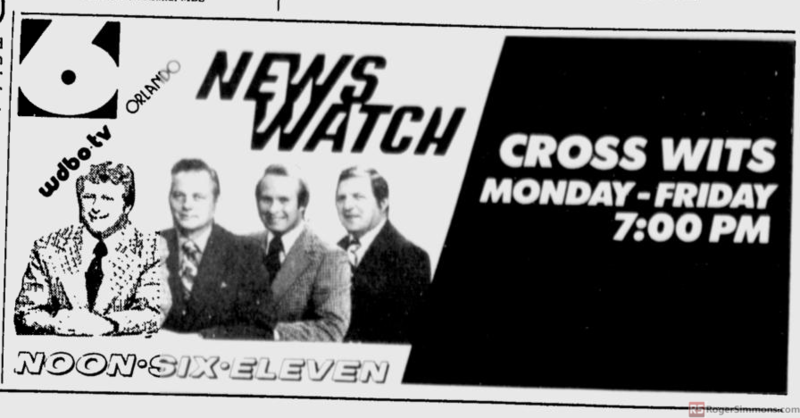 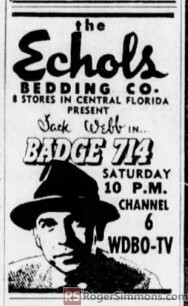 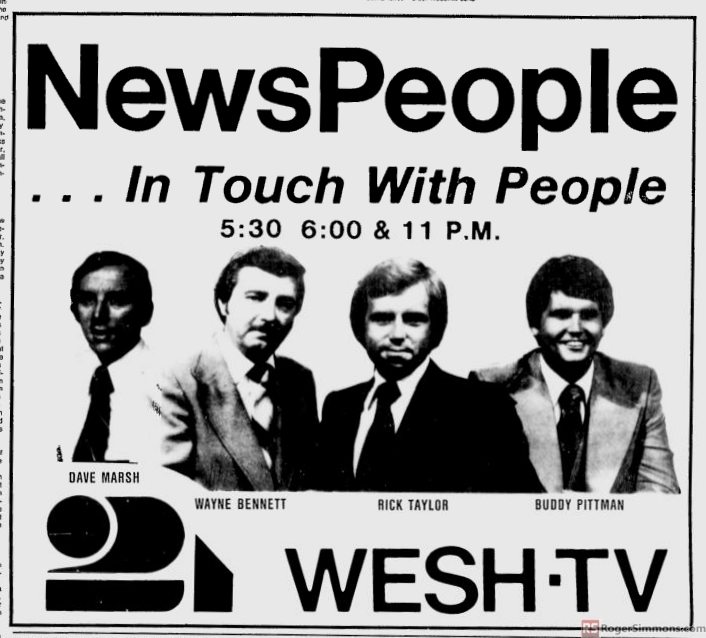 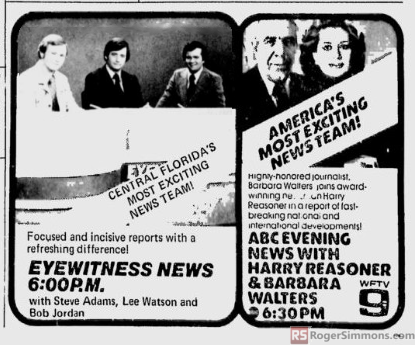 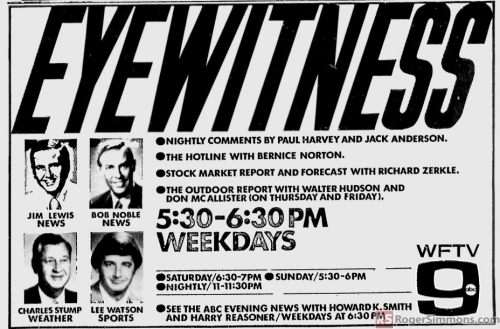 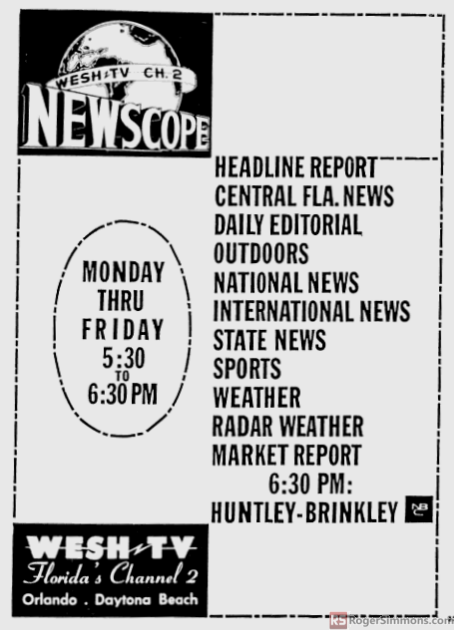 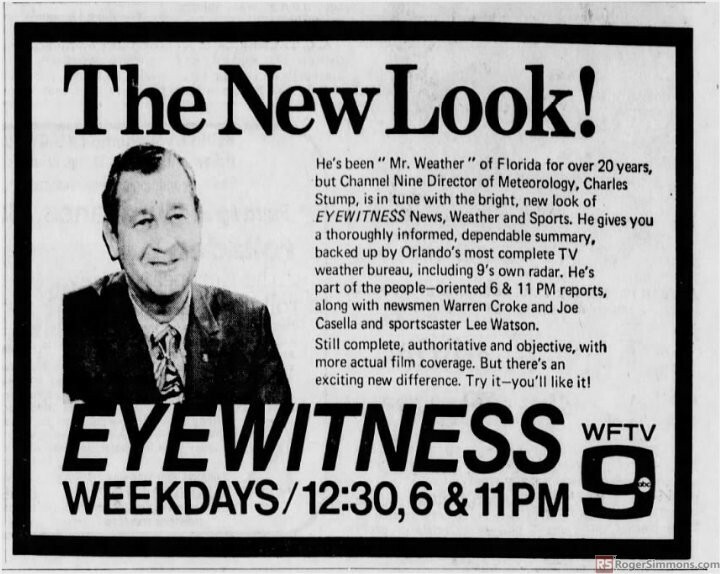 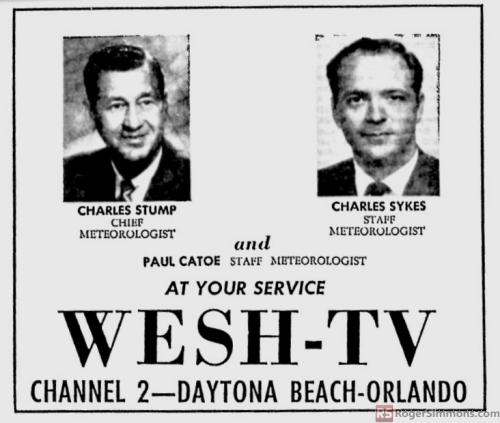 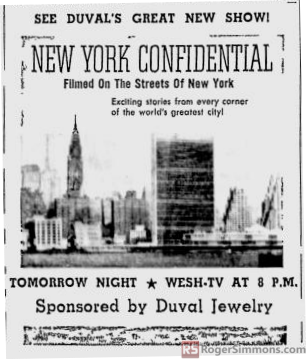 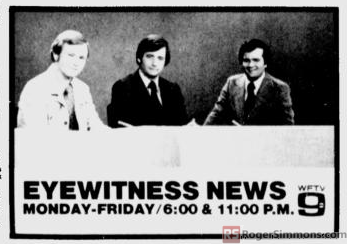 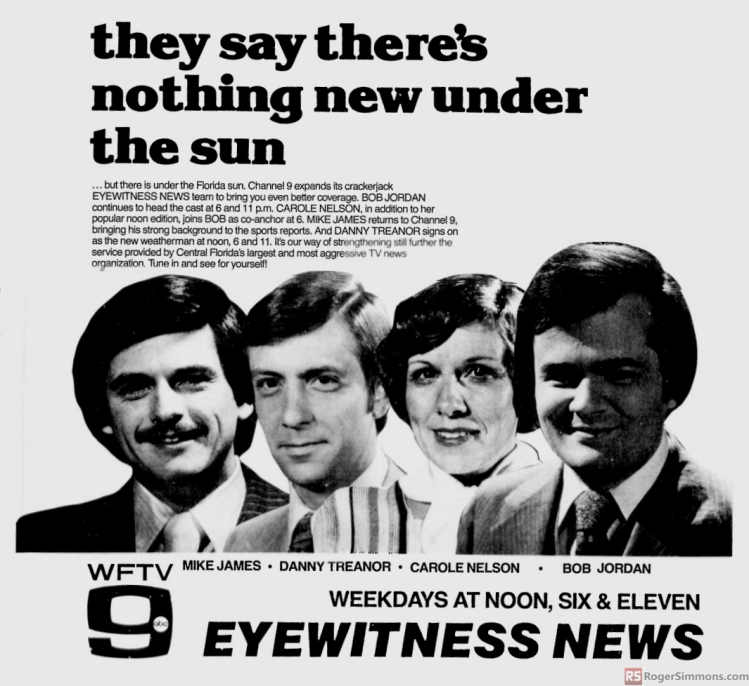 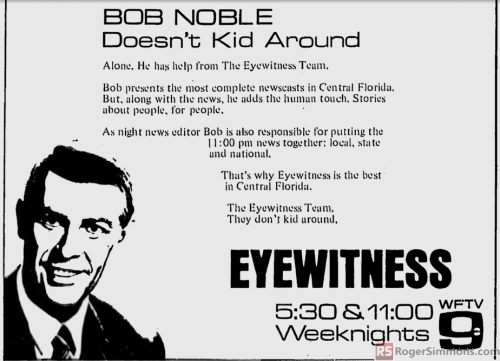 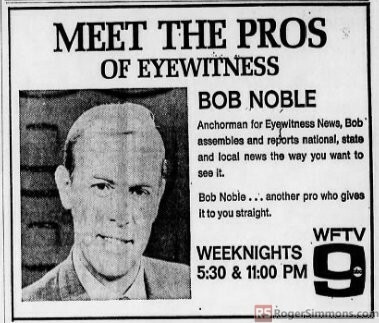 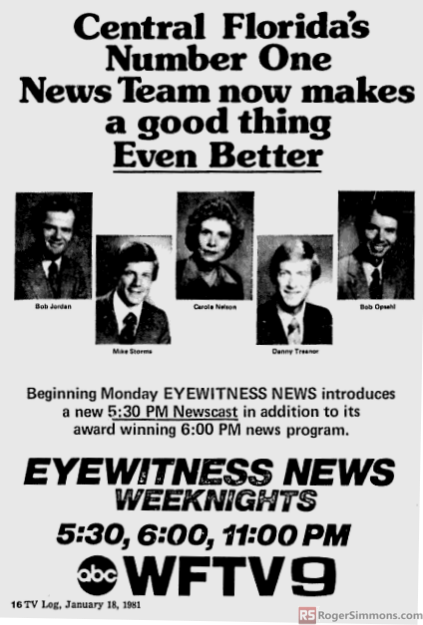 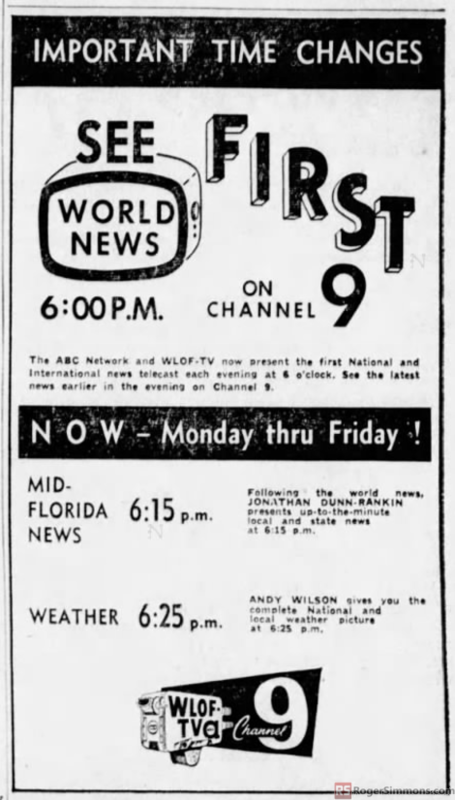 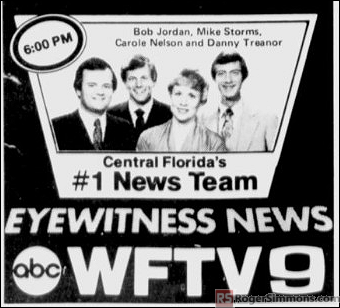 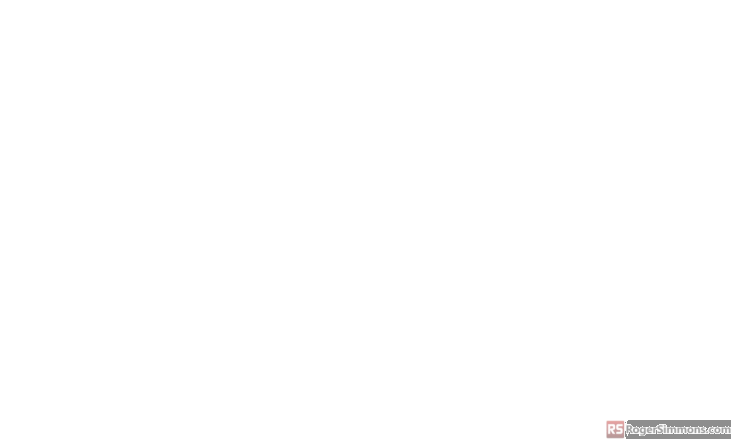 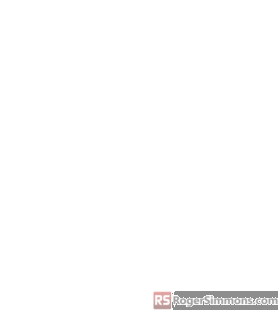 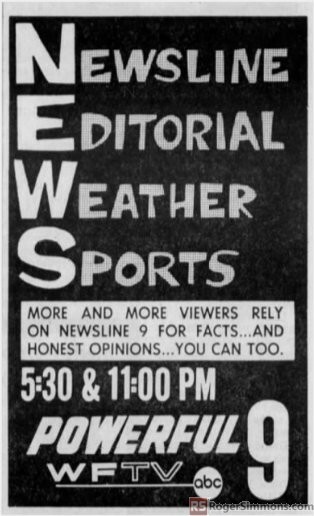 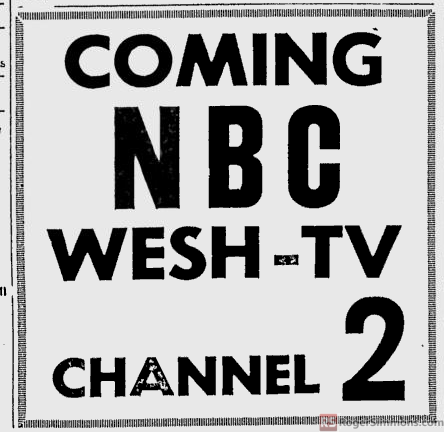 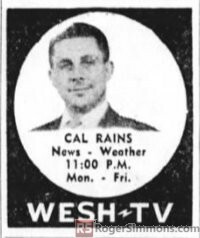 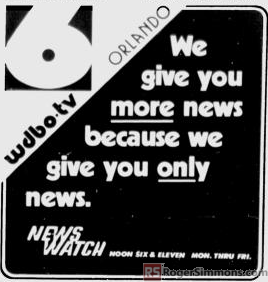 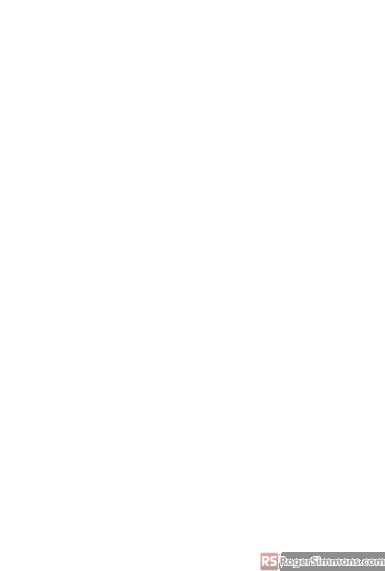 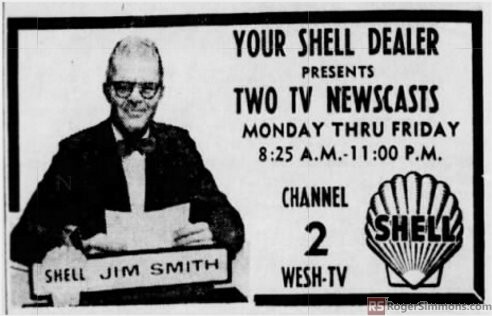 If want to view only ads for Orlando newscasts, view our Orlando TV News History ad gallery here.